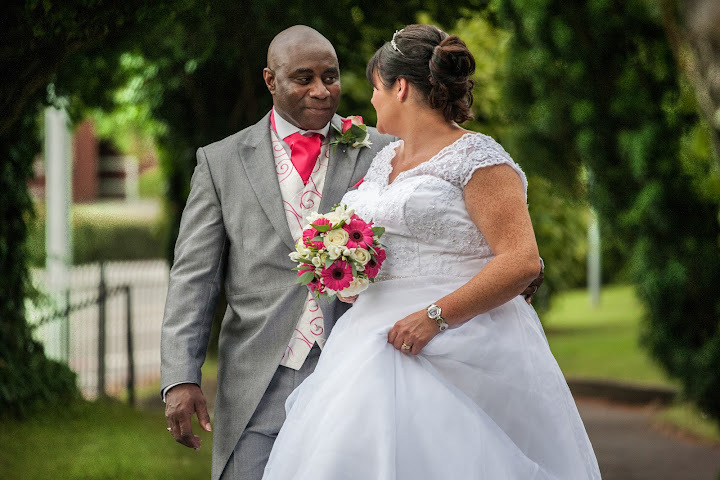 This is Jane and Robert,very nice couple who renewed their vow on 13th January 2018. 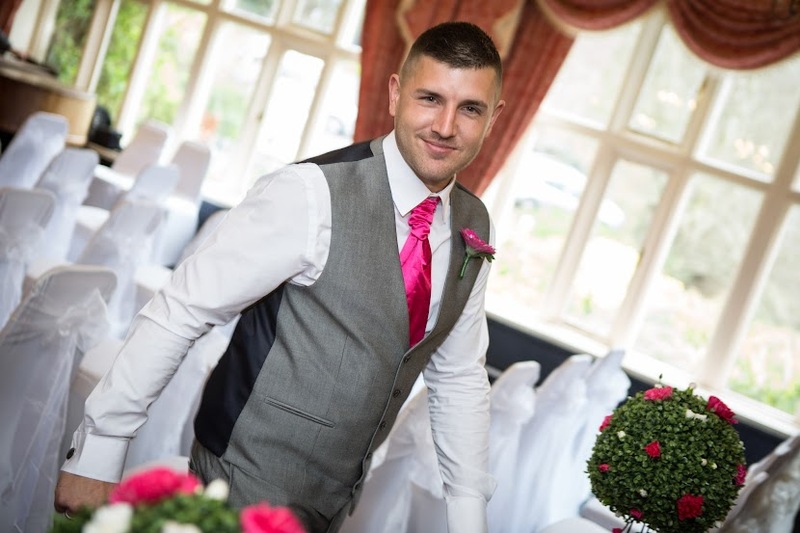 Marcin was our photographer for our wedding on 9/9/17 Priston Mill and from the moment he started snapping my wife to be in the salon as she was being prepared he was professional, friendly , un- intrusive and most of all kept everyone at ease. When the cars arrived and my beautiful bride was dressed in all her splendour Mancin captured the moment beautifully and effectively. 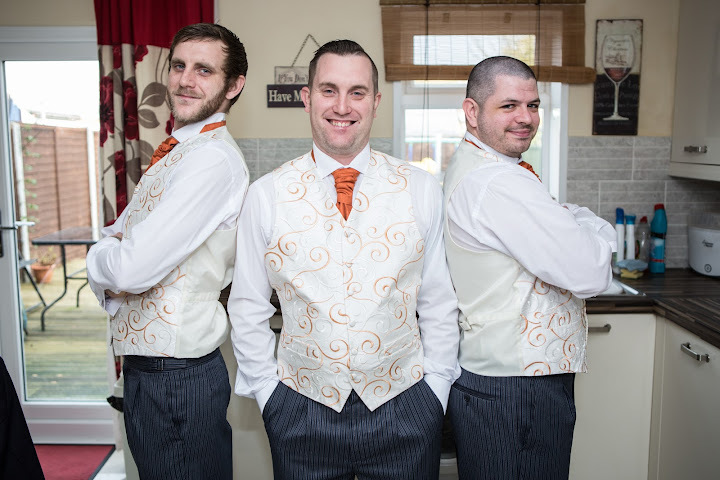 He then made his way to the venue and captured the very nervous groom and best man without adding to their stress !! 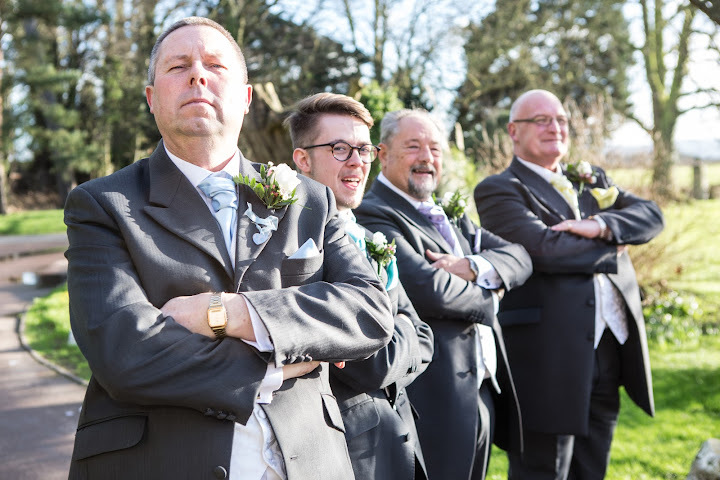 This continued throughout the service capturing a relaxed and natural set of photographs ( though there were the odd funny pose to lighten the mood ) . 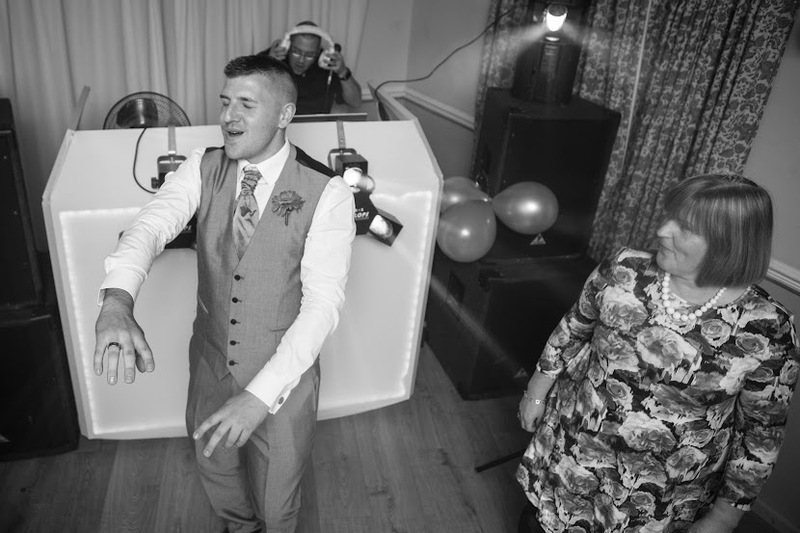 He then stayed on until the first dance snapping away as everyone relaxed. 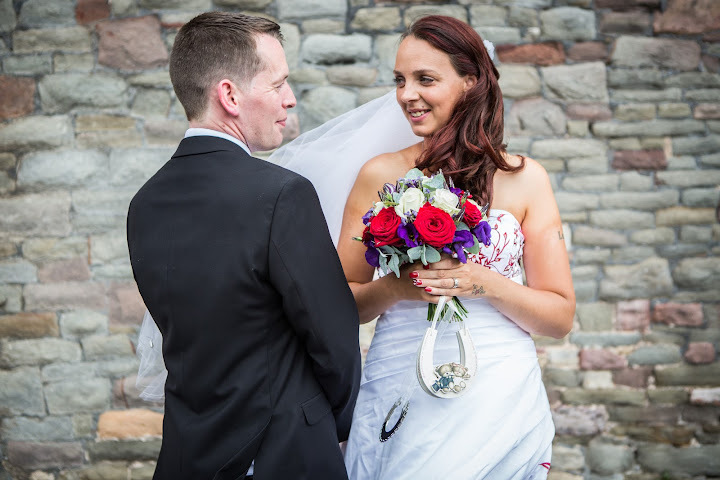 On receipt of the photos and the video that he made we were absolutely delighted with the results ( making the bride cry and wanting to do it all again) Thank you Marcin for a fantastic professional service . Fantastic day,crazy people and great shots in wonderful location. Thank you for the opportunity to capture the most important day in your life. From the first time I met you I knew that this will be a special day for me as well. 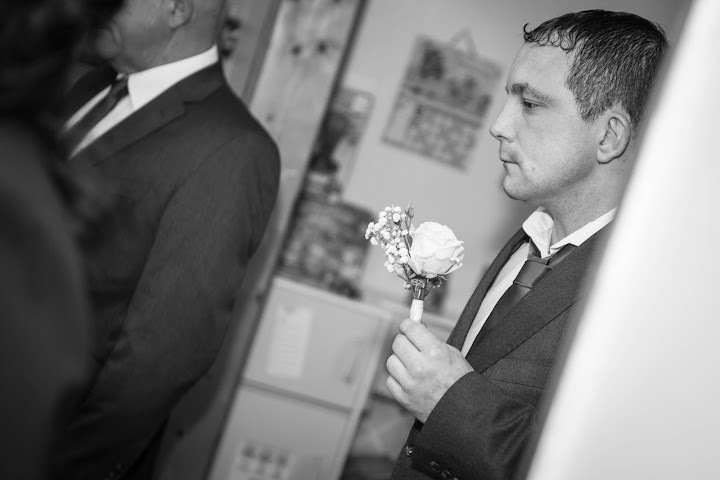 CONTACT MARCIN TODAY BEFORE YOUR DATE BECOME UNAVAILABLE !!! Mr & Mrs Chamberlain were my last capture in 2016. People often ask me when photographing them what’s the best part to my job and I always think in depth to my answer as I can never be truly sure! 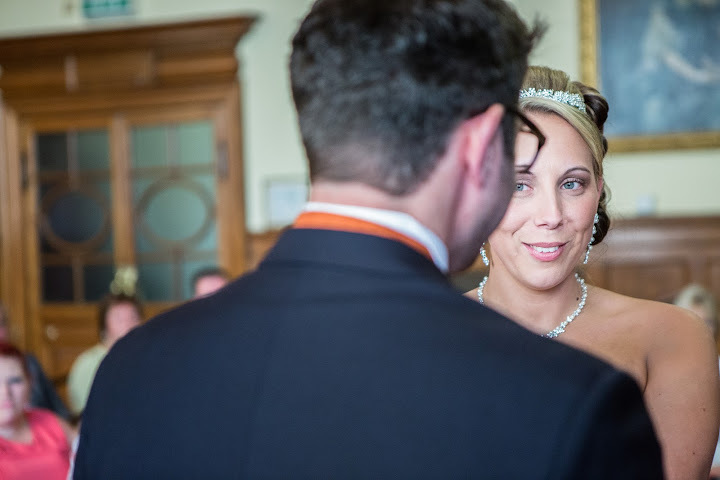 You see as one of Bristol’s most successful wedding photographers, I get to capture every moment of your day and therefore I get to witness the emotions that the bride, groom, family and friends experience when it comes to saying ‘I will’. 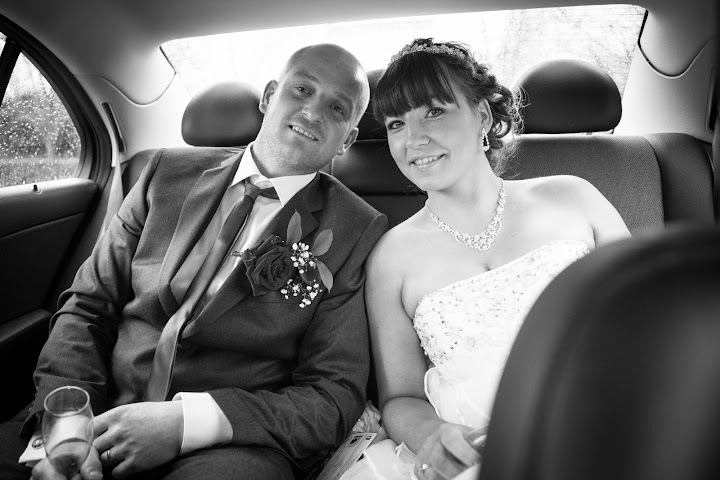 For the case of Carley & Dan it was a real privilege to be chosen to capture their special day. 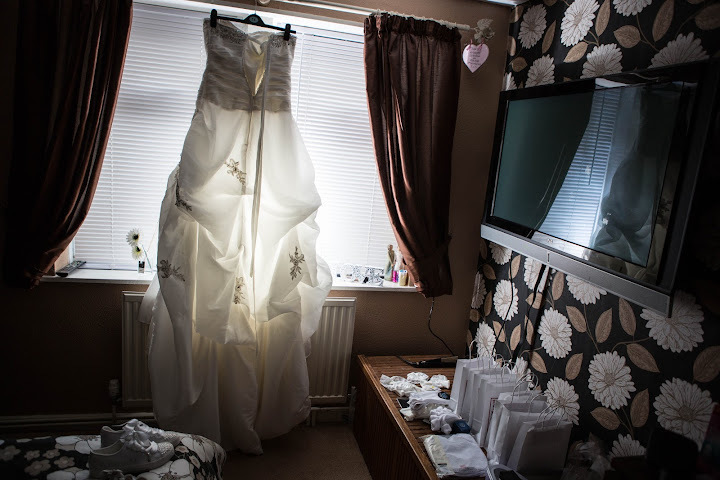 On the 24th September the alarm clock rang and I set off on my way to meet the beautiful bride as shot got ready. 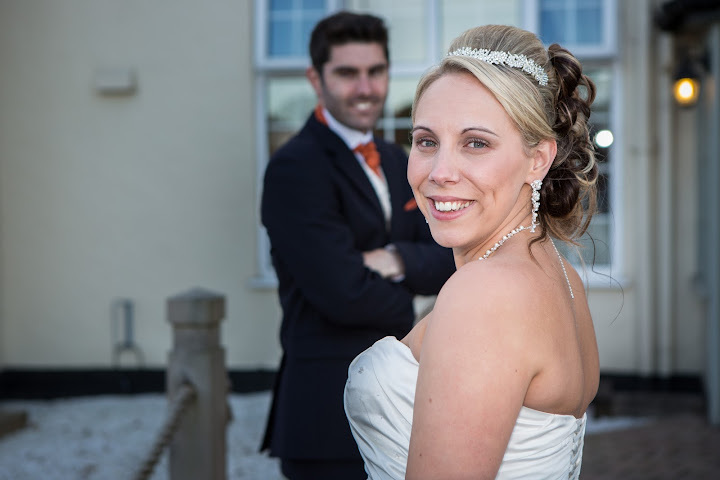 A wedding photographer is always apprehensive on the morning of the wedding as naturally the bride will always be nervous, so you never know what to expect. Lets be honest, if you’ve been planning this day for your whole life you just want it to run smoothly, and no matter what you thought of just the smallest think can cause a major issue! Fortunately, when i was greeted at the door this wasn’t going to happen! Carley looked absolutely stunning and I immediately got my camera out to capture the morning. 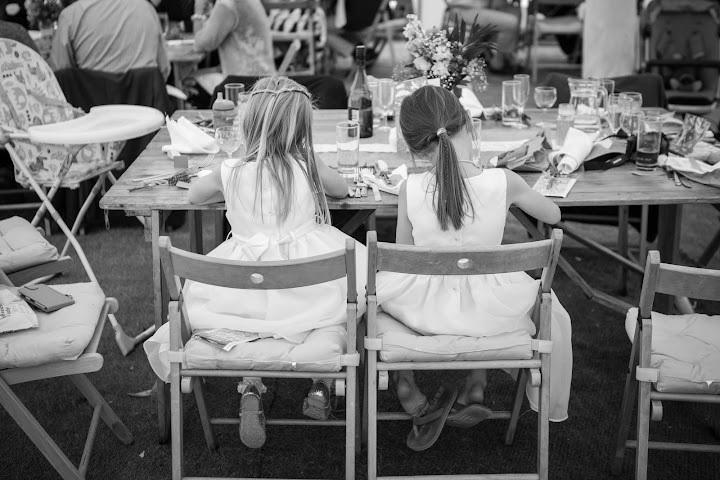 When I get to capture images which aren’t staged it really helps to give the gift of memories. Whilst taking photographs I was lucky that it was so clam and relaxed, I really was able to go about my job in ease. 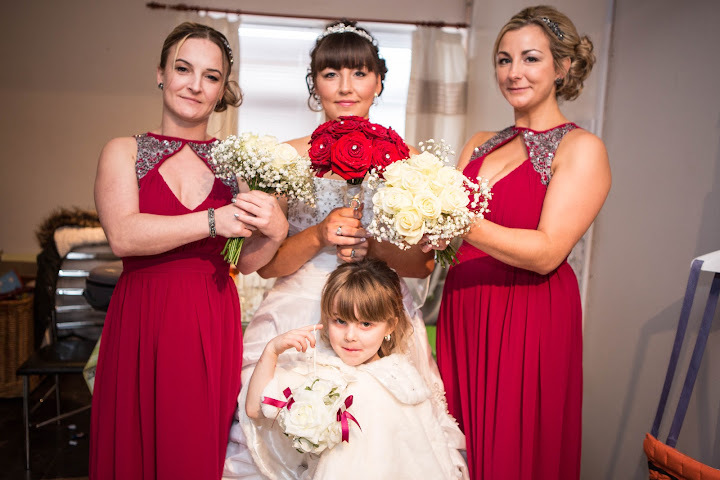 From capturing the bride, bridesmaids and children it was so natural and they all look beautiful. 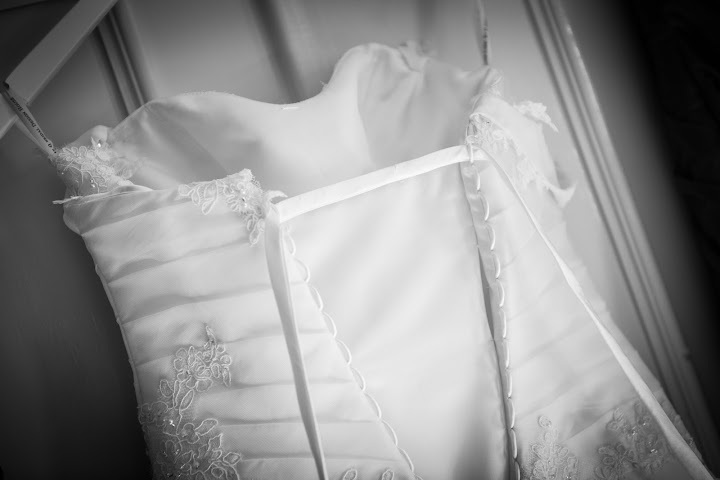 However, like any bride as the time loomed nearer to the ceremony the nerves naturally kicked in. 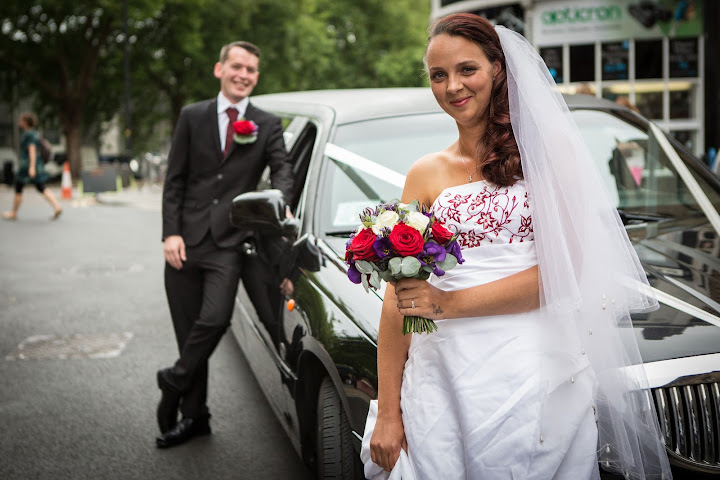 It was time for Carley to arrive in style, and what better way than a gorgeous vintage car! 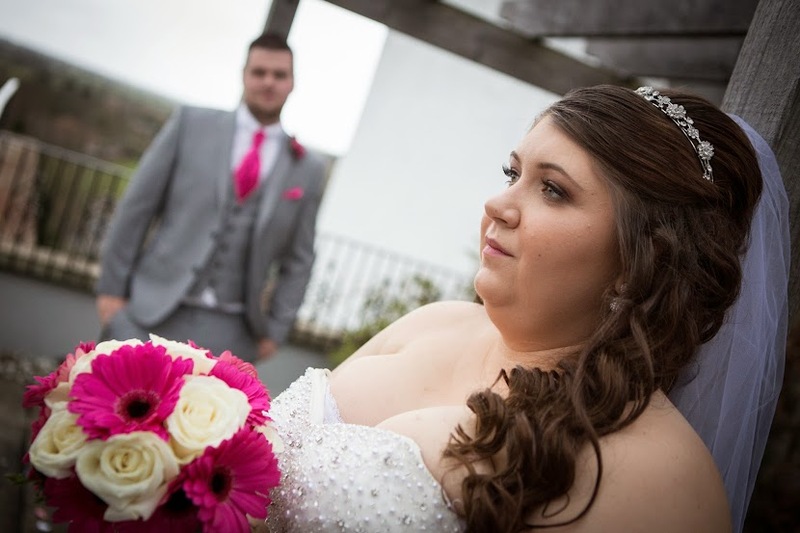 With the weather holding out the roof was down and I managed to capture some of the beautiful bride in her stunning dress. 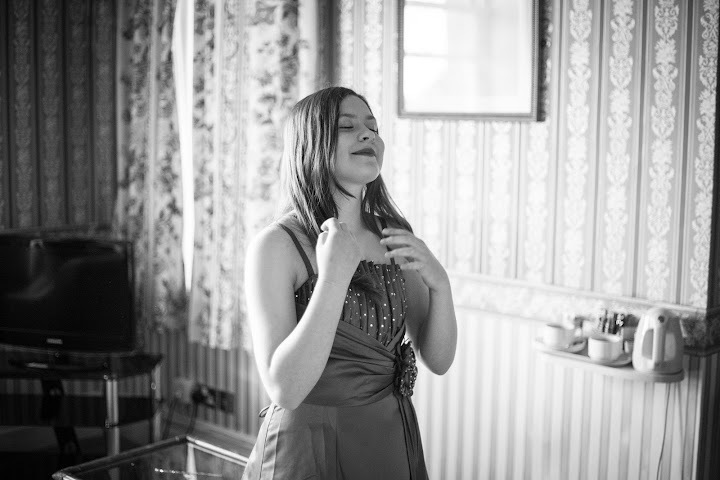 It’s these photographs that will alway hold special memories for Carley especially, she looked like a princess. 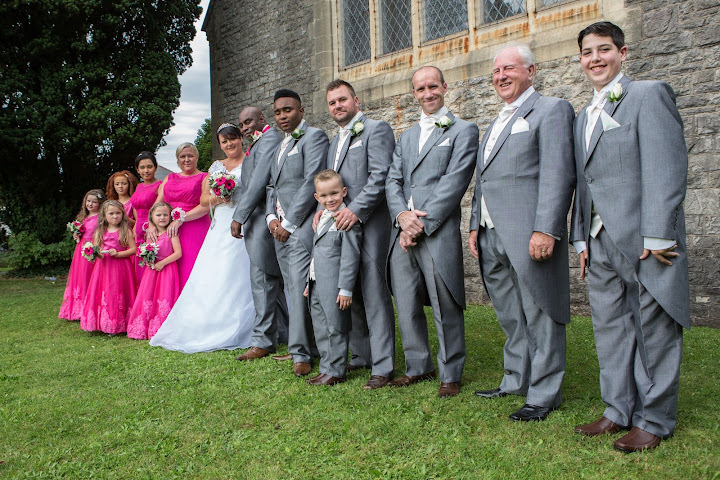 The ceremony was held at Parish Church Keynsham and it was a truly spectacular venue and occasion. 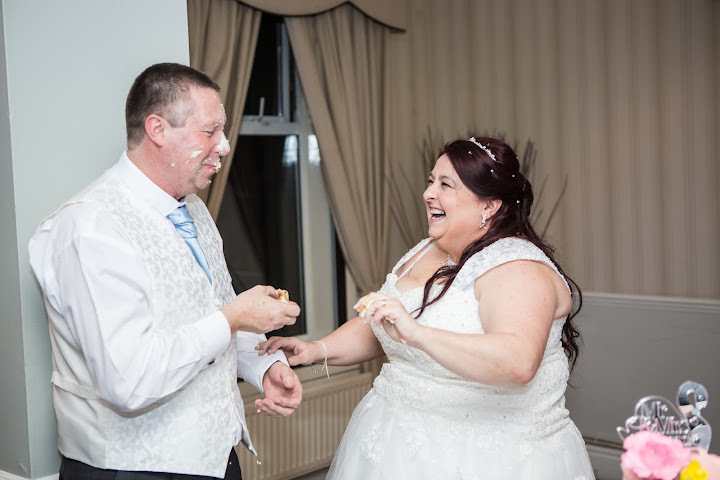 Like I have said in previous blogs no two weddings are ever the same but this will always stay in my memory due to all the love and support that the happy couple had. 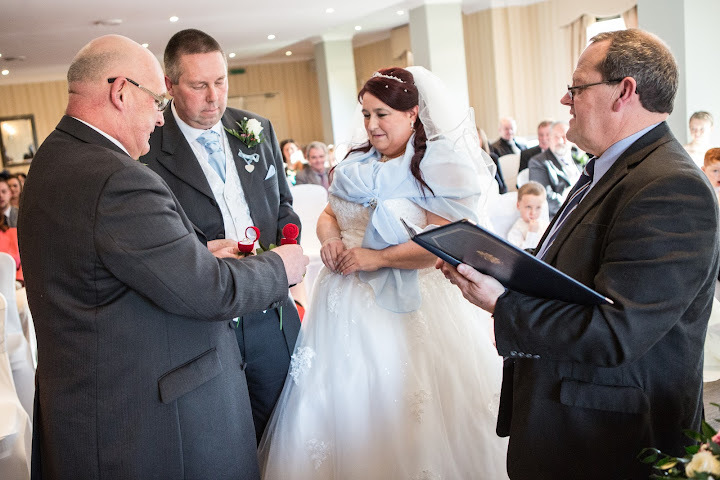 It was a real family occasion where everybody was pleased to witness the couples marriage. 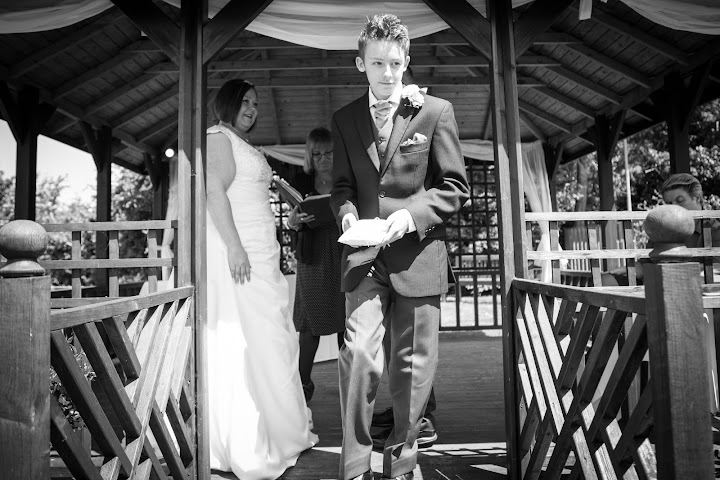 I was able to take photographs throughout the ceremony without getting noticed too much. 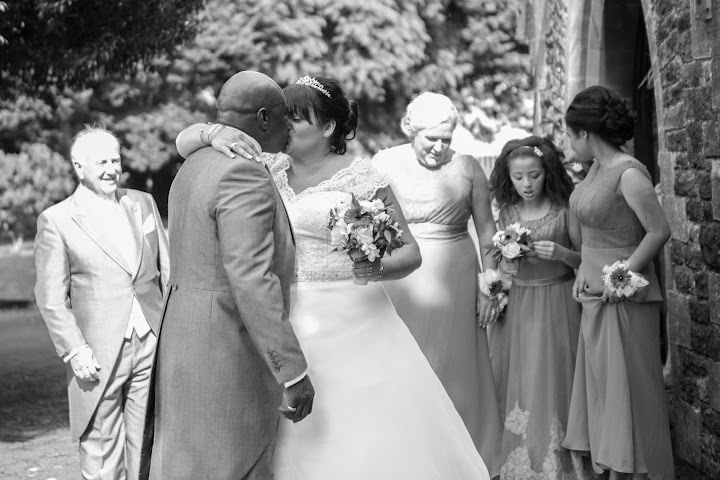 This added to the real emotions which are caught in my photographic style and I’m sure when looking back the happy couple will enjoy seeing all their family and friends reactions! 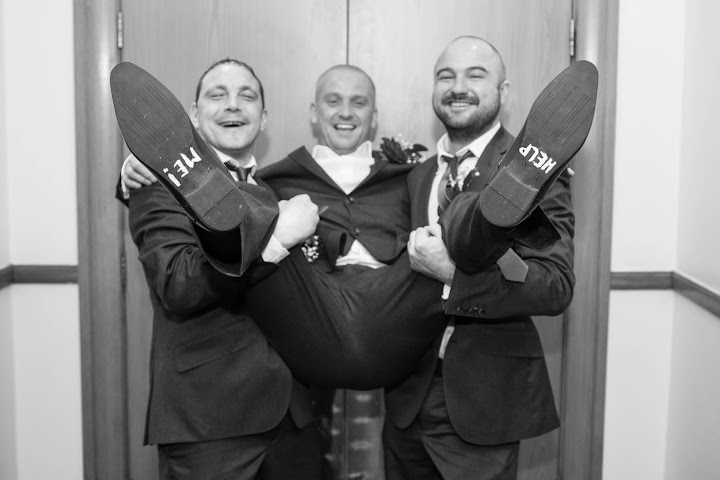 With the vowels done and the registry signed it was time for the real traditional side of a wedding photographer kick in! Naturally, everyone wanted to congratulate the happy couple but I was able to capture the confetti shots and more importantly all those pictures of them with their family and close friends. These are the memories I am sure they will look back and reminisce over. 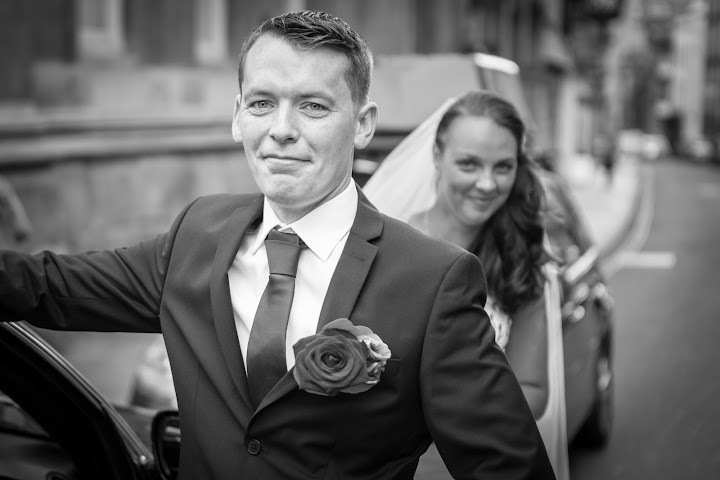 With the traditional photos caught we opted to get use of that beautiful vintage car and we were able to get some wonderful images of the new Mr & Mrs in a more staged environment. 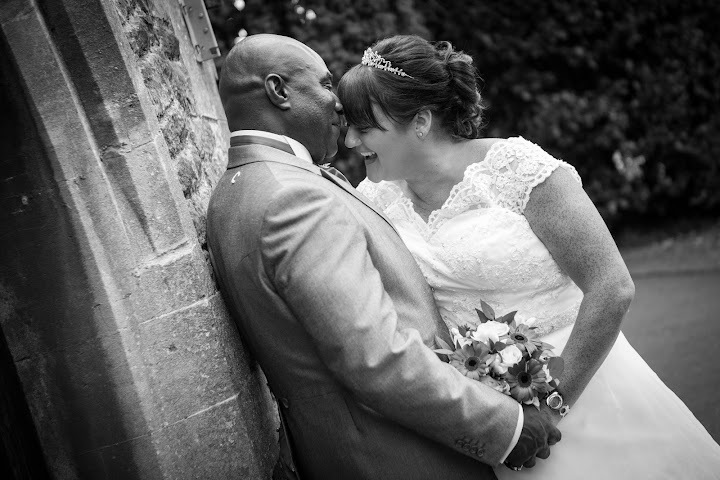 It was lovely to capture these moments and it was clear to see how in love they are! With the wedding ceremony over it was time to capture the celebrations. 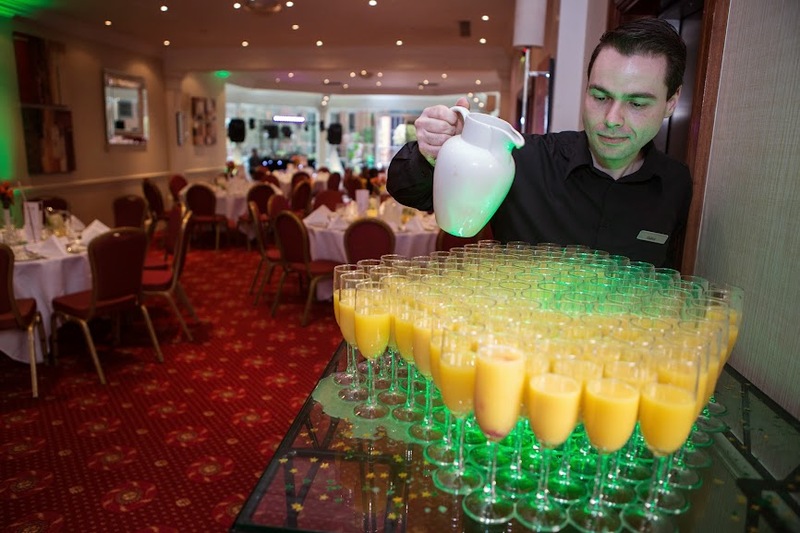 The venue was beautifully set out and it was a credit to all the planning that went on! 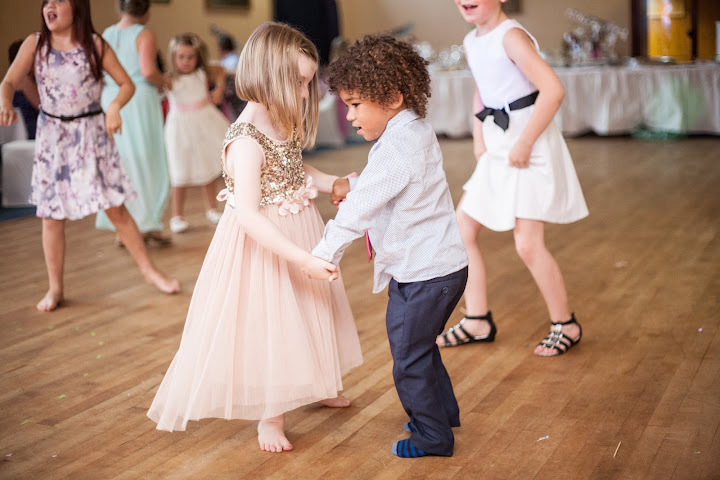 With the speeches as well as the first dance caught on camera it was so wonderful to be involved in the event and being able to capture the friends, family and mischievous children having a brilliant time celebrating the happy couple. 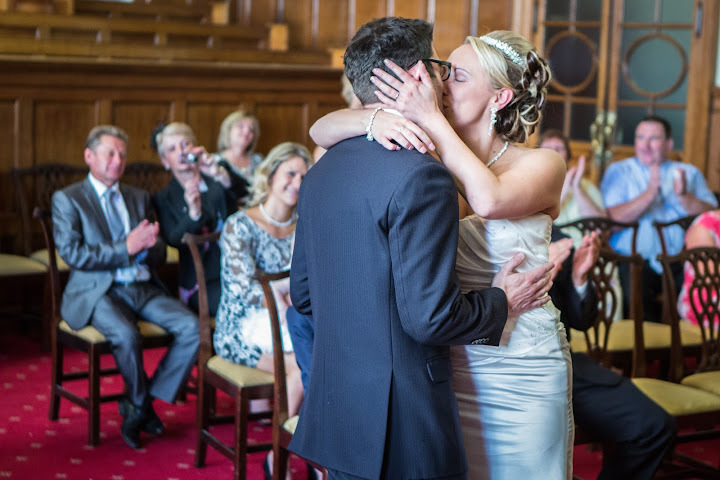 Being a successful wedding photographer from Bristol I have been to many venues however, nestled at the foot of the Mendip Hills, within the North Somerset & Bristol area, Coombe Lodge provided me with one of my favourite wedding memories so far. I always get excited for my upcoming shoots and this was certainly the case.when experiencing Samantha and Jay’s wedding, it was just perfect. I met up with Samantha on the morning of the wedding where she was staying at a boutique bed and breakfast not far the venue. 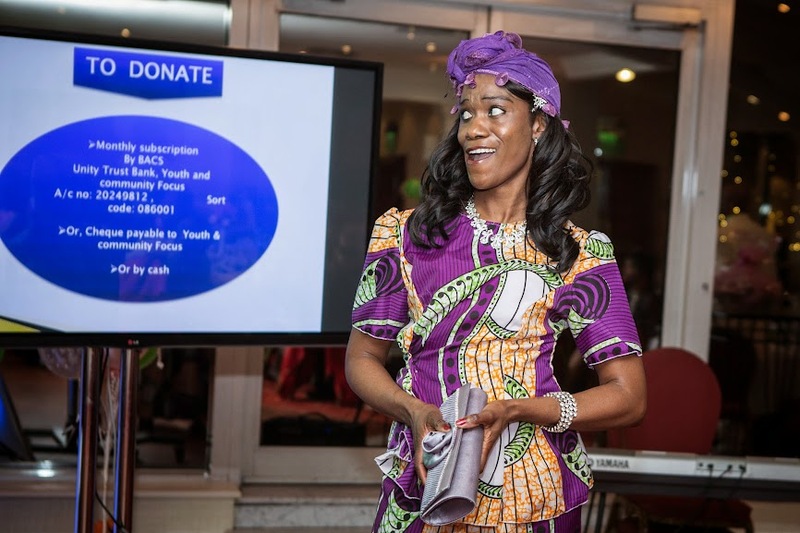 Preparations were already well underway and there was a really jovial and fun atmosphere amongst the ladies. With only a few hours till Samantha was due to say her vowels I was able to capture some extradorinaiy photographs which I am sure helps tell the complete story of the morning! 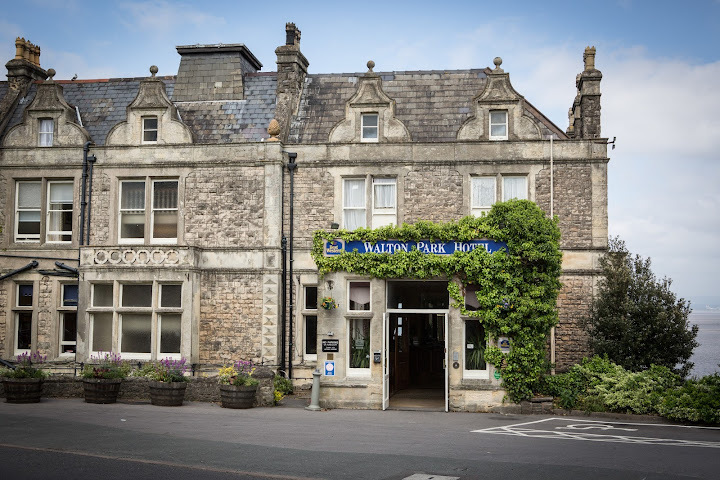 I left the ladies to enjoy a glass of bubbly and soak up what was left of the morning and headed to the venue which was situated in the Mendip Hills. The weather was holding out and it was a beautiful location. 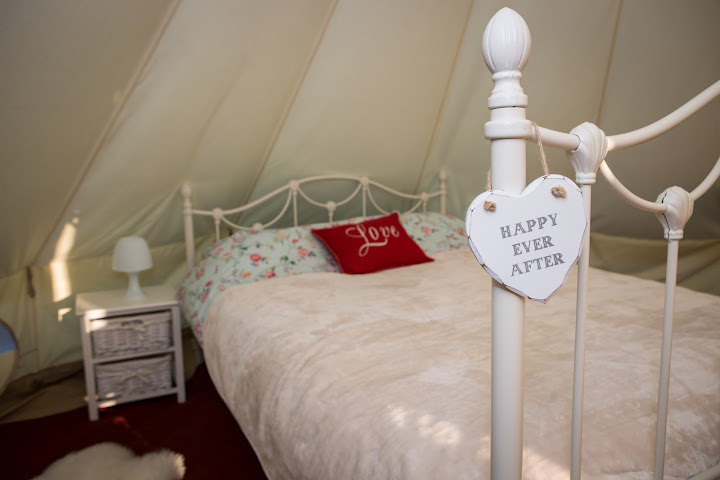 I immediately realised why the couple chose it! I went to meet Jay and with a firm shake of the hand I shadowed him for what was left of the morning. I was able to obtain some simple photographs of him and his guests and there was no need to stage any shots as this guy was a real pro! 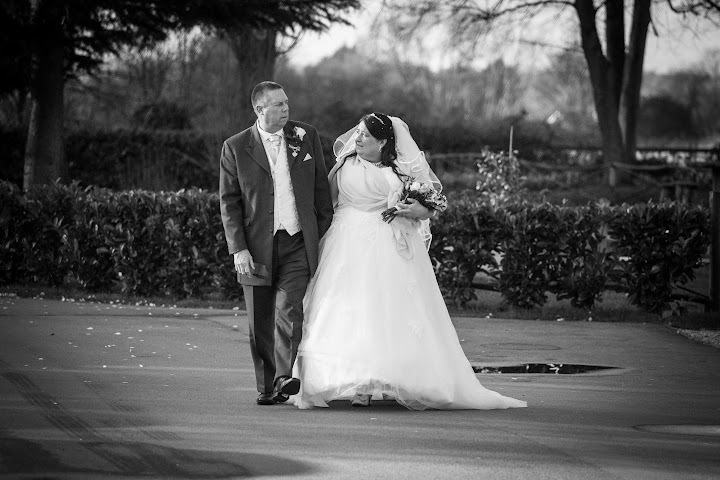 With the bride safely arriving at the venue it was now down to ensuring they never saw each other before the ceremony. 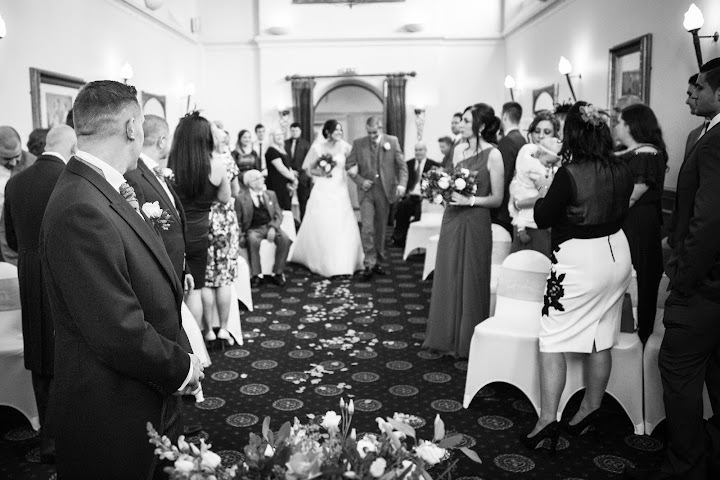 This was no easy task when they were separated by a door however, the guests and myself did an excellent job and there was certainly no reasons to panic, no-one saw anything. 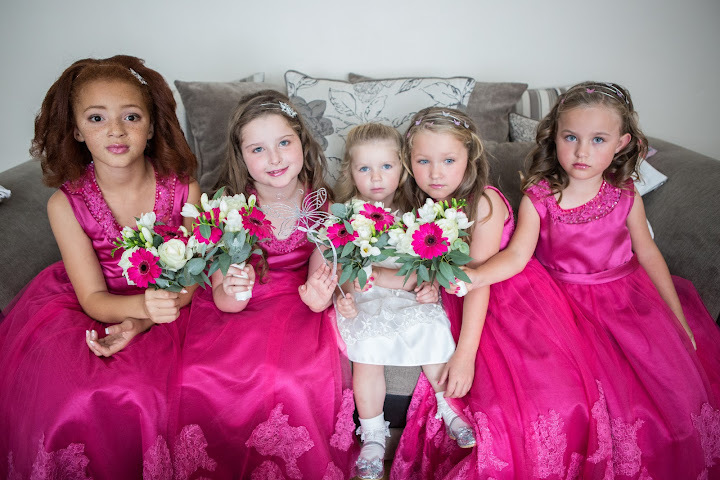 I popped over to see Samantha and her bridesmaids and words couldn’t do justice to how pretty they all looked, it was like being in my own Disney film! 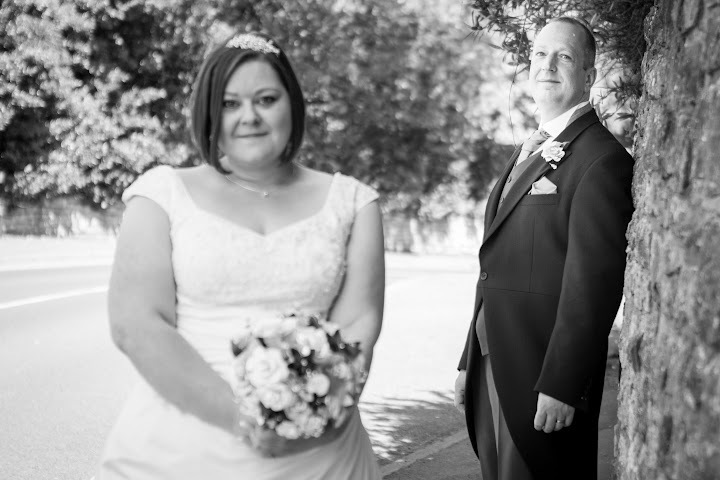 We shot some beautifully staged shots of them all and it was really fantastic to get a full collection for the couple to look back on. 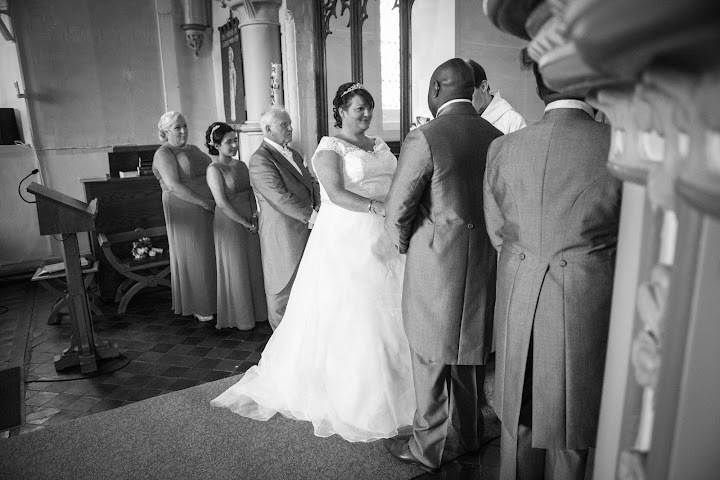 The ceremony began and I took some beautiful pictures of the couple, bridesmaids, family and friends. 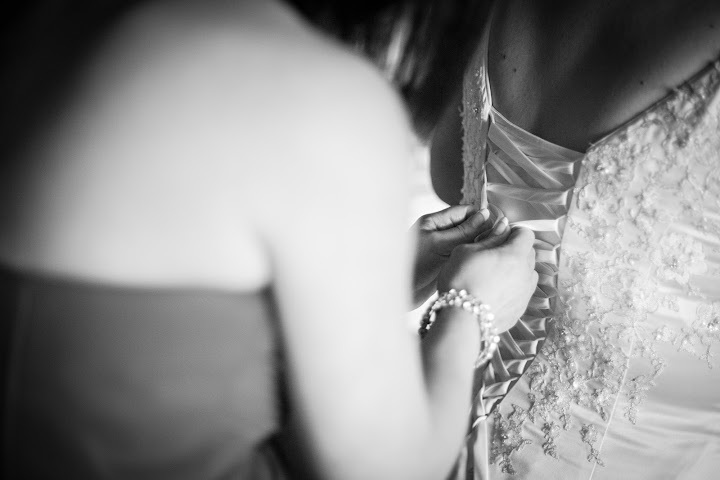 It was so fantastic to capture those intimate moments before they tied the knot. With the ceremony complete, guests were treated to an acoustic performance from a local musician and this gave me an opportunity to get some staged shots. 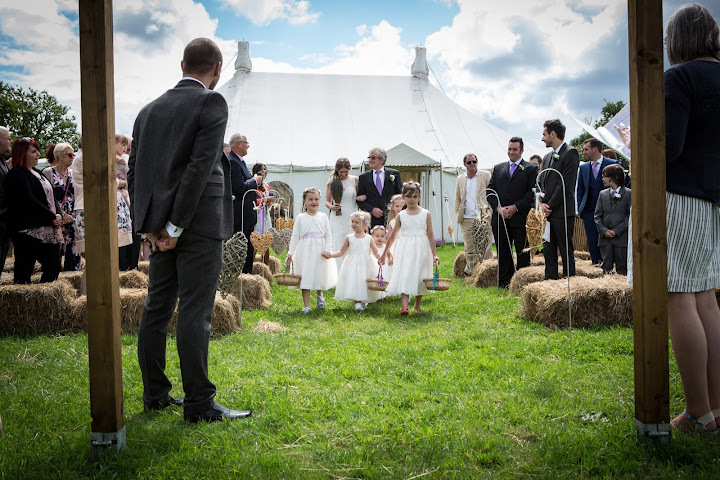 It was a real treat to have everyone so patient and the photos captured all the happiness that filled the day! With the surroundings playing there part and the glamorous guests the photographs were not only visually stunning but fun too! Nearly everyone was smiling! 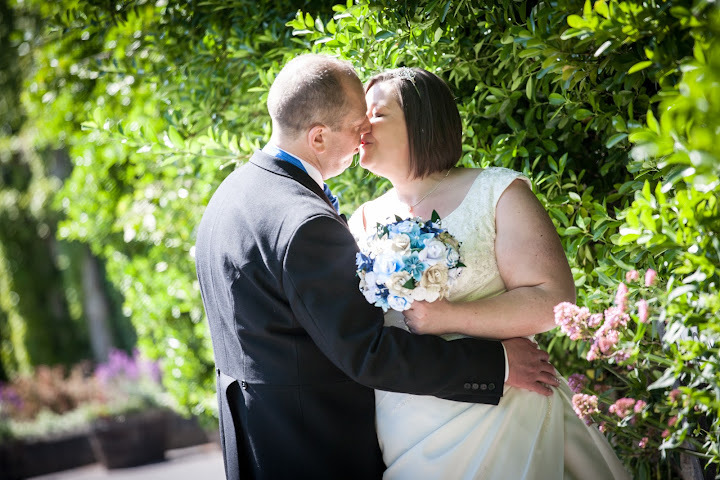 With the guests being entertained the happy couple were whisked off for a private shoot around the grounds where I managed to capture that obligatory first kiss shots as well as those more fun and upbeat images that truly personified the couple! It was time to celebrate! As a photographer you get to hear the speeches but this one really did resonate with me and it was comical and highly entertaining. 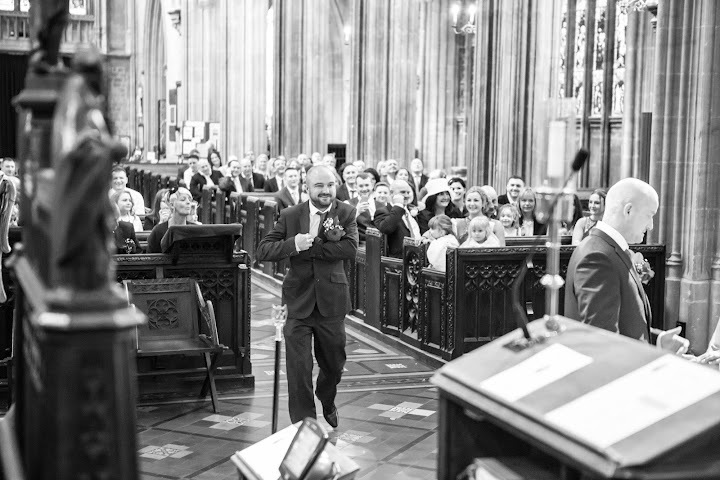 With the audience in fits of laughter it was a real privilege to be part of this wedding ceremony. With everyone so relaxed and comfortable i glided along freely capturing photos, this lot were a joy to talk to and photograph! 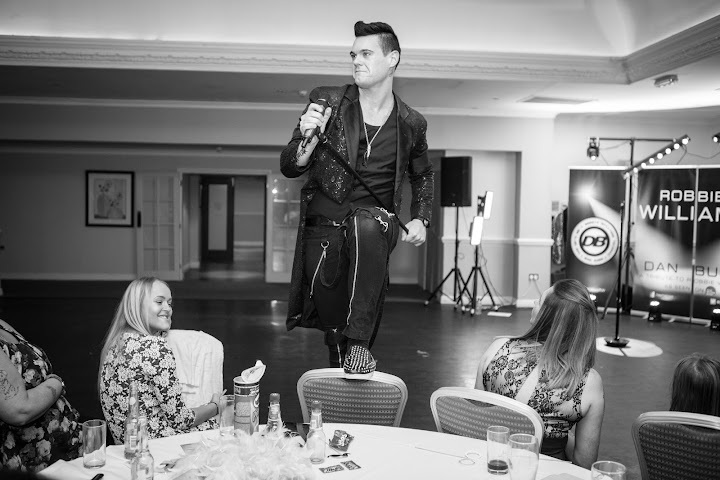 There was a variety of entertainment from artists to even a casino but I was more surprised that Jay agreed to a Mr & Mrs game, he was clearly confident he knew everything about Mrs Worthington! 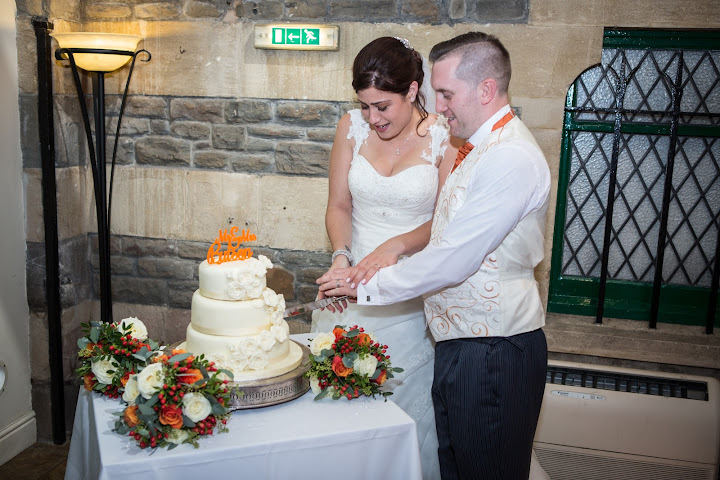 Fortunately, he did and with the laughter flowing it was time for the cake, which was truly scrumptious (I had seconds). 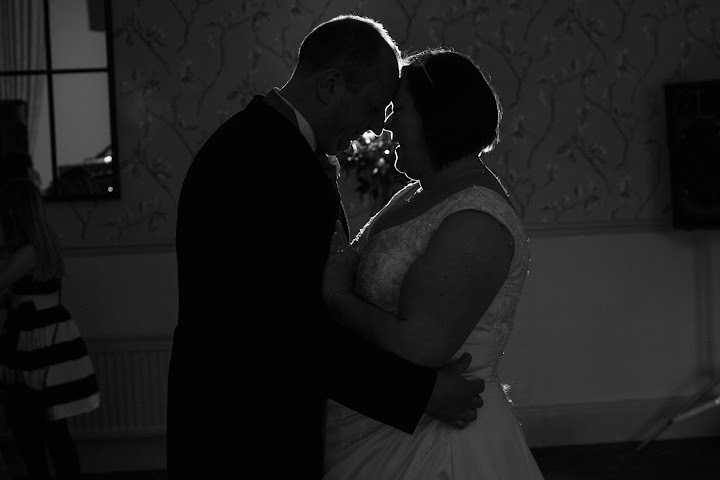 With my stomach full I managed to capture the evening entertainment and more essentially, the first dance. It was getting late and with darkness arriving it was only fitting to take some final photos of the couple before they embarked on their honeymoon. Great Quality Photo Booth based on Photography Studio. This is not self serve,I will attend and engage with people on your party. Get everyone on front of camera and make the laugh. 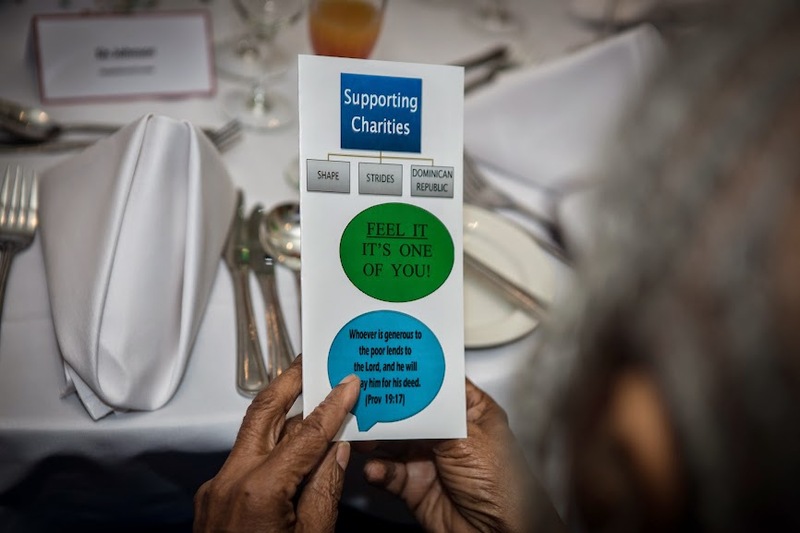 Images provided on USB Stick in 1 week after event. 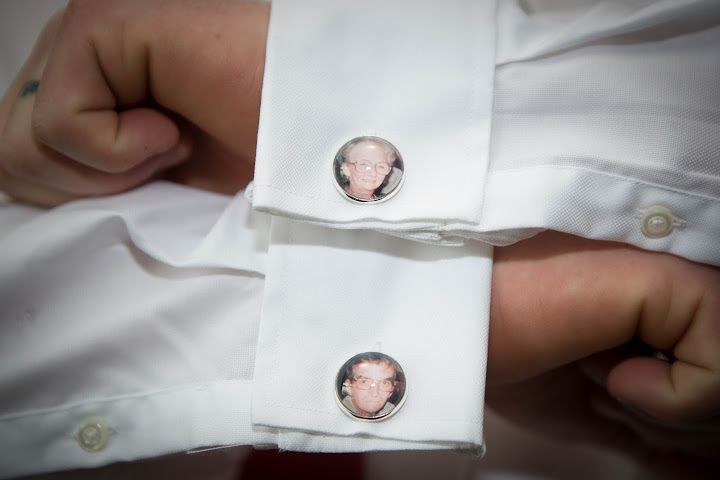 Available in "THE ESSENTIAL" wedding package. 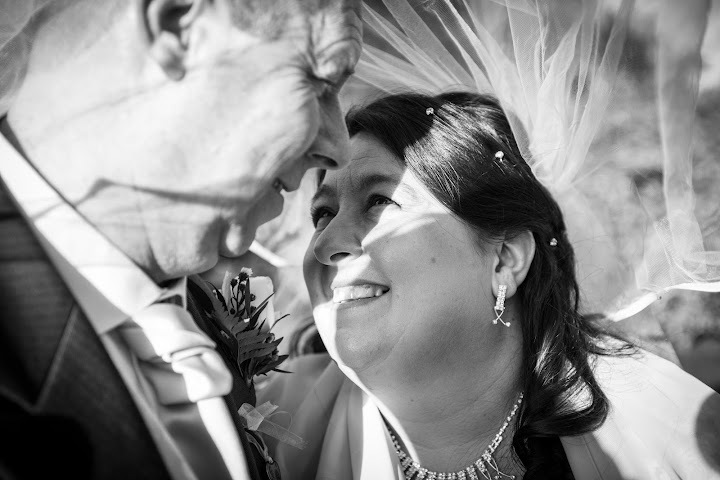 Being a full time professional wedding photographer is amazing; as I have come to realise no wedding shoot is ever the same! 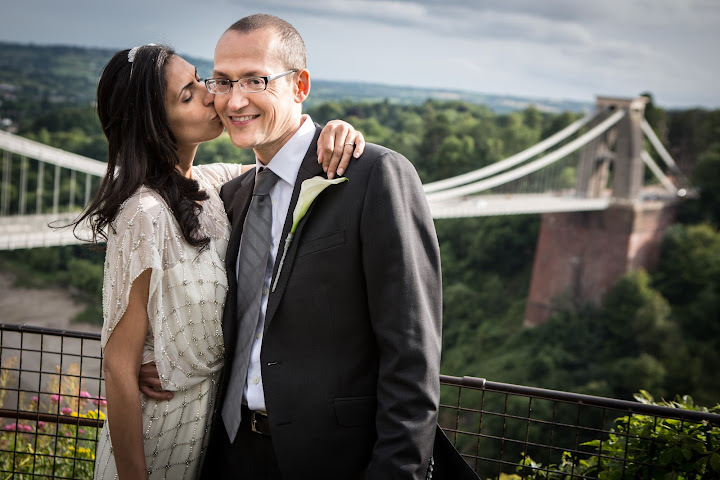 As one of Bristol’s leading wedding photographers I was fortune to be given the responsibility of capturing the special day for Vilma and Matt (the soon to be Mr & Mrs Sandford)! Given the brief I was due to meet the happy couple at the Tunnels Beaches located in Devon. 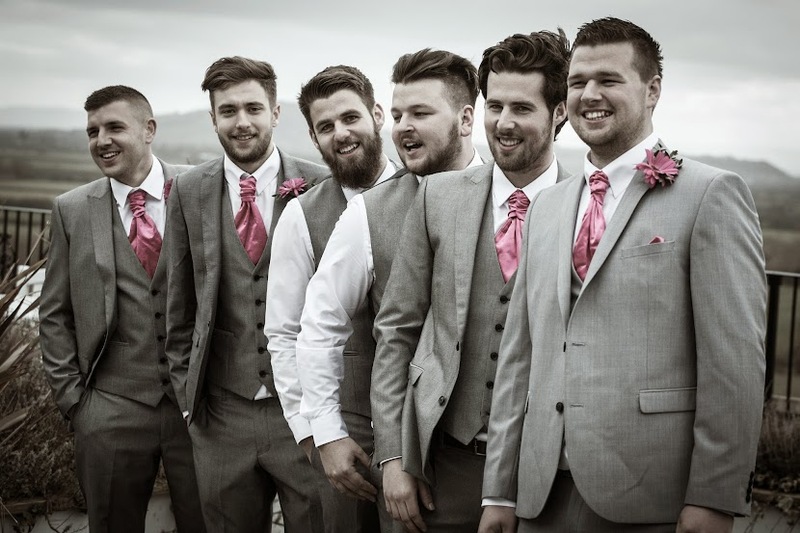 This was my first wedding I would be shooting in Devon and naturally I was excited about taking photos in a somewhat new environment, I was finally becoming a Devon wedding photographer! 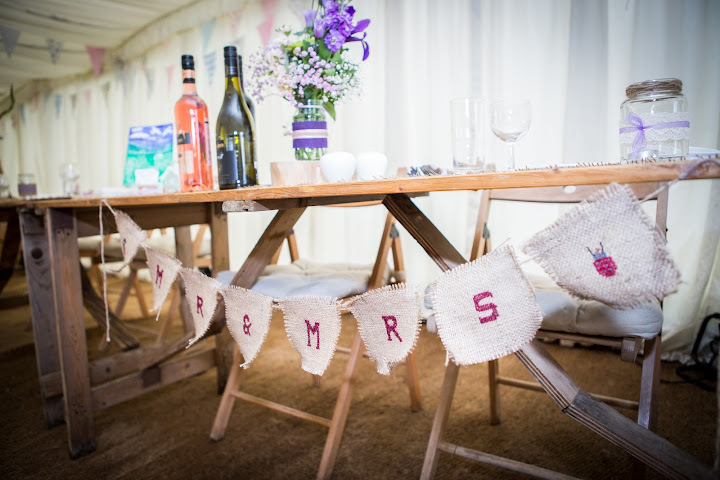 When the big day arrived on the 9th September 2016, I was already packed ready and raring to go! With my equipment on board, sat-nav on I set off on the two hour trip to meet the bride to be in Ilfracombre. Meeting Vilma on the morning of the wedding, I could see the nerves and excitement all etched on the expressions of the bride, I just had to capture the moments! 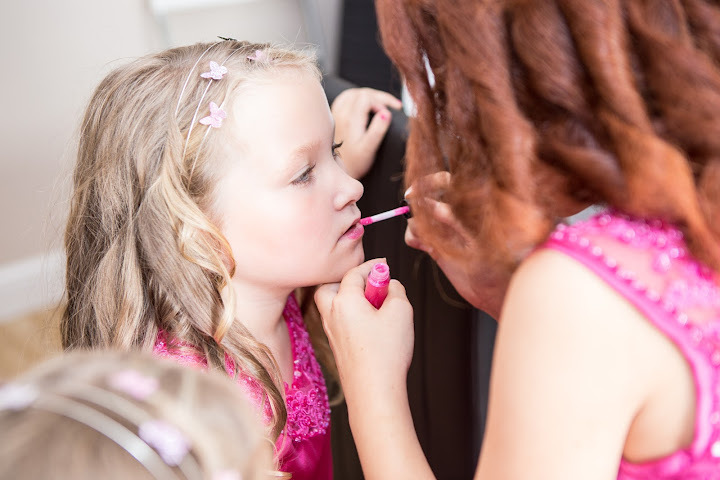 Located in an idyllic bed and breakfast situated near to the Tunnel Beaches I was able to capture the bride, bridesmaids and even the little ones getting ready for that special moment. 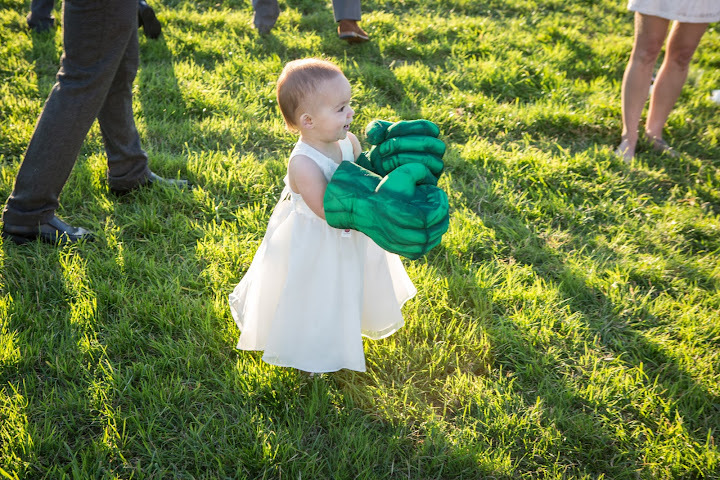 What makes my shoots so special from other wedding photographers? I try to capture the moments which are not staged and in Vilma case there were plenty which were taken which shows her family and friends true love for her. It was a real family affair and it was a treat to capture these memories, I’m sure she will agree, even if she was slightly nervous! With the map no longer needed, I got my bearings and met Matt the groom at the location on the venue, The Tunnels Beaches. Wow, Wow, Wow! What a spectacular venue! Matt was already there and was surprisingly calm, all he was now waiting for was his future Mrs Sandford! 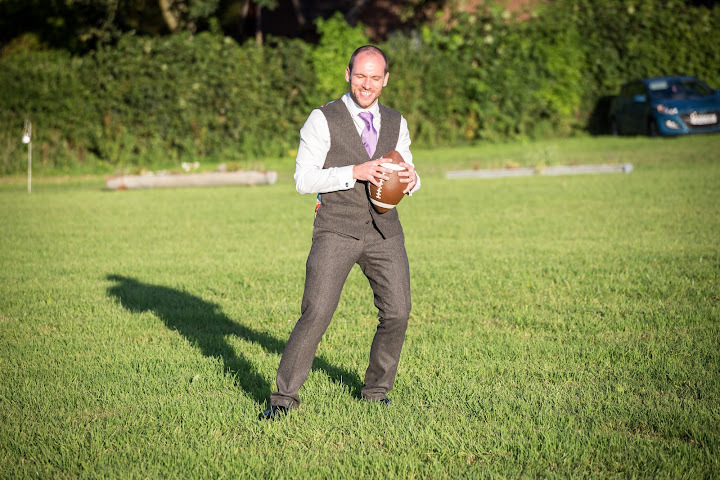 I realised whilst capturing photos of the guests and Matt was what a beautiful setting for a wedding and I was glad that a Bristol wedding photographer was given the opportunity to captures these moments in the sumptuous settings of Devon! 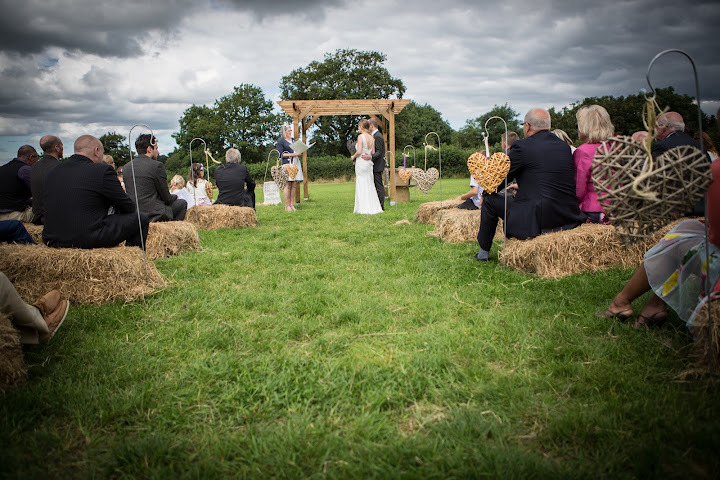 With the ceremony to begin at midday I began capturing pictures of the guests and scenery whilst trying to blend in. 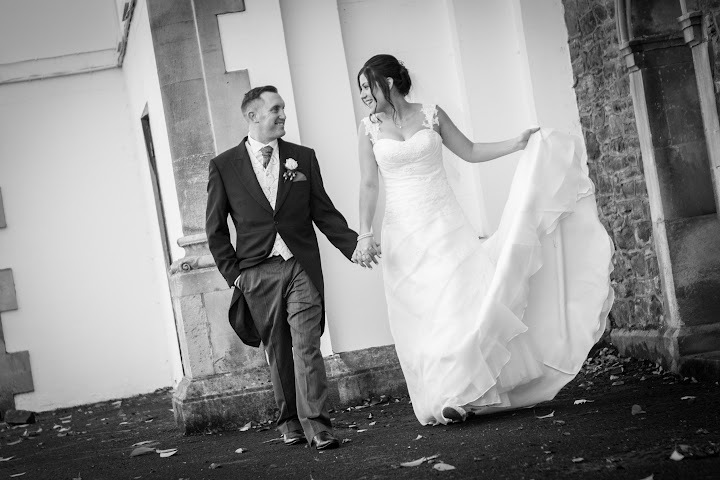 With the weather being kind we had a mixture of sunny moments which meant I was able to capture some truly memorable photos for the couple. Seeing the bride and her equally beautiful bridesmaids walkthrough the tunnels was just brilliant, it was so unique! 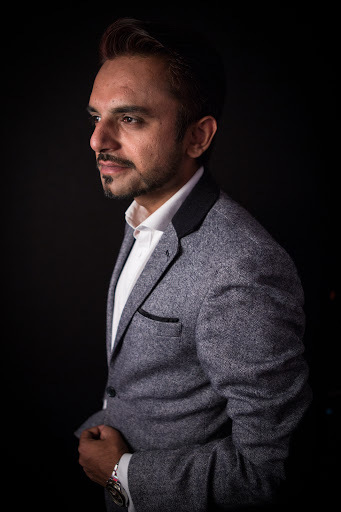 As a photographer you love to experience different lighting opportunities and this tested me! Capturing some delightful moments I headed to a little embankment which my photos clearly show the romantic nature of the Tunnels Beaches. 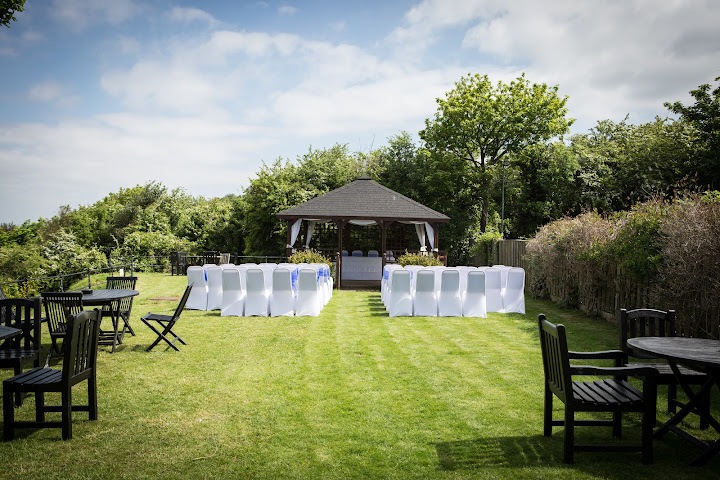 With the sun beating down it was a setting from a tropical paradise and the ceremony itself was beautiful, a real heart warming and romantic affair just like the couples love for each other. I was able to get close up and capture the moments they will cherish for ever, that is a feeling that all photographers enjoy, that opportunity to capture memories. With the vowels said and the ceremony completed it was then time to take some pictures by the beach. 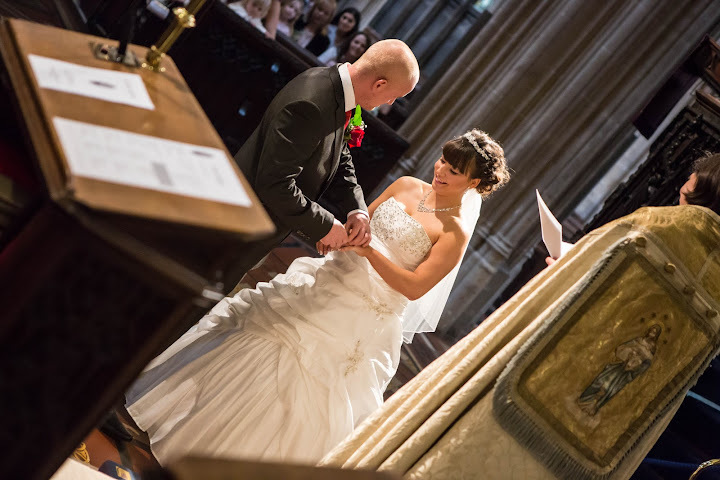 It was a privilege to share those intimate first moments of Mr & Mrs Sandford life. I was able to collect some beautifully natural shots not just of them but also guests, bridesmaid and also with their child! 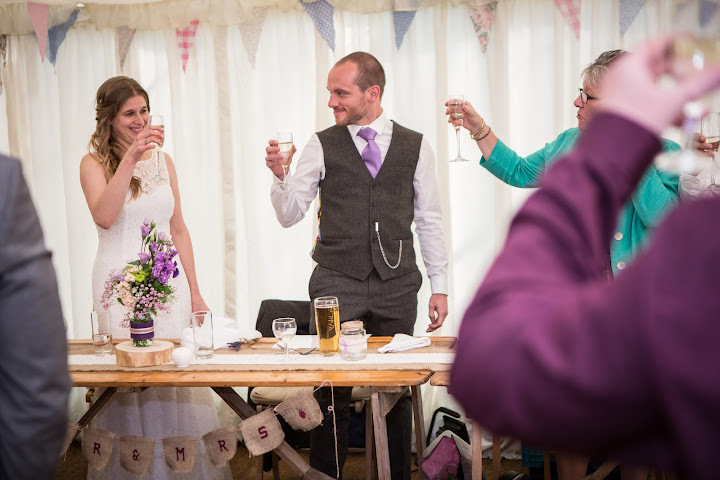 It was a real friends and family celebration to mark the start of their married life! With some odd showers we had to sometimes run for cover in the tunnels, but whats wrong with having some traditional English summer weather! Once the photographs had been taken it was back to venue where the celebrations could begin. 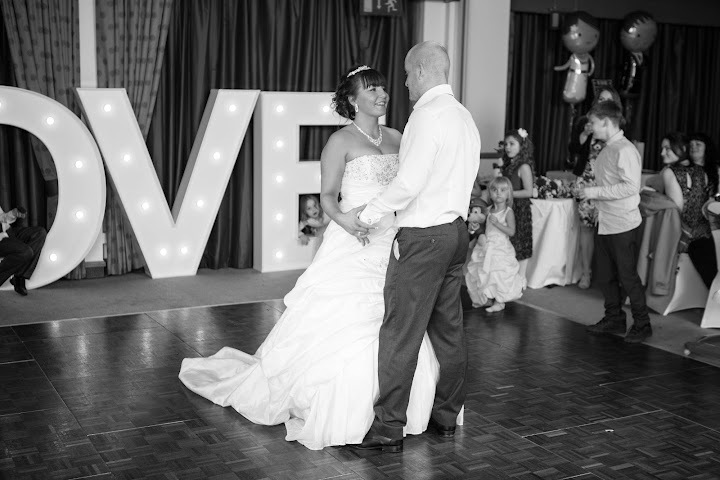 It was brilliant capturing the party atmosphere, the speeches and just as importantly the first dance. I must admit the Devonshire ice-cream was scrumptious! (I couldn’t resit a try, I was away from Bristol, so it was important to experience everything!) 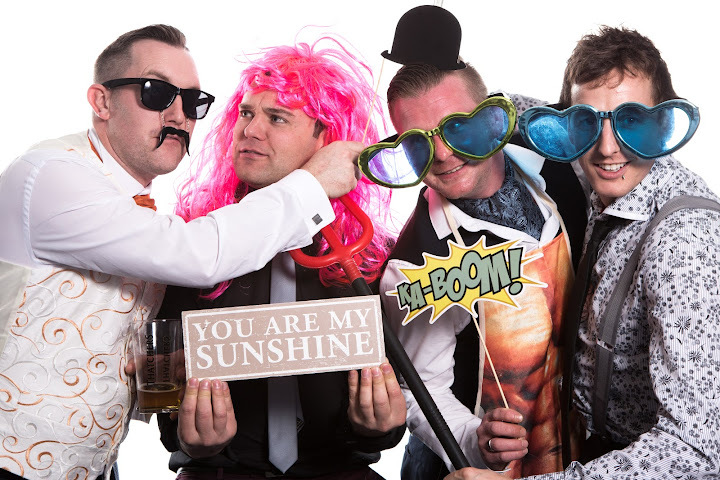 With a Photo Booth on hand the fun and excitement went on till the late night and watching that sunset over over the beech of Devon, I know this wouldn’t be my last wedding shoot in this beautiful county. 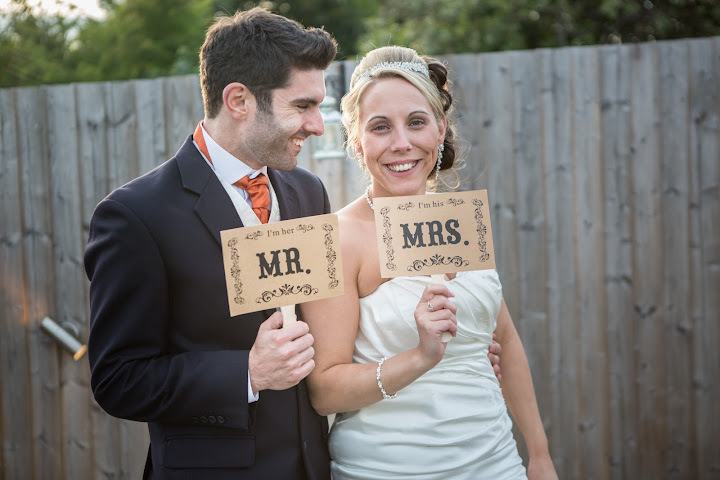 Congratulations Mr & Mrs Sandford! 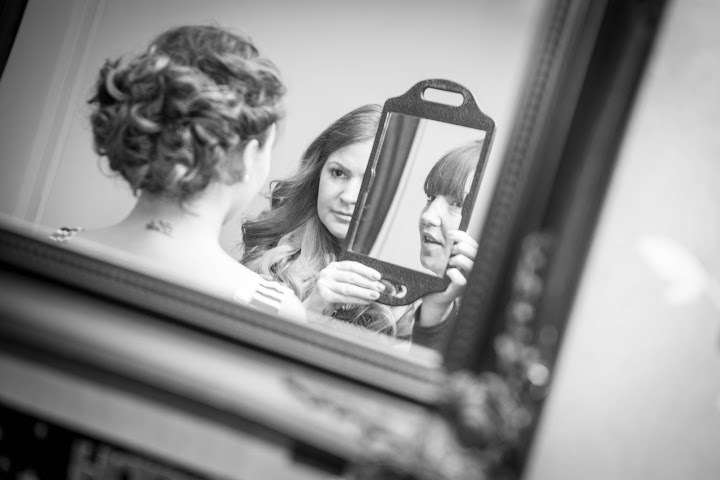 When Katie and Leigh contacted Memos Studios, they had asked me to capture their wedding preparations. 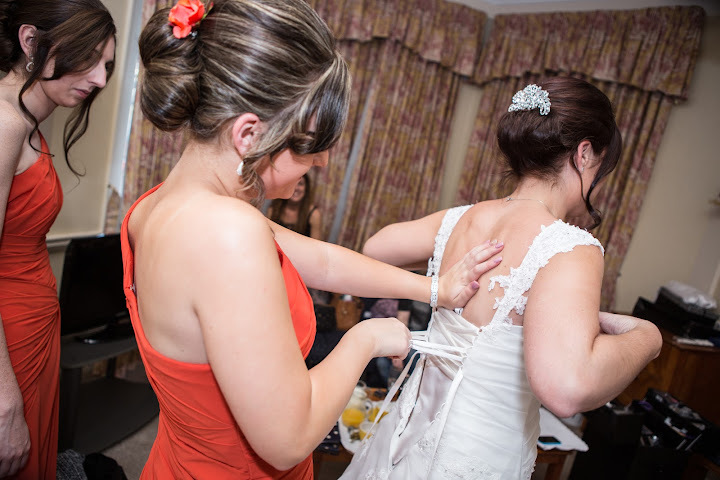 Choosing our ‘deluxe package’ Katie and Leigh were going to obtain a keepsake of memories that would last a lifetime. Before we met up, I had a wonderful conversation with the couple. Katie told me all about her ideal day and I was excited in capturing their special memories. On a wintery morning in November 2015, I arrived at a local woodland area close to where Katie and Leigh live. Walking up to the couple, who were cuddling under an umbrella to avoid the rain, It was immediately apparent of their strong relationship and before saying hello I started photographing. For the next two hours we were able to obtain images in a beautiful surrounding with the added advantage of the wintry and rainy weather conditions. 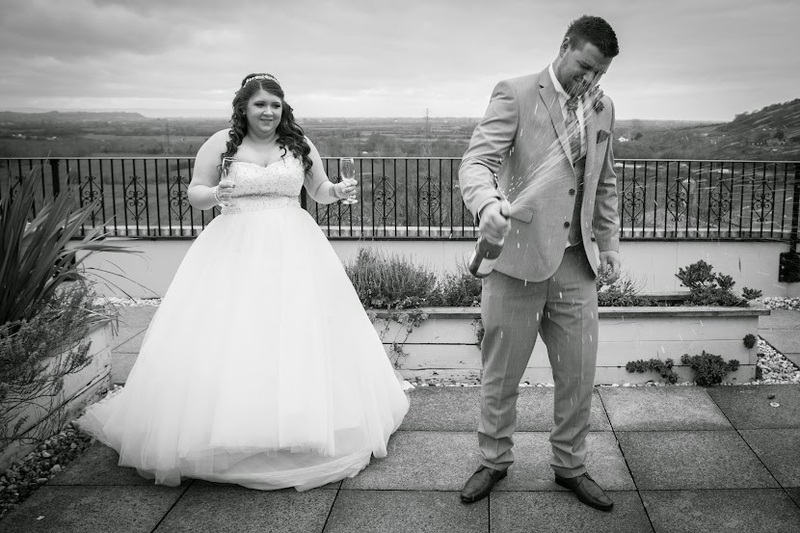 Being able to capture the couple with the most extreme weather helped to accumulate some fantastic shots of their intimate moments with the camera lens. Drying off in a warm coffeehouse we got to discuss their wedding plans and it was remarkable how calm both Katie and Leigh were with only seven months till their big day. I got to show them a few of the pictures I had captured that day and it was wonderful to build such a close relationship with the couple. What a setting for a wedding I thought as I drove up in the morning! Getting my cameras ready I made plans to greet Leigh. 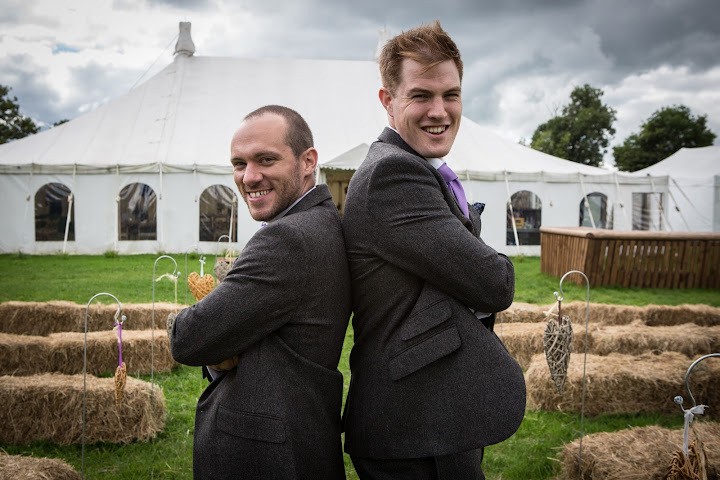 Being as relaxed as in our first engagement shoot I was able to take images of the boys relaxing with some target shooting in the grounds of the estate. 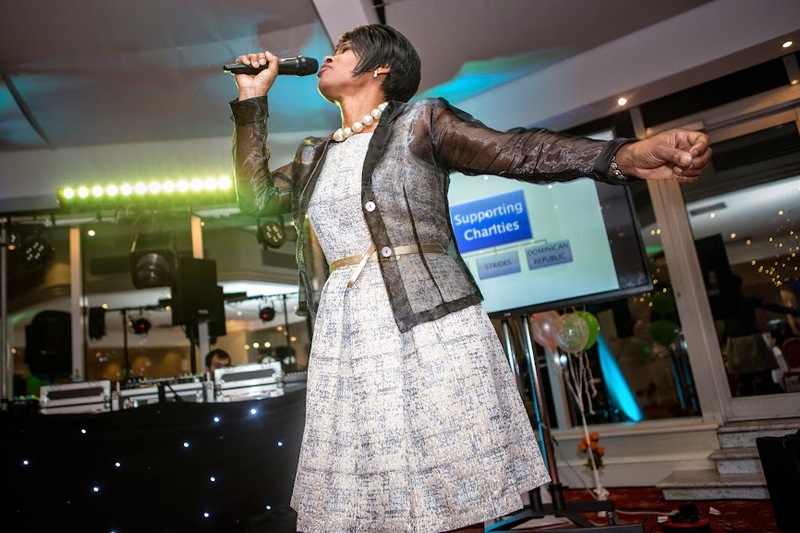 It went down a storm! Walking up to Katie suite the preparations were already underway. 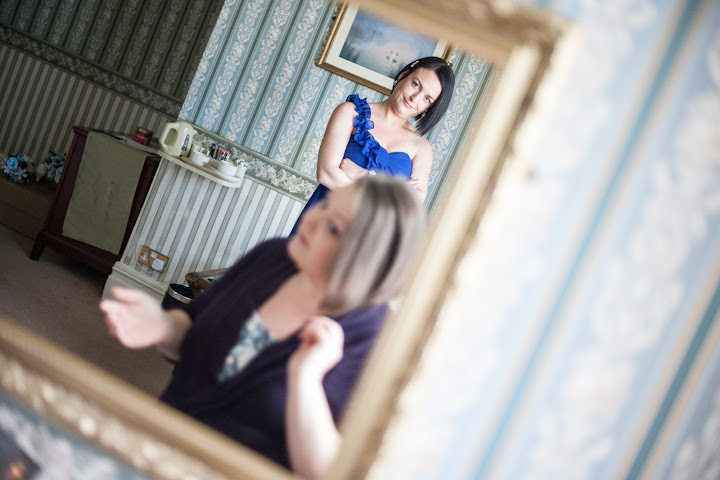 The camera and i took a low-key role, aimed at capturing the bride and bridesmaids getting prepared for the big event. Nothing was staged, everything that was photographed was real. 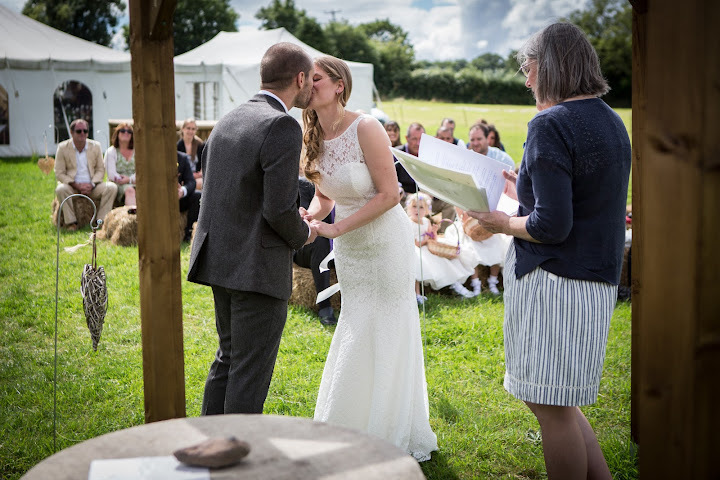 The wedding ceremony was as beautiful as the couple and it was wonderful to see that Katie and Leigh were now officially, Mr & Mrs Hodgkins. For the next hour, my cameras got to capture Katie in her stunning wedding dress and Leigh in his wedding attire. 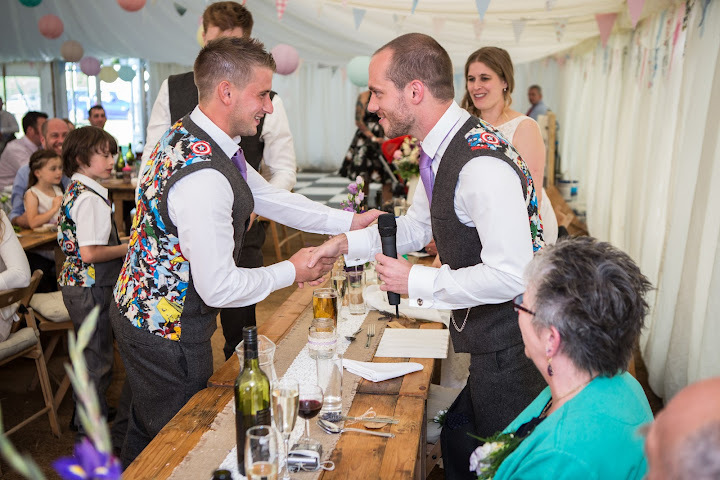 There were so many guests making their day special it was easy to capture images of the relationships between the couple and their close bonds with both family and friends. After such a delightful wedding the couple returned to the banquet hall where I was able to capture the meal and speeches. 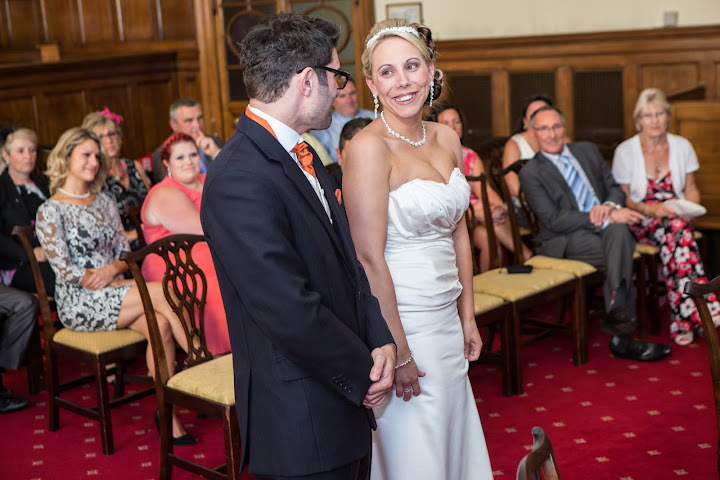 Nothing was staged and when the couple look back at the photographs they will see the reactions of themselves and guests over the successful speeches and meal. The first song came and went and then the real party began! 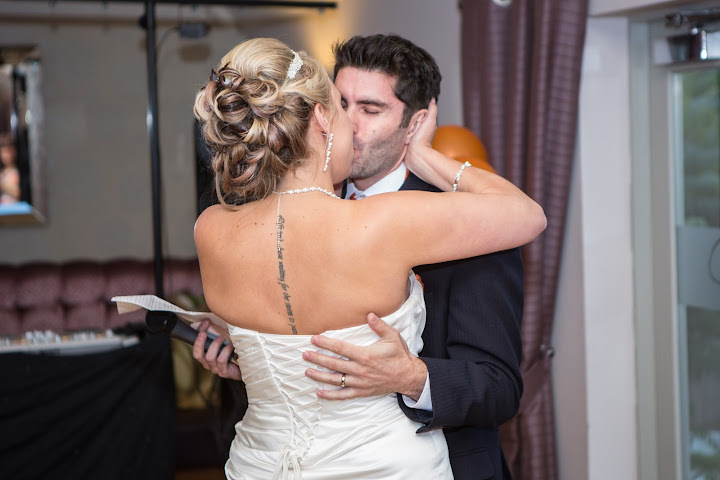 All the intimate and private moments had been captured and it was now time for some fun. 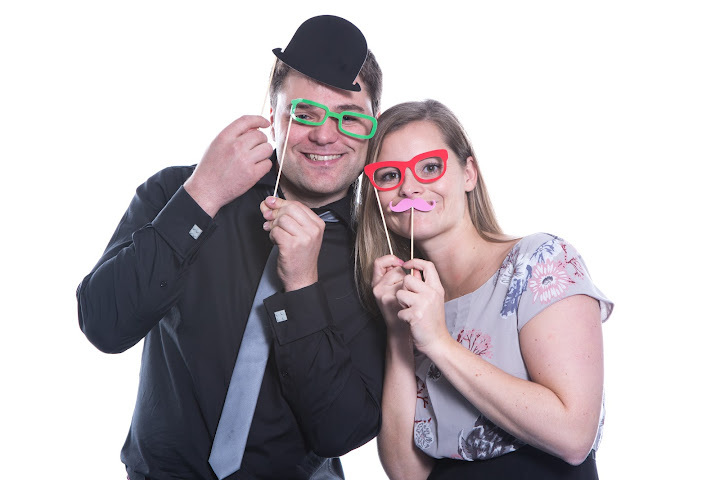 As part of the ‘deluxe package’ the ‘photobooth’ was in full swing and it was great to see the adults and kids having a great time in front of a camera! 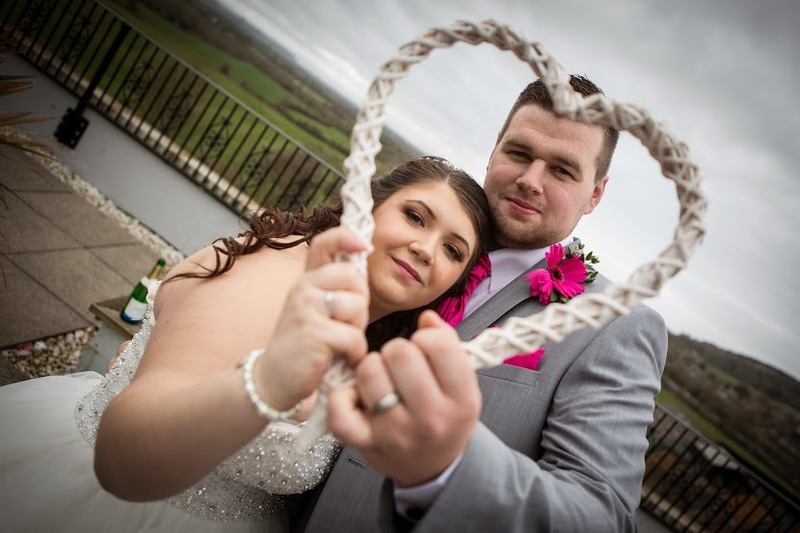 I wish Mr & Mrs Hodgson all the happiness in their future lives together and it so rewarding as a wedding photographer to capture true love in a stunning location. 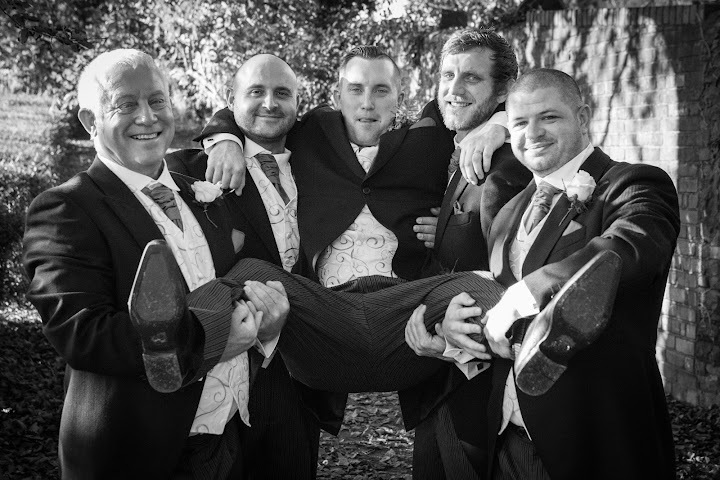 At Memos Studios we appreciate no budget is the same, so I have created packages that cater for every eventuality. 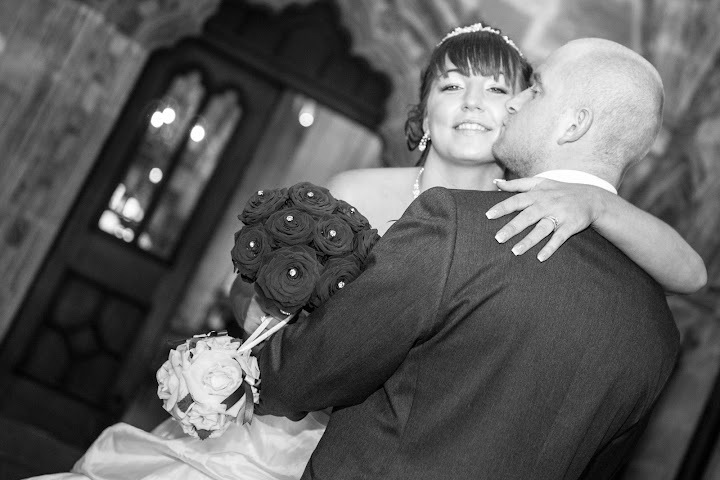 Our studio is based in Bristol however, I will travel anywhere in the country to capture your special moment. 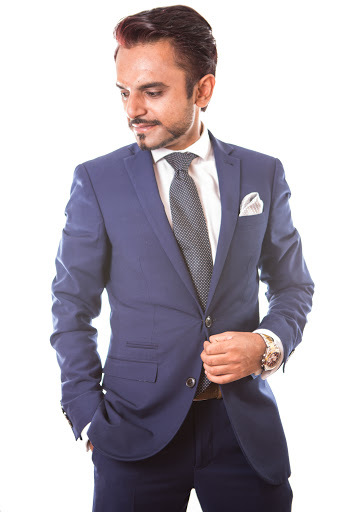 For more details contact myself on 07946 642223 or email info@memosstudio.com. When I wake up on the morning of a wedding shoot, I can’t express how excited and honoured I feel at being apart of such a special day in two peoples lives. 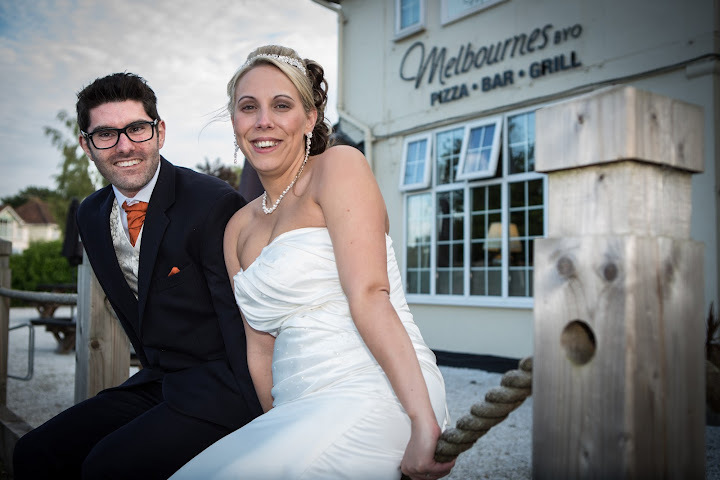 Louise and John Webber’s wedding was no different. 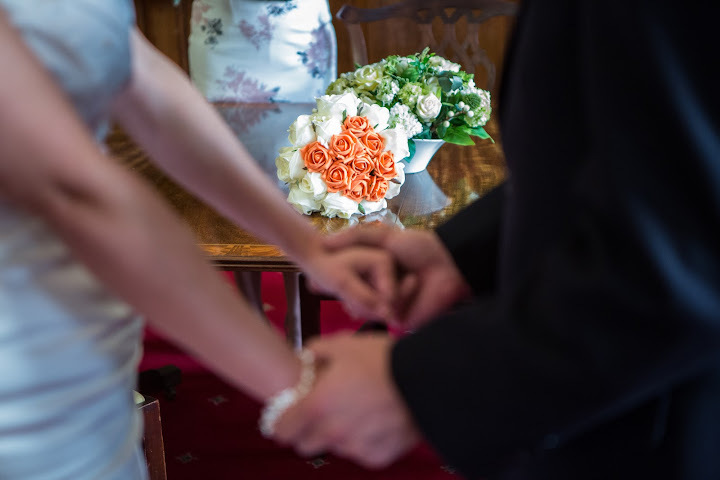 Having talked with and met the lovely couple weeks before their big day, I know how much they truly love and cherish each other and for me personally, it was a real pleasure to work with them. 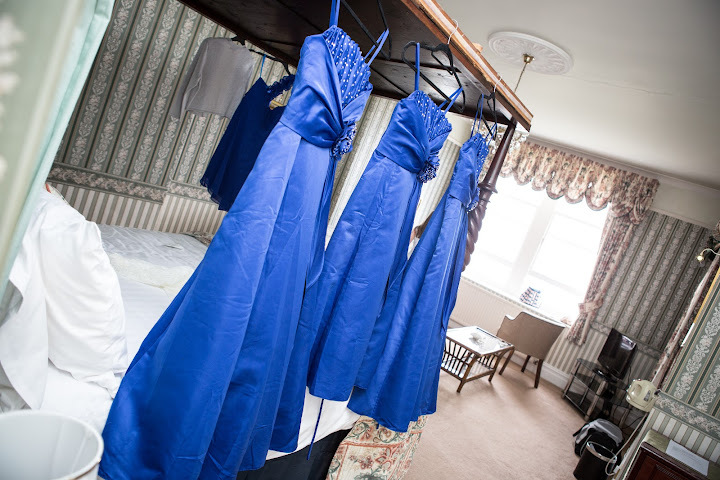 I arrived at Louise’s hotel at 9am to capture her wedding day preparation along with her bridesmaids. 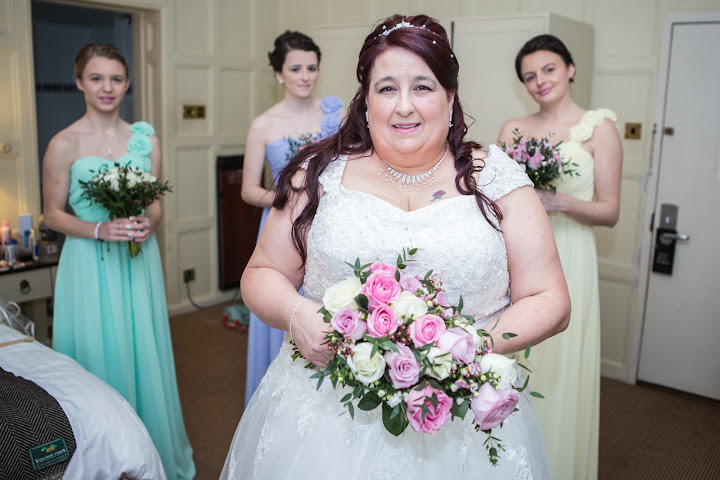 As you can see from the shots taken, Louise looked simply stunning and so did her bridesmaids. Having stayed at the hotel since Friday, it was safe to say the room was a little bit messy as are all hotel rooms on the day of a wedding! 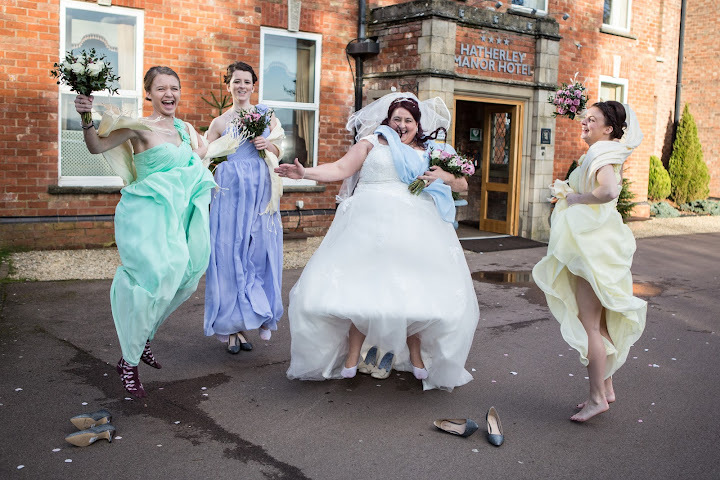 Apart from inhaling a large volume of hairspray, I managed to capture some beautiful moments between the bride and bridesmaids which have turned out fantastically well. 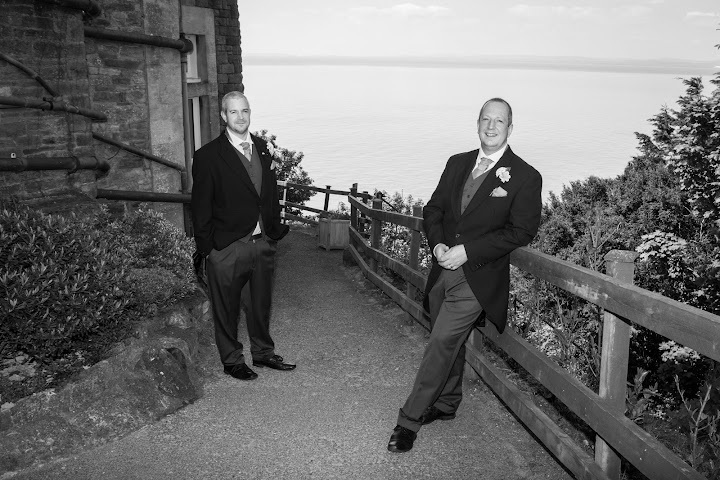 Now to the groom, with the ceremony set to start at 12’noon, John along with his son and the best man arrived at 10am to make sure everything was set for a moment in Louise and John’s life that would be cherished for a lifetime. 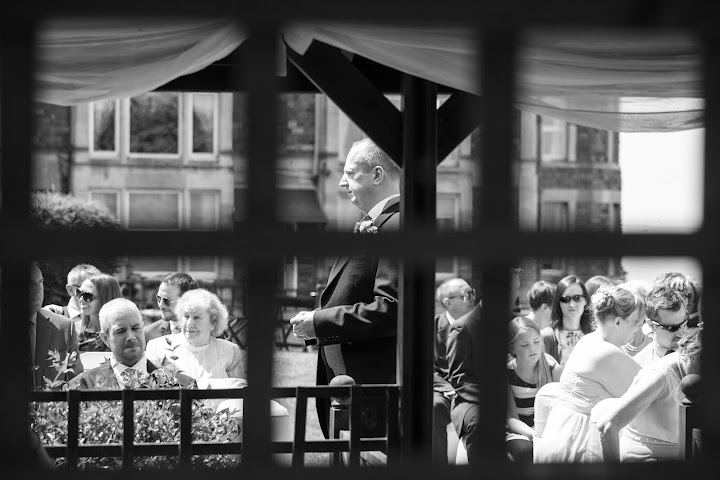 When taking some shots of John, his son and best man, I had to be extra careful that John wouldn’t see Louise through the windows! To be extra safe, we pulled the blinds down to make sure this wasn’t the case. 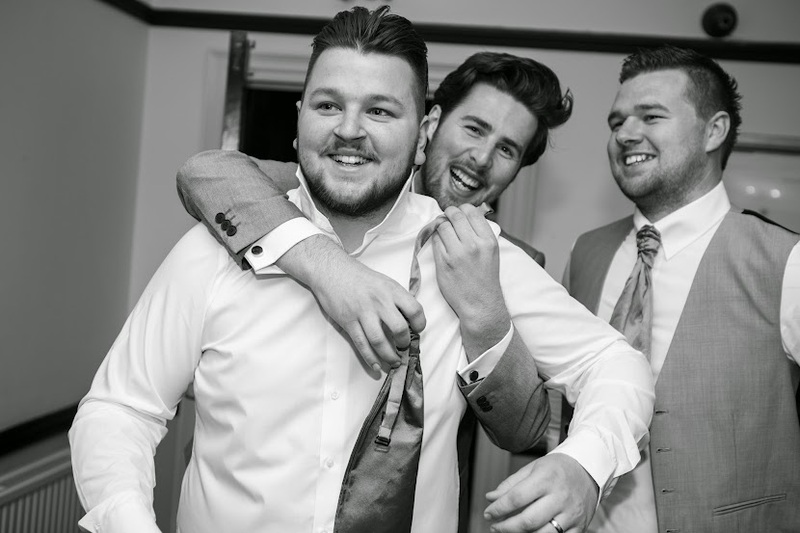 Although the lighting conditions weren’t ideal, I used my years of experience to capture some wonderful shots of the Groom (who looked incredibly smart), his handsome son and best man. They turned out great and I’m really pleased with what was produced. 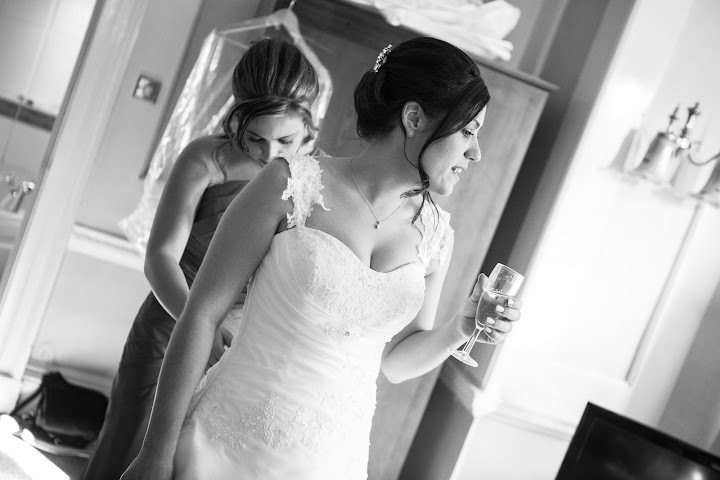 Having being apart of many weddings in my time, I can safely say that Louise has been one of the most organised brides I’ve come across. She arrived promptly at the ceremony venue which was a pleasure to be apart of. After an emotional ceremony, it was time for some family pictures in the beautiful gardens surrounding the ceremony venue. For me, the weather was perfect, no rain and no sun which often adds shadows to a shot (perhaps not what Mr and Mrs Webber wanted!!!). After the ceremony it was time for the speeches and meal After the meal all the guests enjoyed the photo booth I had installed and it was safe to say that all the guest thoroughly enjoyed it. The whole day was a real privilege to be apart of. 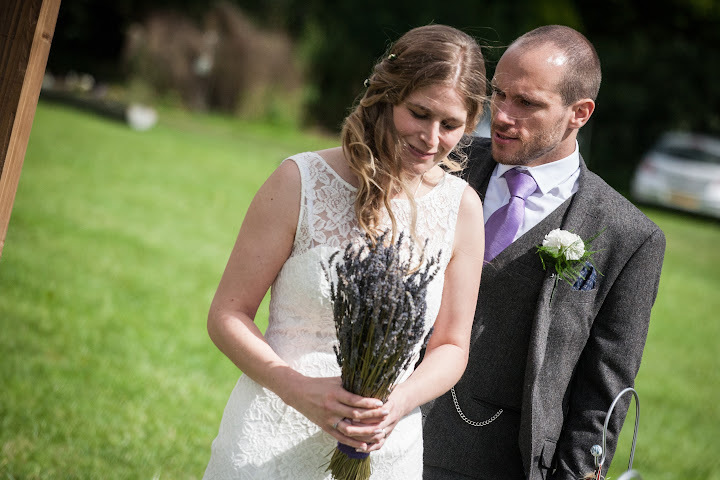 Lastly, I would like to congratulate the new Mr and Mrs Webber and wish both of them all the happiness in the world. 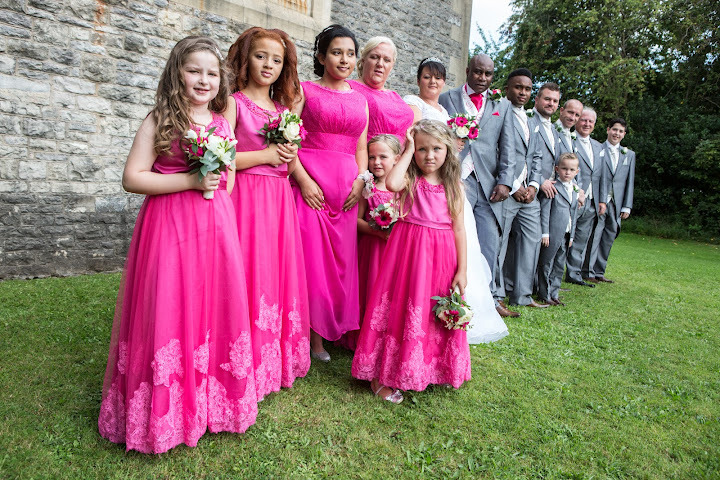 It was a beautiful and sweltering sunny day in Bristol, we started at 10am I proceeded to meet the bride & groom, as well as the bridesmaid and close family. 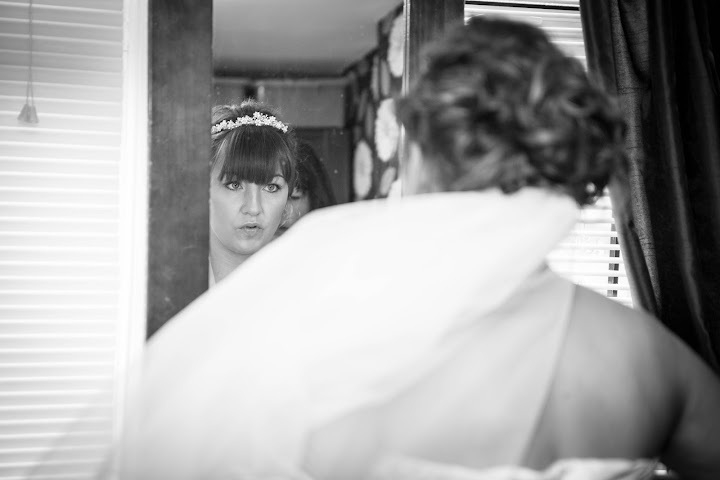 The Bride & Groom, (Laura & Dan Calvert) were both nervous but filled with excitement, I took photos of both while they were getting ready for their big day! 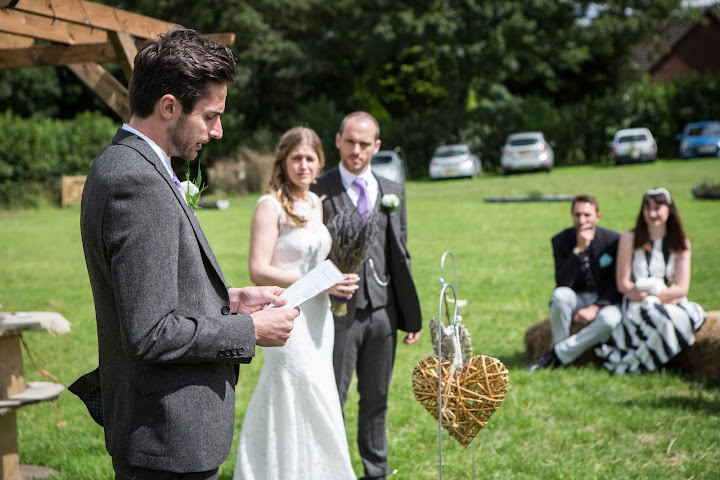 The ceremony began at 13:30 pm, and as the sunshine was beaming, the ceremony was held in the garden, (see below). 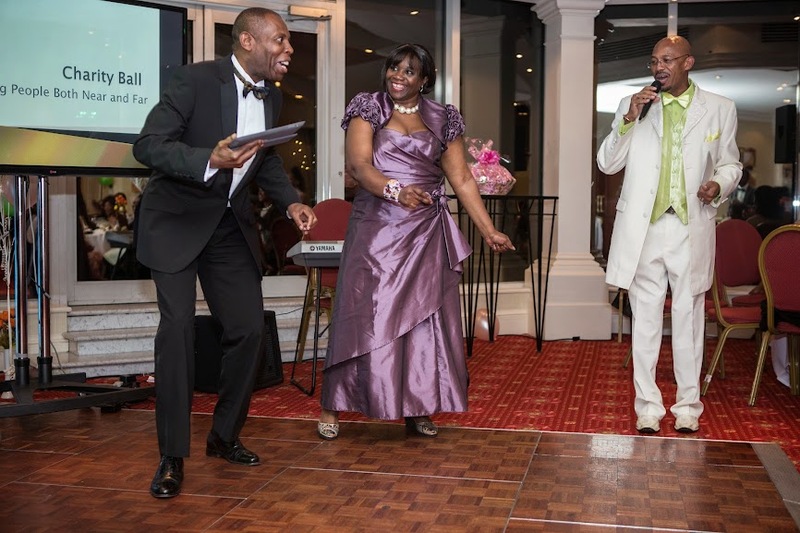 It was a small wedding but the presentation as well as the overall organisation was exceptional throughout! After the ceremony in the garden, the weather was still perfect and we took a number of photos while waiting for the most important part of any wedding, the food! 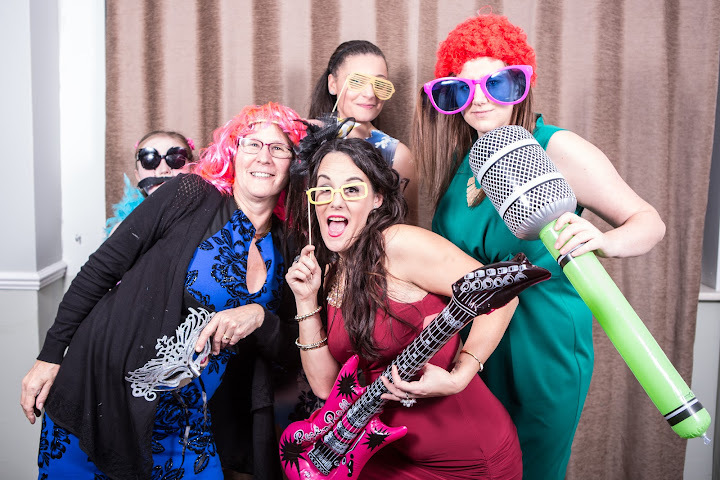 After the meal, I set up a photo-booth as a part of my “Essential package” It was a fun-filled atmosphere and everybody wanted a picture in the photo booth, with all of the amusing props that we had! 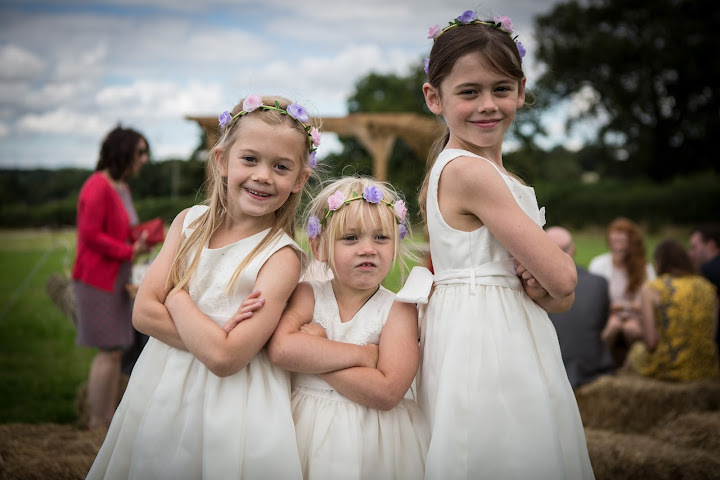 The kids especially loved it and it capped off an all in all fantastic Wedding Day for the happy couple, all of their family and a very satisfied Wedding Photographer from Bristol. 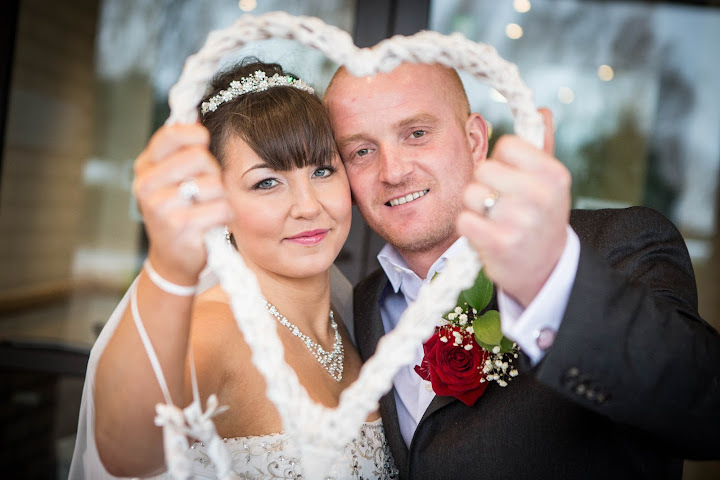 Congratulations once again to Mr & Mrs Calvert. Book any wedding package with MemosStudio by end of May 2016 and you will receive free engagement session!!! Can be done in your favorite location. 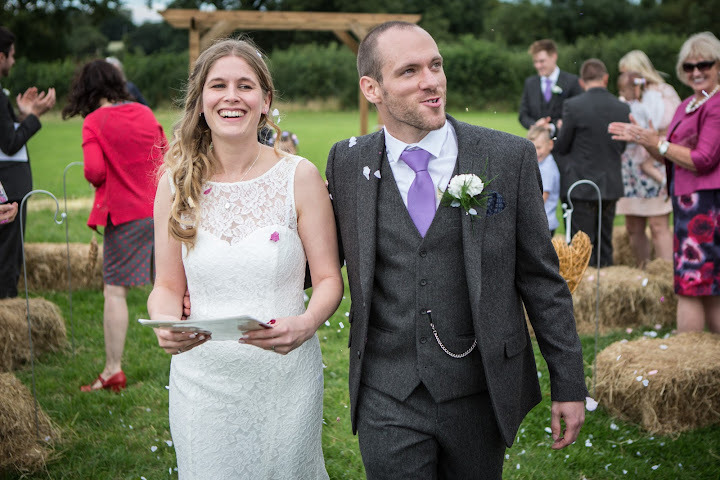 The 20th of February 2016 was the wedding day of Georgina and Billy, now Mr and Mrs Hicks. 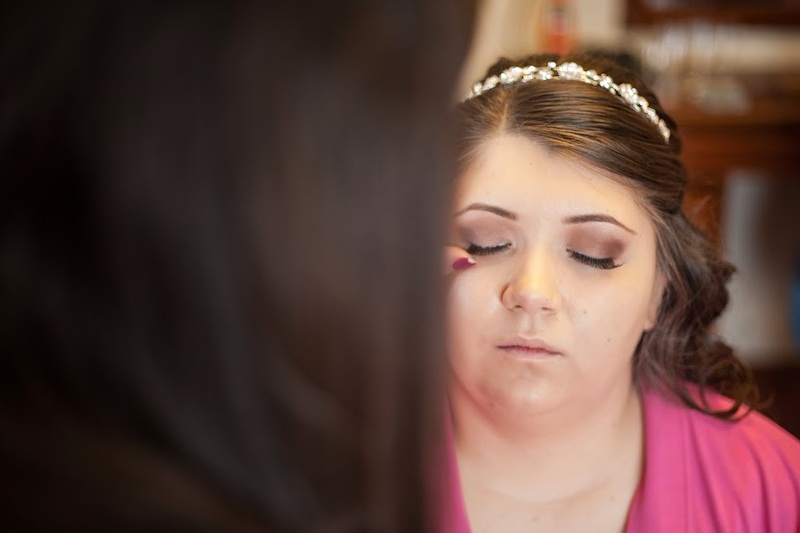 As with many of our clients, the day started off at home with the bride as she prepared for her big day, along with her children, and the mother of the bride. 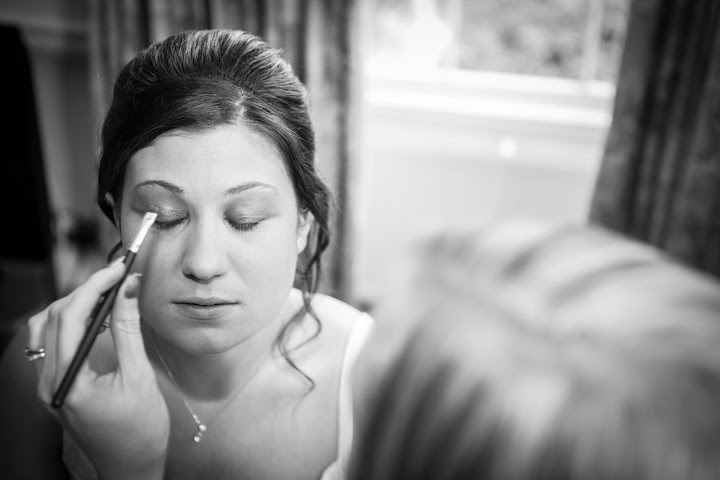 The candid shots captured as the bride prepared her hair and make-up have made for some fun and memorable pictures. 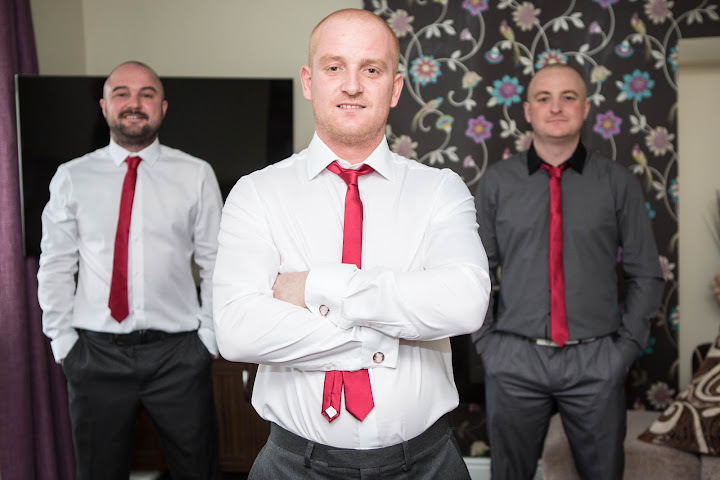 The groom was also paid a visit for some pre-wedding shots at his friend's house, along with the best man. 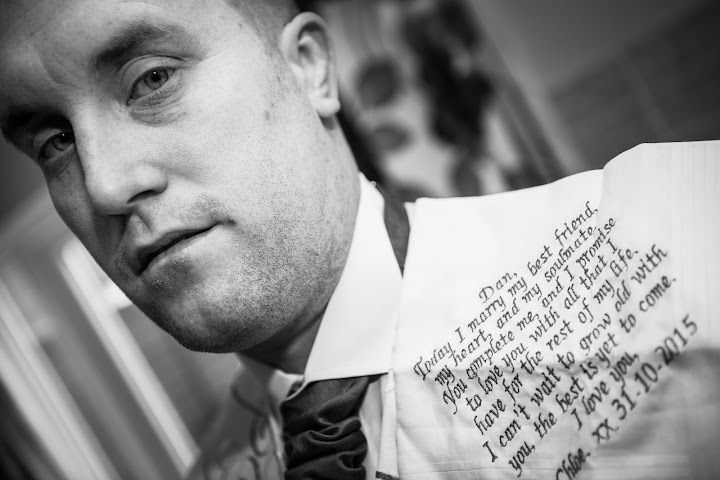 These pre-wedding photographs are always nice to then share with everyone after the day has gone. 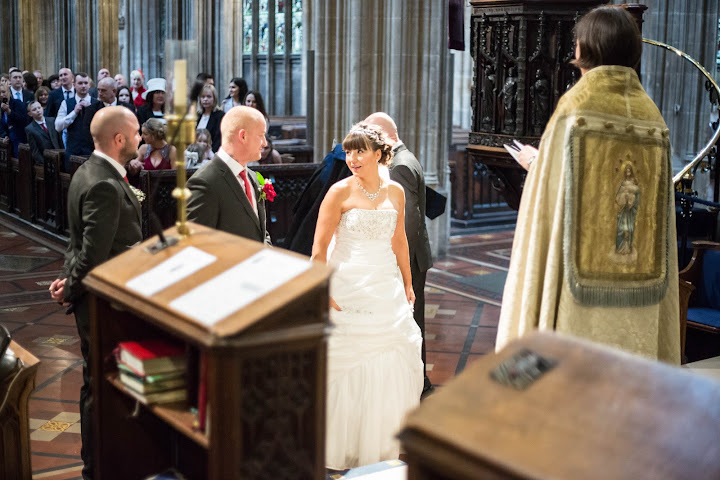 The wedding ceremony took place at 2 o'clock at Redcliffe Church in Bristol. 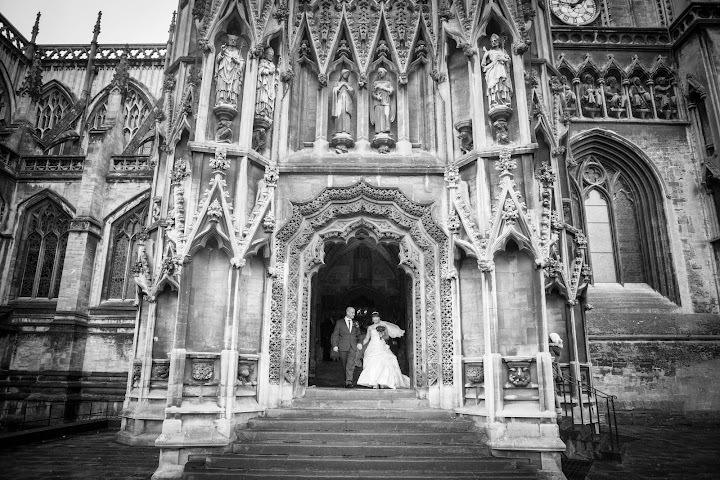 As you can see, the stunning architecture leant itself well as a backdrop for the dramatic and unique wedding photos. 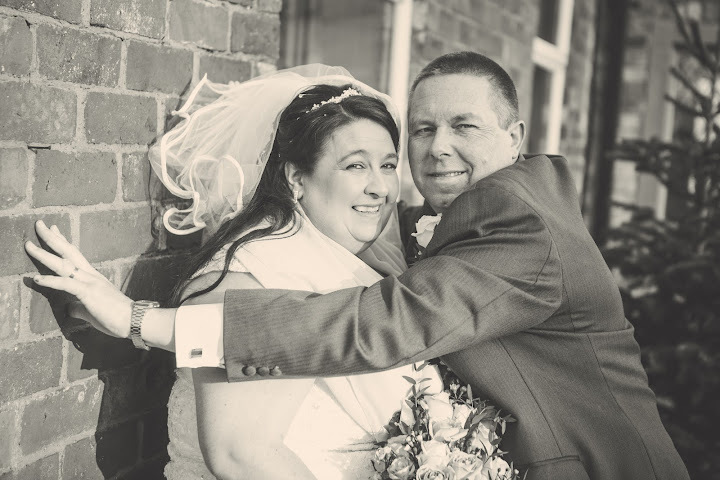 The weather was not very favourable, with a lot of wind, and also some rain, however Redcliffe Church had so many perfect locations for wedding photographs that this didn't seem to matter at all. 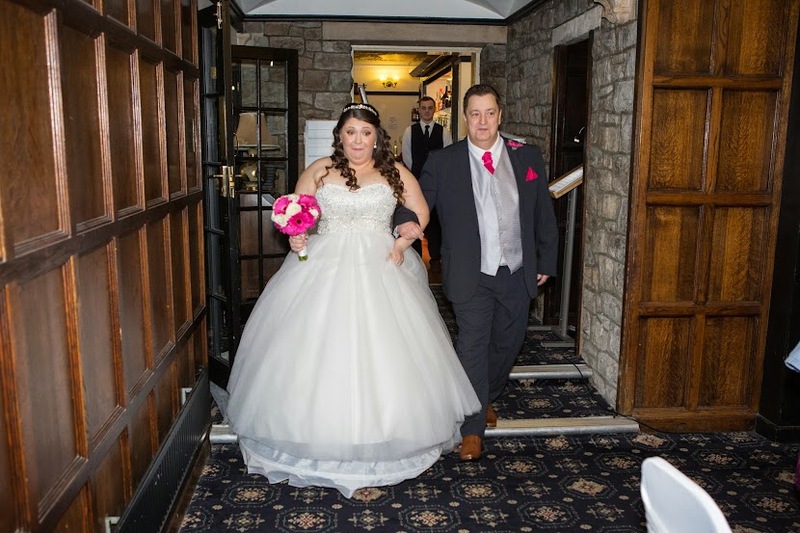 After the ceremony, the bridal party and guests traveled to the Hilton Bristol, in Bradley Stoke, for the wedding breakfast, and also a party. 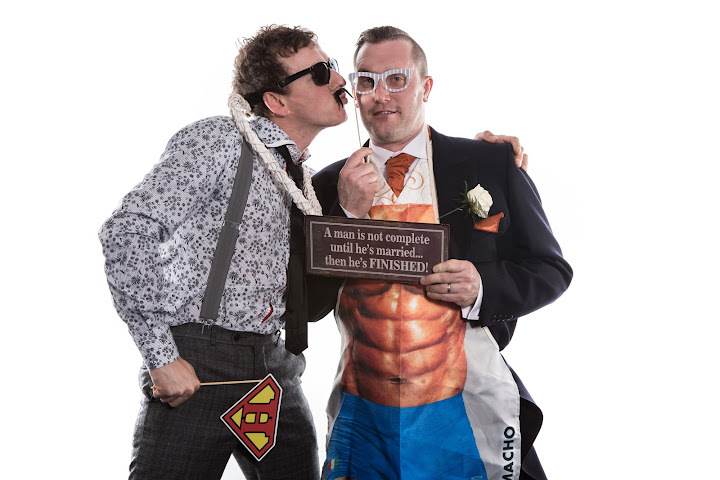 A photo booth (provided by MemosStudios as part of the Essential package) was there upon the guests arrival to keep everyone entertained while they were waiting to sit down to the meal. 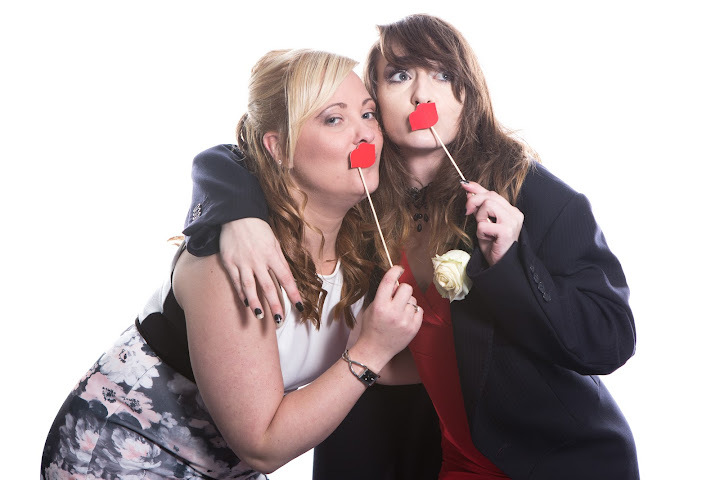 The photo booth provided great entertainment for people, not only before the meal, but also throughout the evening. This was a great feature to the evening as it captured guests having fun and created many light heated shots for people to look back on. 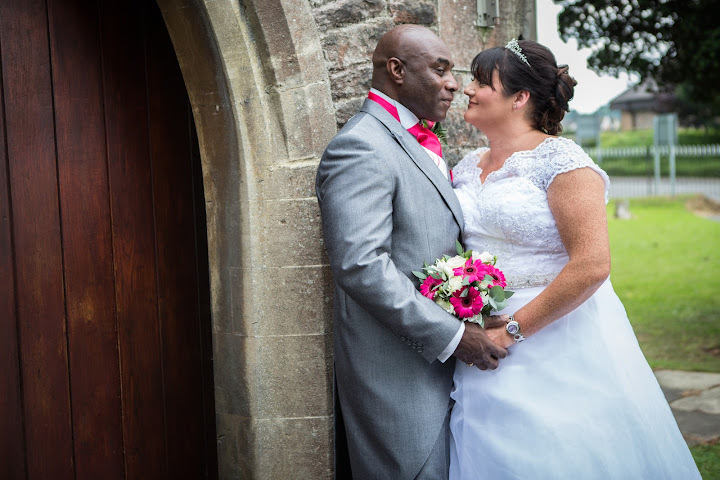 This Bristol wedding photography package resulted in a vast amount of photographs for the newlywed Mr and Mrs Hicks to choose their favourites from, as well as many great shots for family and friends to treasure as moments of the special day. 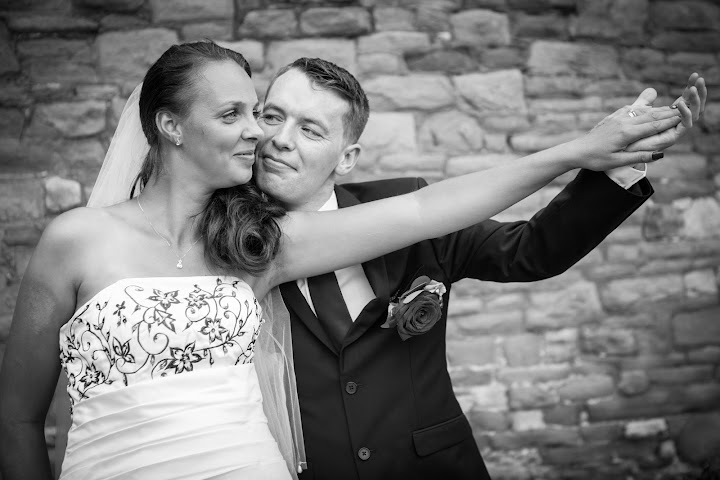 Miranda & Colin, were married earlier this year at the beautiful Hatherley Manor Hotel in Gloucester. 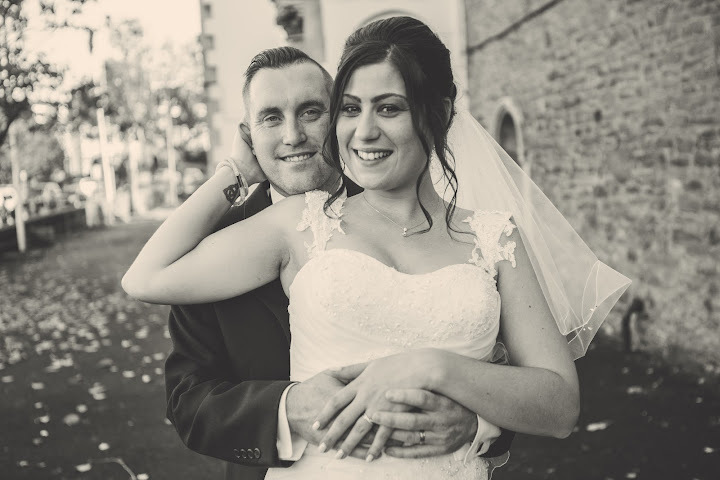 As a Bristol wedding photographer, I was lucky enough to capture their wedding day, playing a part in creating their treasured memories. 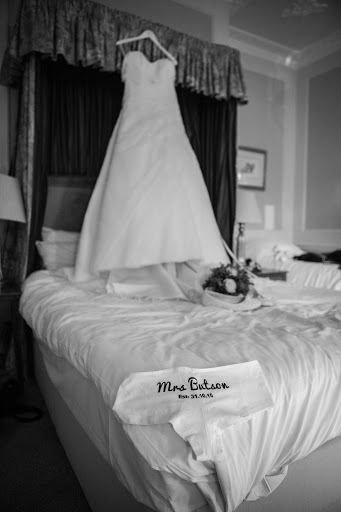 The magical day, the 30th January 2016, started off at 10am in one of the Manor hotel rooms with Bride Miranda's preparation. 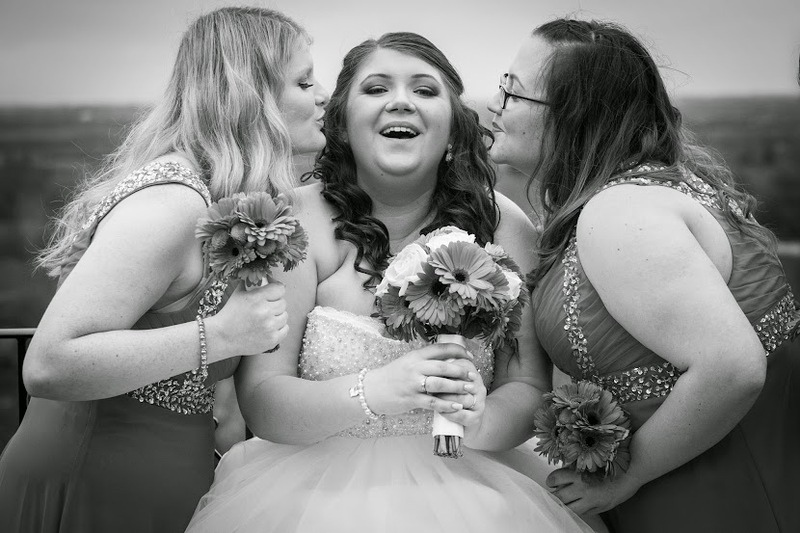 As a wedding photographer, I was able to capture those precious candid moments 'behind the scenes' that she could then share with everyone after it is all over. 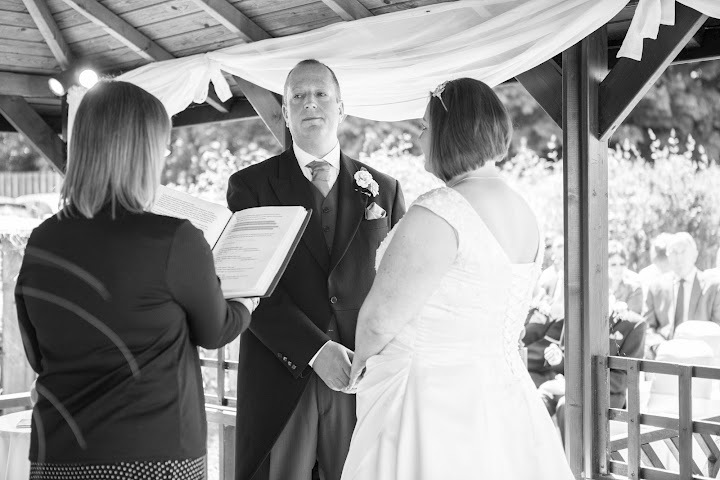 The ceremony itself started at 2pm on what was a crisp sunny Winter's day. 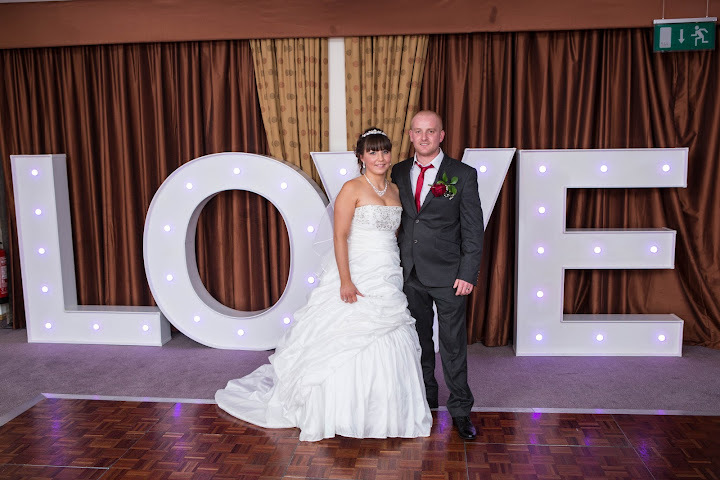 This provided perfect lighting, in an already perfect setting, for the wedding photographs. 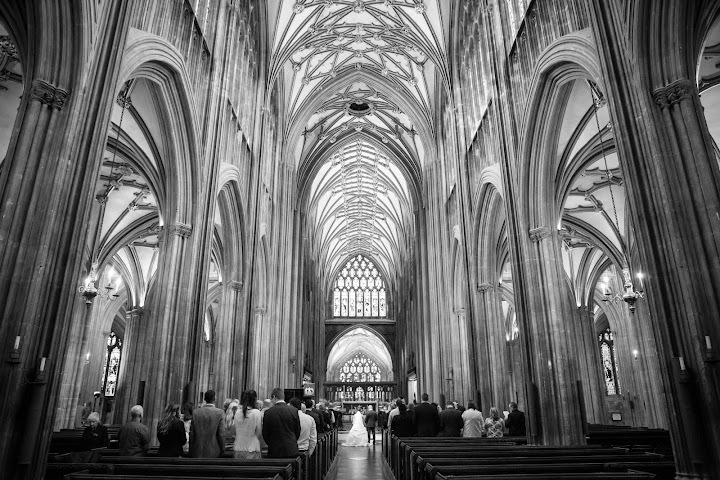 Anyone looking for stunning near Bristol wedding photography should check this wonderful venue out. 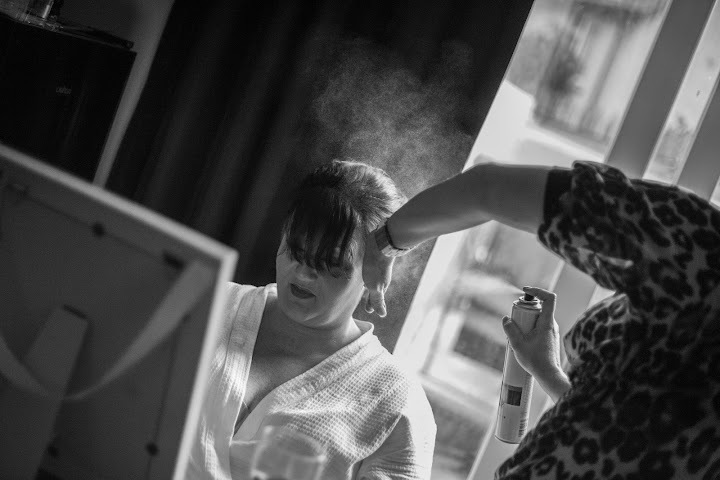 As a wedding photographer I love to capture the whole day, from the getting ready stages, to the partying into the evening, and of course the ceremony and meal in between. 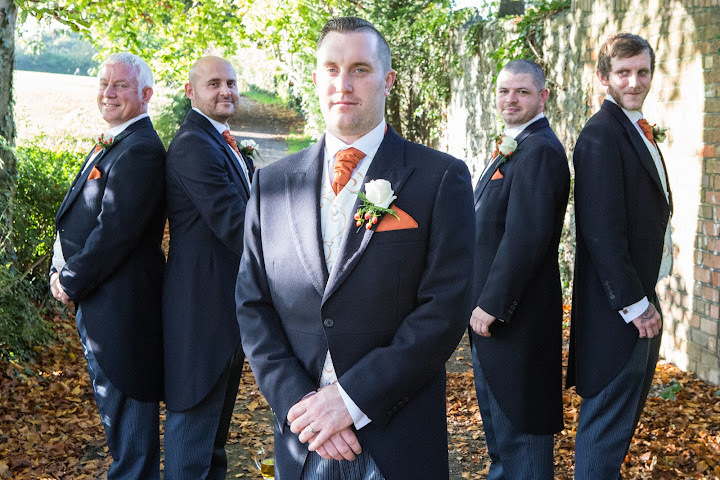 A large part of modern wedding photography is to capture the bridal party, as well as the family and guests, in natural and relaxed poses as well as the formal ones. 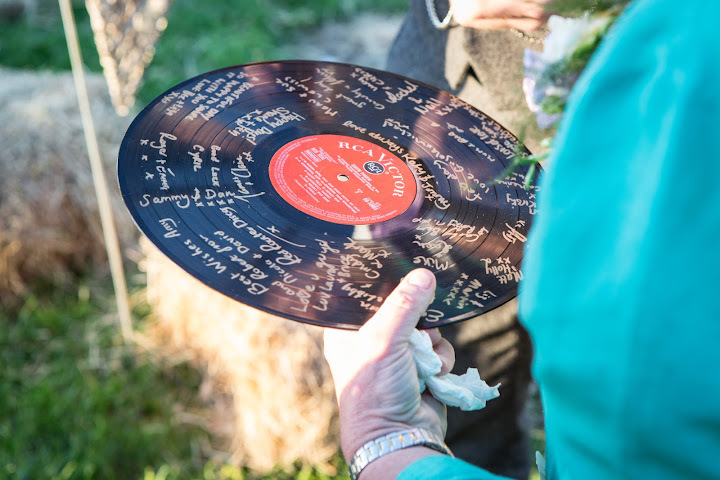 This enables everyone to look back on the day, remembering the little details as well as just the main ceremony itself. 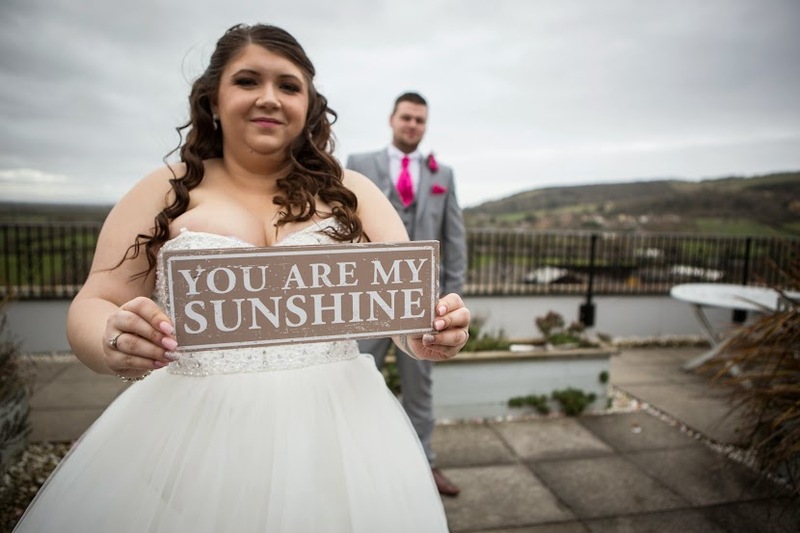 Miranda and Colin's big day was certainly a day to remember, and they have so many great photographs to look back on, give out, and display. 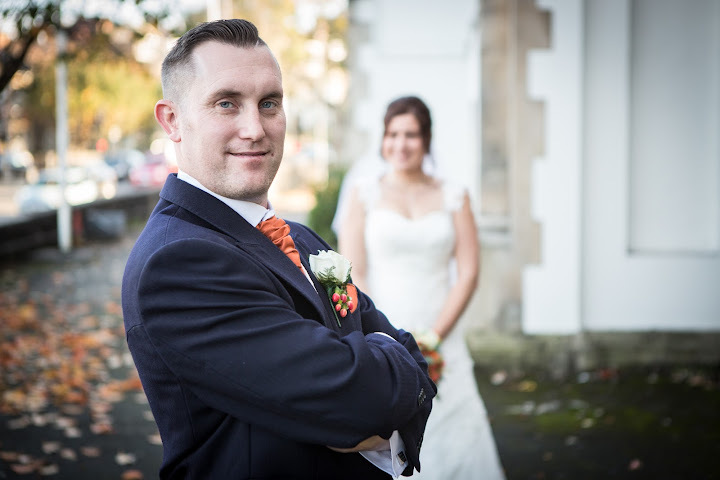 If you are looking for a Bristol based wedding photographer, then please do get in touch. 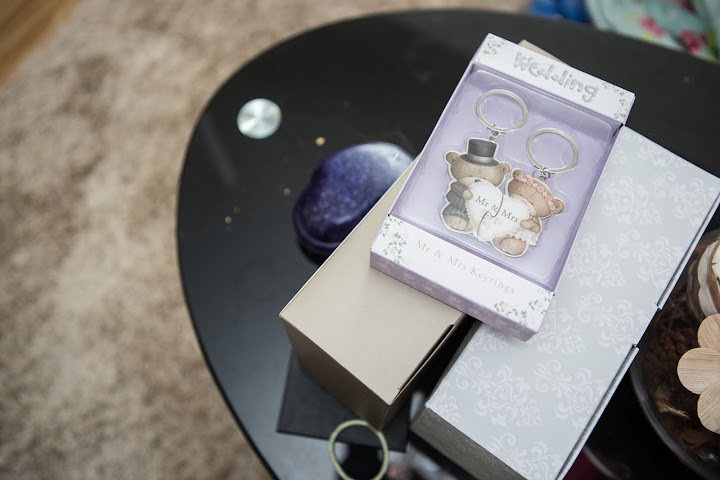 I also photograph proposals, which was another photo shoot I did for the joyful couple, now Mr and Mrs Ollerhead. 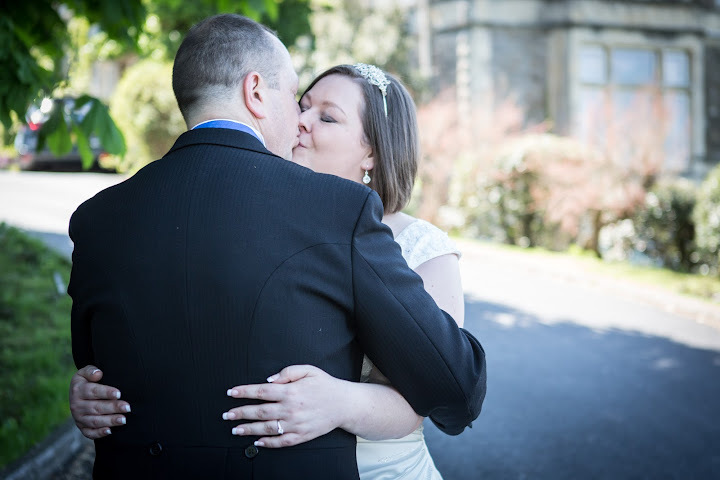 Great Value Wedding Photographer in Bristol!!! 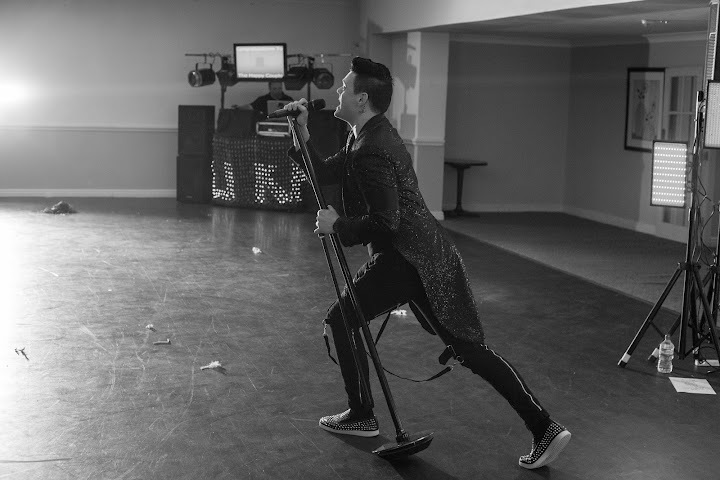 Still some dates free in 2016!!! 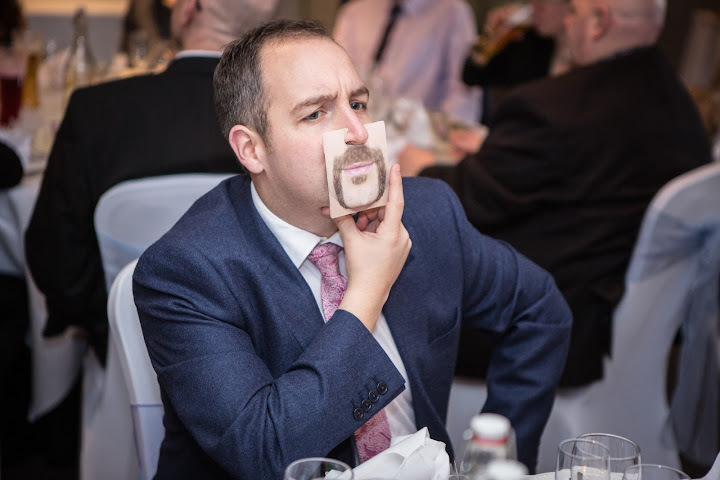 Contact Marcin today for free consultation!!! High resolution USB Stick in presentable case. Full day coverage starting from preparation until last dance. Musical Slide Show with favourite song. 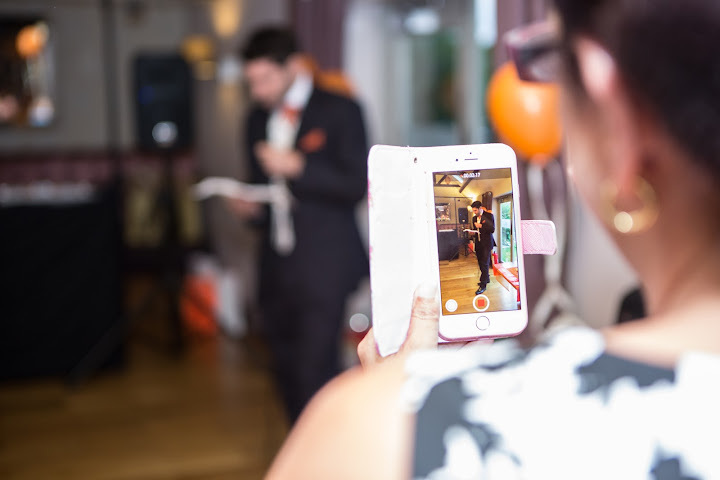 Speeches can be HD recorded. Photo booth on the day with funny items (images edited). New born or family session up to 2 years after wedding day. 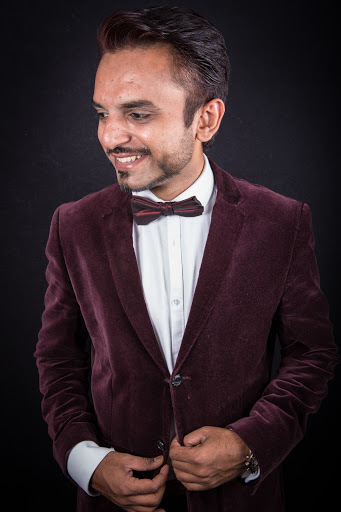 All the best in 2016 from MemosStudio Photography. 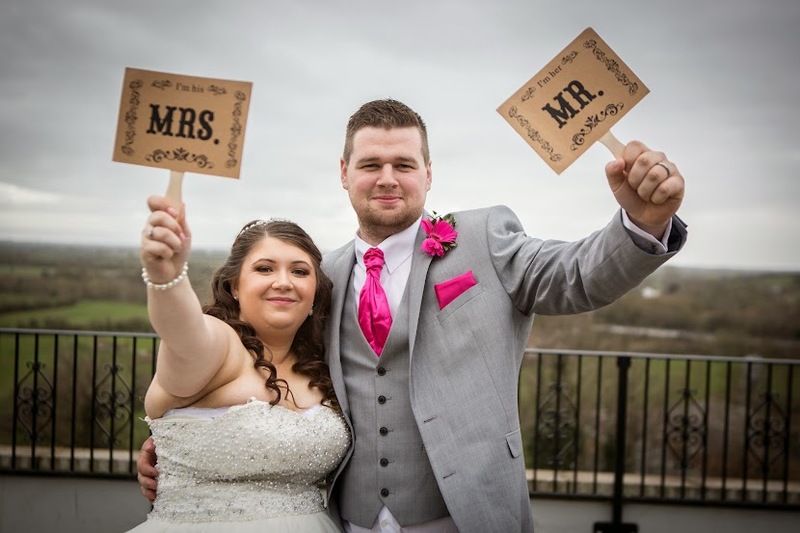 Hannah and Aaron contacted with me in January 2015 with regard to their September 's wedding at The Gables Hotel. I think we were on the same page from day one, they liked me and I was delighted that they choose me. 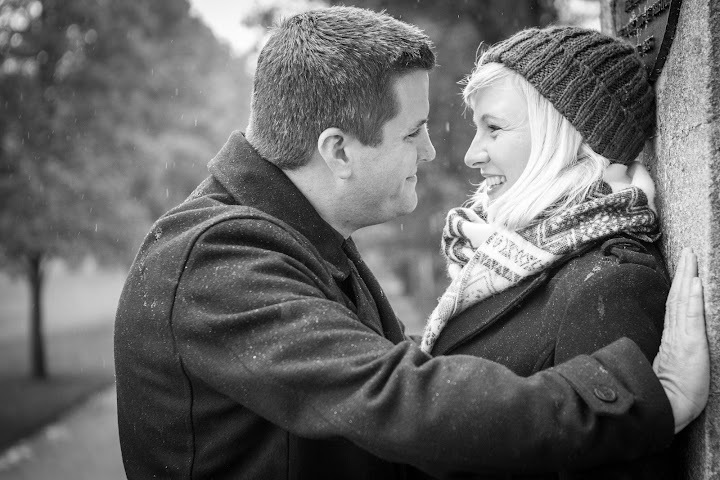 In February we met on Engagement Session and from that day I knew that I have nice wedding to looking forward. 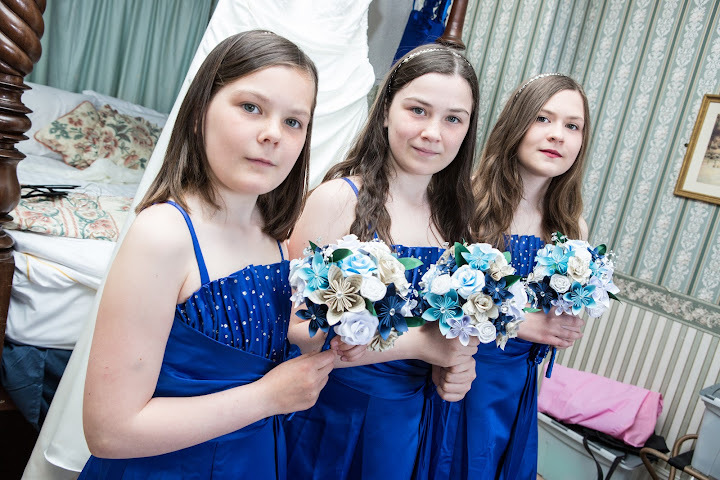 All started in Hotel's room where Hannah was preparing her self with mum and bridesmaid. Around mid day we have traveled to Pole Court at Yate for Ceremony. 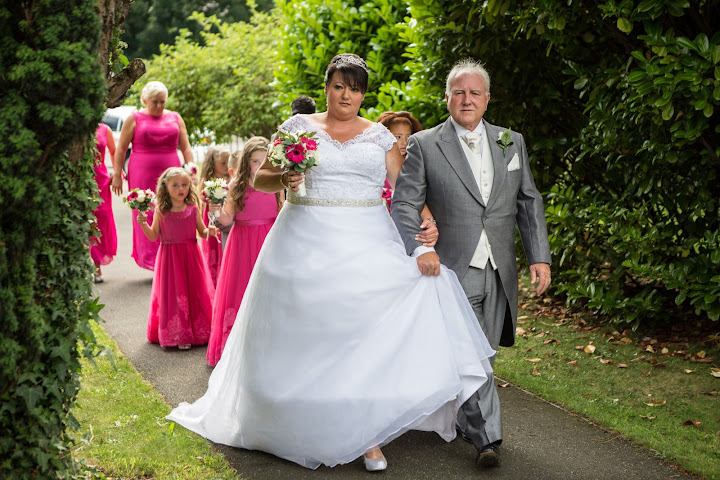 Hannah was walking with her father down the aisle and she was looking stunning. I felt a very lucky to able capture moment as this. Aaron is a very ongoing and very smiley person, no wonder he was not nervous, his big smile shows how much this mean for him. Moments when couple is looking in eyes and say “yes” are the most important moments and a very tricky for wedding photographer. You have to remember to be quite and invisible as possible and also be able to capture this seconds in the best possible way. When we came back to the hotel, we found few minutes to capture some shots on their own. As on weddings,time is pressure we have to get back to hotels for rest of the celebration. It was great Saturday and by end of the day we done some funny pictures by using photo-booth. 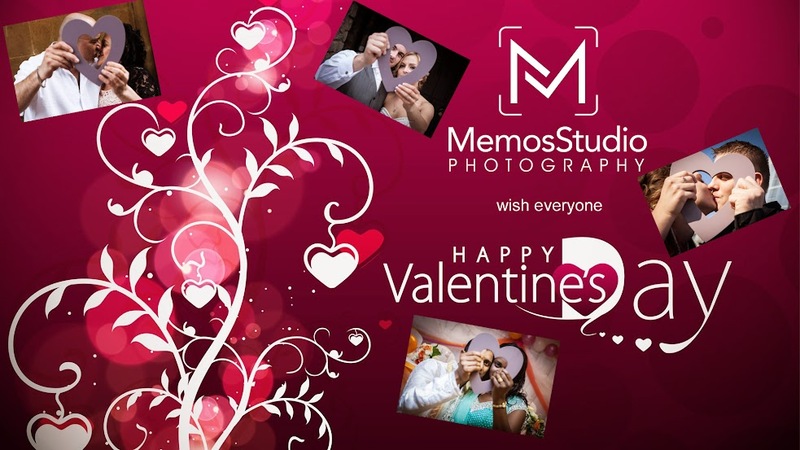 All the best from MemosStudio Photography. Zapraszam do obejrzenia kilka "memów" z wczorajszego meczu Anglia - Polska,oczywiscie wygranego przez bialo-czerwonych. Pojechalem tam tak naprawde zobaczyc mojego starego przyjaciela Daniela Krawczyka. Niestety jak sie dowiedzialem Daniel gral pelne minuty w sobotnim meczu a wczoraj trener dal mu odpoczac. Pozostalo mi tylko "strzelanie z obiektywu" do innych zawodnikow. Jako widz bylem zmuszony siedziec w jednym miejscu ,jednak cos mi sie udalo zlapac. Please let me introduce Stephanie and Chris. 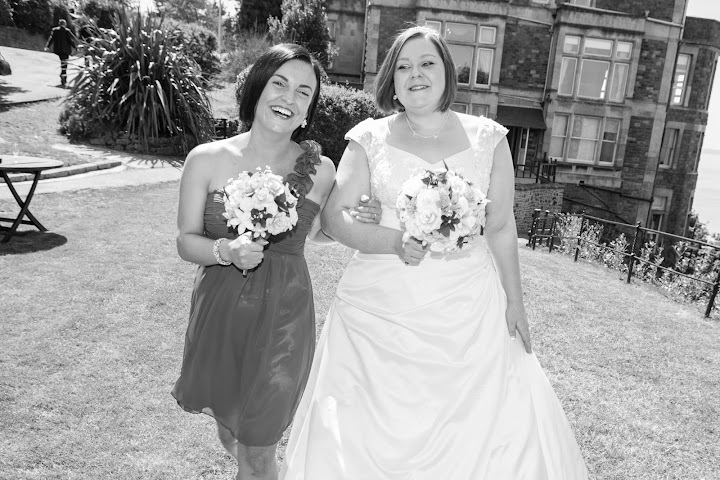 Lovely couple who said sacramental yes in Bath City. Me personally I love that city for great architecture and unique places. 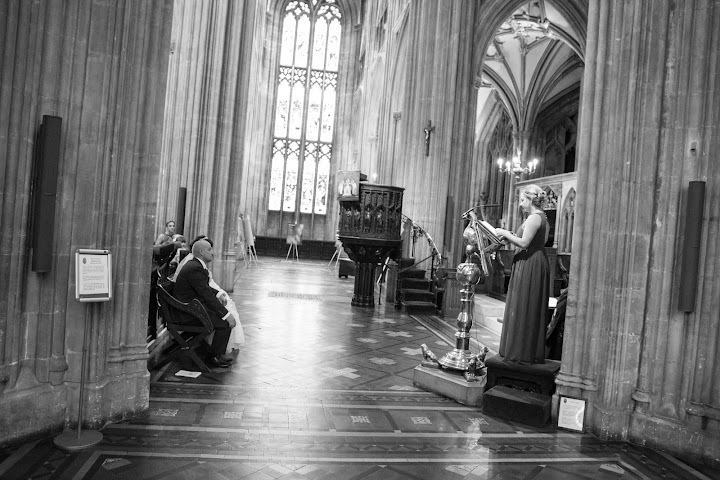 This was my second time in Guildhall as a professional photographer and I love it. After a great ceremony we went down to Parade Park where we did some nice photos. After all we finished in Cricket club with lots of photo-booth shots . This was my third visit in Cardiff this year. 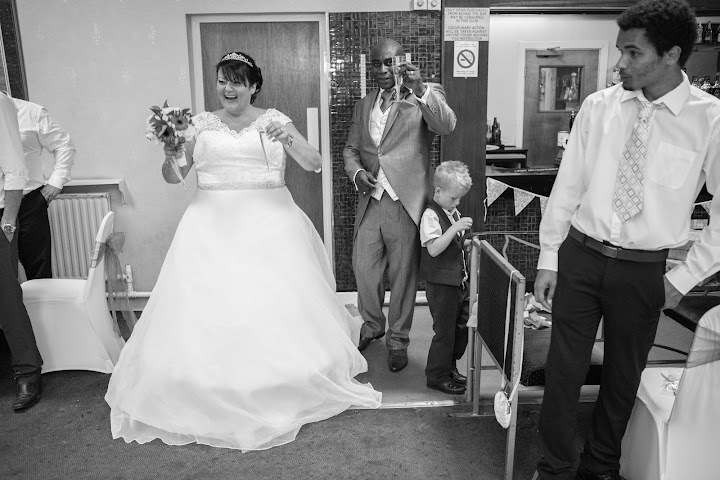 This time I had a pleasure to capture Errol and Sara's wedding. We started in the house where Sara was preparing with all the bridesmaids. After that, we traveled to St.Davis Church for ceremony which was outstanding. You could see emotions and passion in every minute of that time. After the ceremony nerves drop down and we moved to the reception, which was something specials with funny speeches. 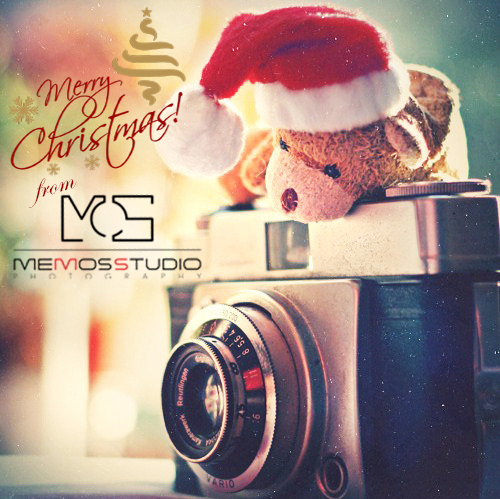 Thank you again and all the best from MemosStudio Photography. 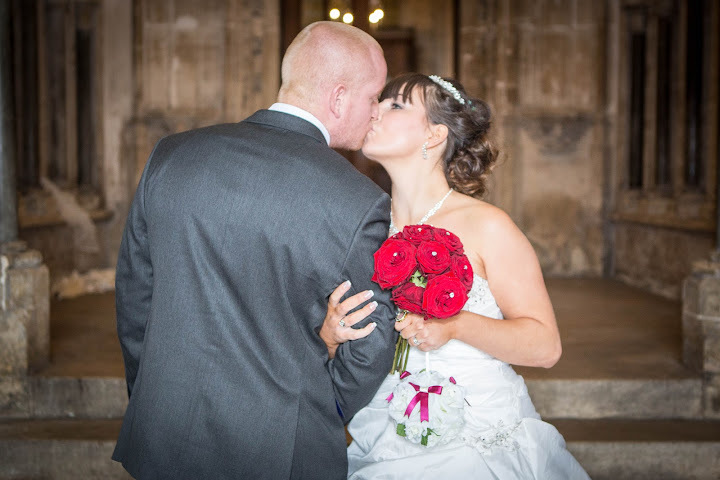 This time I visited Guildhall in Bath to capture Charleigh and James's big moment. Everything went with schedule and bride looked amazing. After the ceremony we traveled to Melbournes bar for party and some more photos. 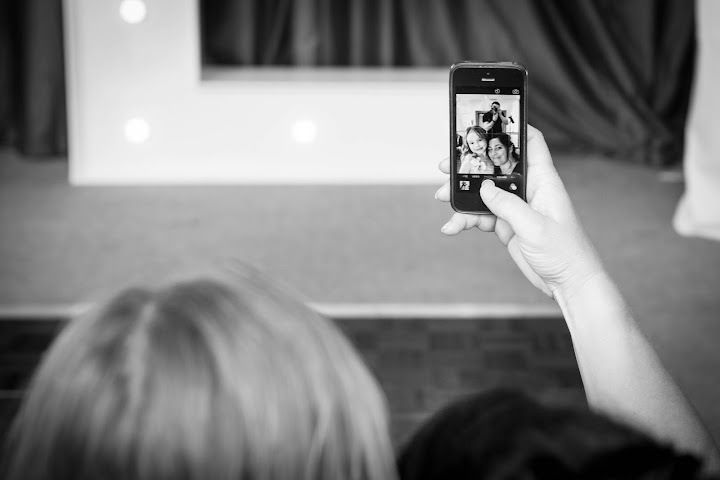 Does your blog or website need an image? 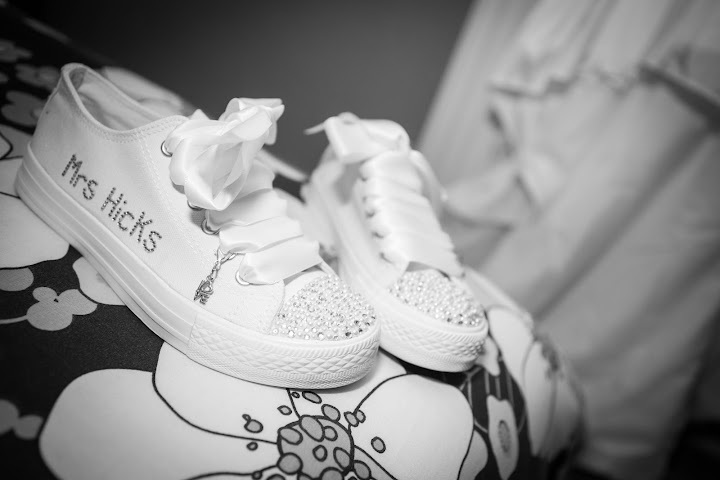 www.m8n.uk - images provided by MemosStudio Photography in client's home. If your website or blog needs a fresh image contact Marcin now,I can provide you with large studio in your favorite location and spend with you as much time as needed to get the best results!!! 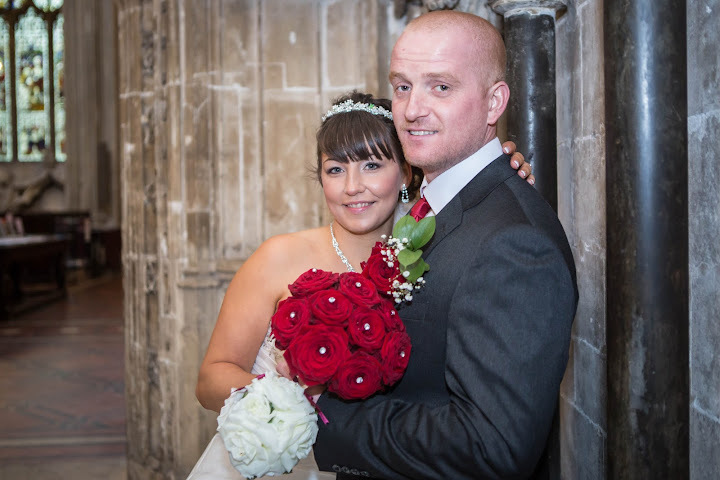 Mark & Sally is the couple who was getting married in Bristol City Center on Friday 21st August 2015. 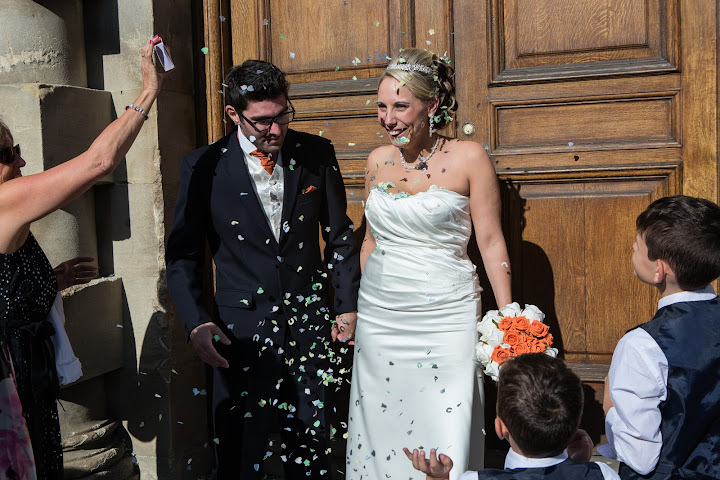 I had only 1h to capture their big day,and that was the most active 60 minutes as a wedding photographer. Straight after the ceremony in Bristol Register Office we went to the Castle Park for some more creative photos. After very busy August I have finally got some time to update you with my latest work. 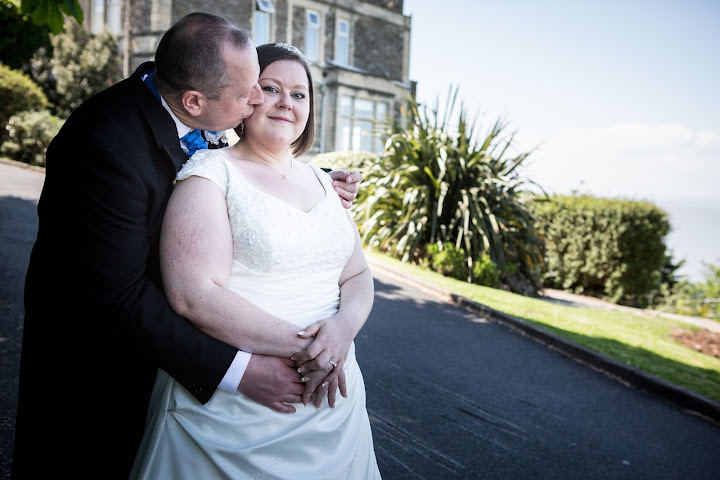 Let me introduce Amy & Robert, lovely couple from Bristol who choose a very unusual location for their wedding. 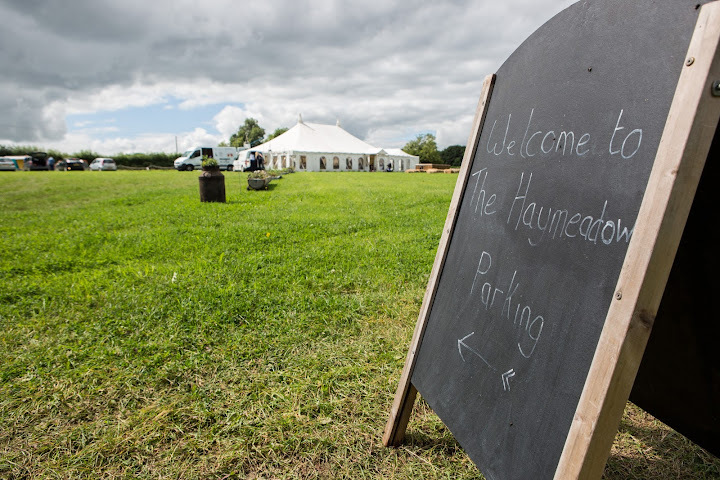 It was risky as the venue was at open space at the Haymeadow. Fortunately, the weather was great and everyone enjoyed the ceremony. Reception was at a big tent. After reception everyone went outside to take part in sport’s activities and fun games. Just before the sunset we all moved back to the tent for a first dance and cake. 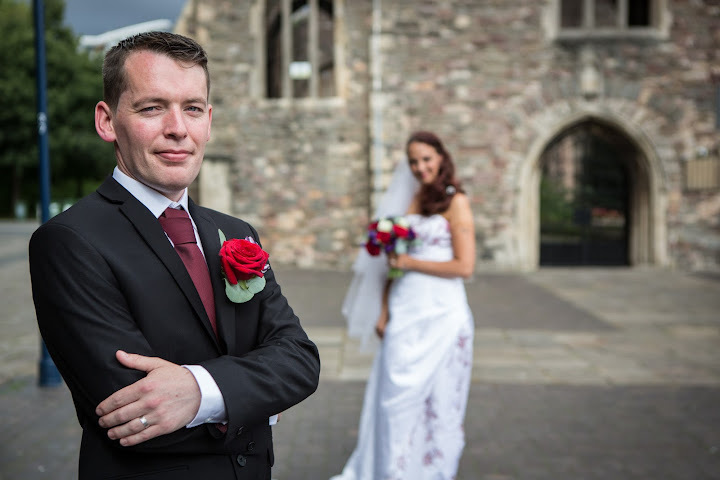 Working as a sub contractor for one of the major Wedding Photographer in Bristol gives me opportunity to expand my own business and travel in new places outside of my area. 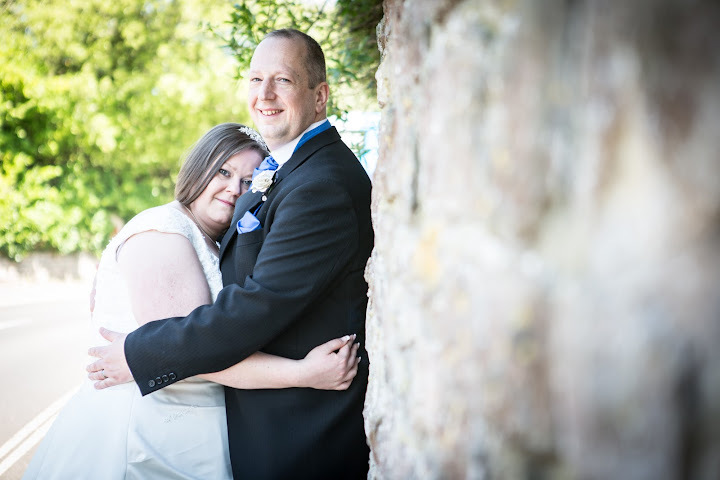 On this occasion I was sent to Gwent in Wells to cover wedding of Katie and Chris. One of the downside working as a sub contractor is that I can’t meet couple before the wedding and I have to make a huge impact from the begging to find connection between me and them. 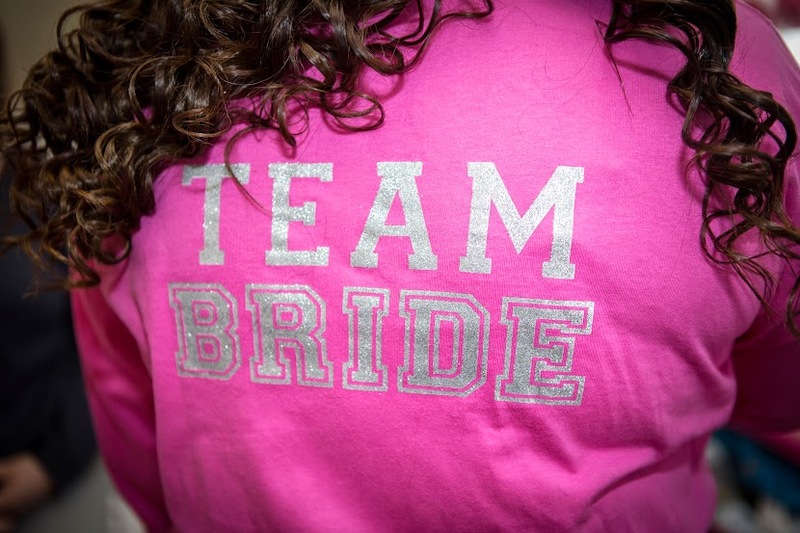 When I arrived to bride’s home all bridesmaids were already drinking Champaign and we had a great laugh ,however preparation was taking priority. Chris was waiting in the Church, when I joint him he was nervous and complaining that his legs were steel, however he managed through church’s ceremony and after that he became more relaxed and all day went perfect with weather playing nicely. I finished at first dance with rock band accompanied. 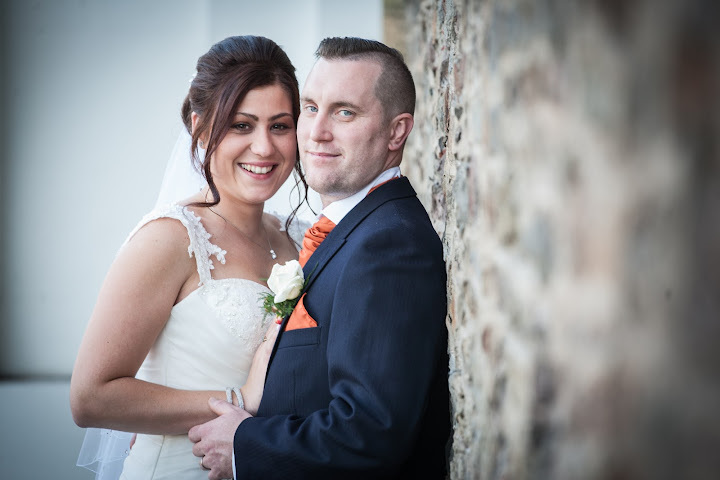 All the best for Katie and Chris from MemosStudio Photography. The summer is finally in full swing, even if only in name rather than glorious temperatures. This means that wedding season is fast approaching. I love this time of year. 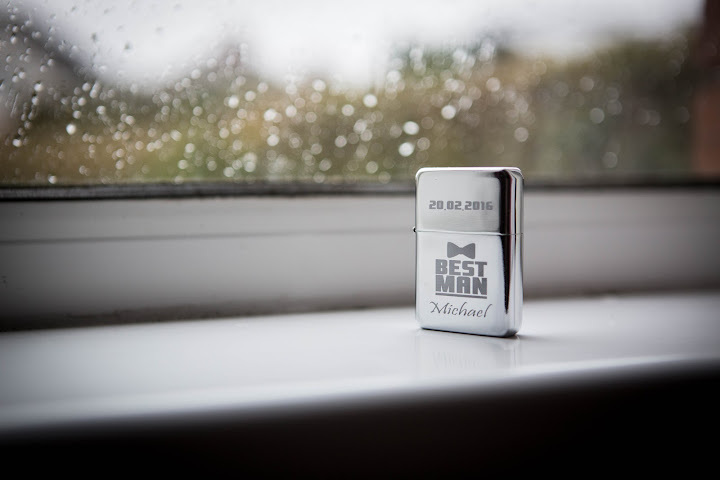 Not only does it mean the weather is better (usually), but it also means I get to attend lots of amazing weddings as a professional photographer. Personally, being a photographer is a brilliant way to earn a living. I get to do something I love and, more than anything, I have the chance to meet hundreds of amazing people and help to play a small part in their happiest moments. That said, there is much more to being a photographer than simply turning up, pointing the camera and taking pictures, or at least, there is for me. 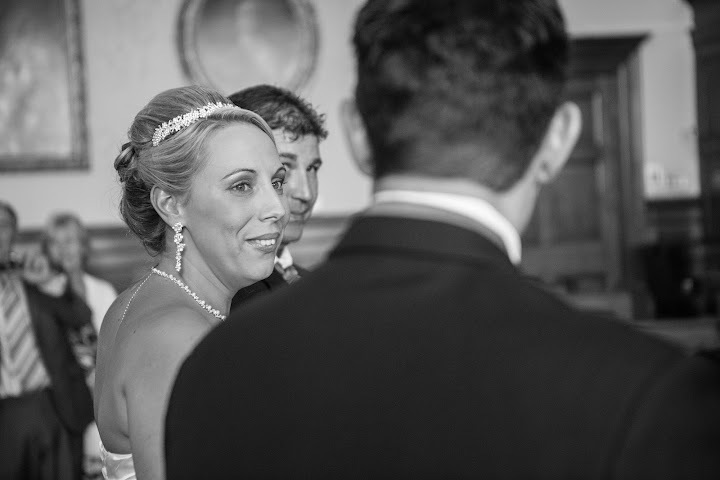 My role as a wedding photographer usually begins long before the big day itself. The preparation I undertake can last all the way up to the day in question, but it’s a huge part of the project for me. 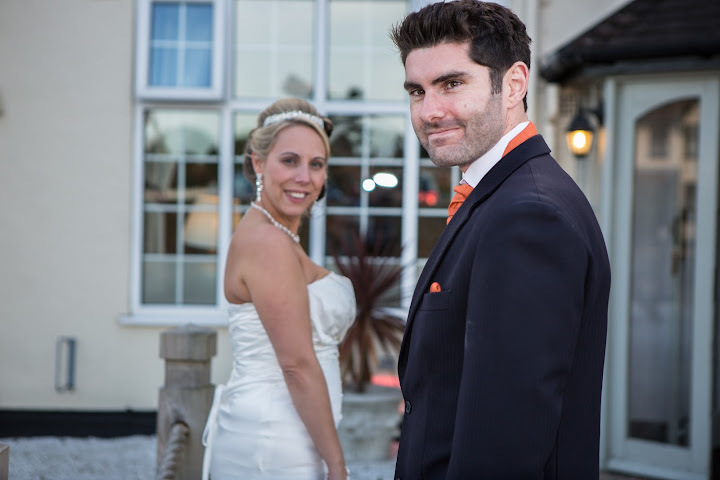 I love meeting the happy couple beforehand so we can get to know each other in a more relaxed, informal way. This allows me to understand the types of people they, the event they dream of and style of photographs they want. 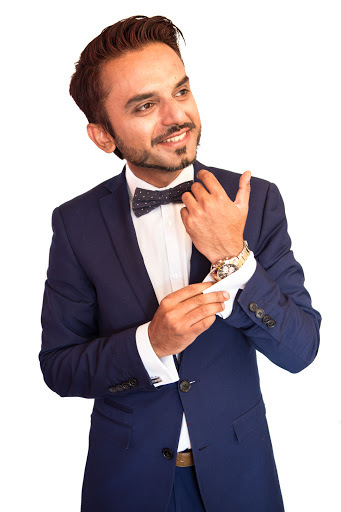 It wasn’t too long ago that every wedding photograph taken by anyone the world over was a very structured, formal pose. It might have been nice to look at, but it didn’t really capture the true essence of the day. 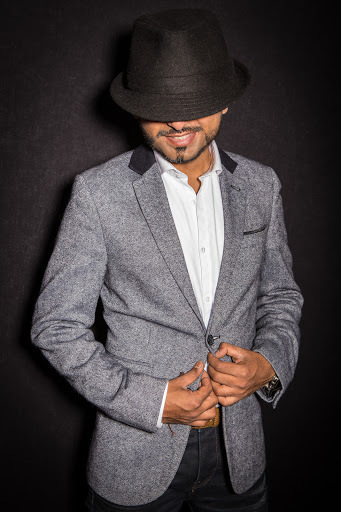 Nowadays there are as many styles as there are weddings and I embrace all of them. The fact is it’s up to you, not me, which style suits you best, so don’t be afraid to ask the question. Once the style has been established I then do a lot of research to ensure I know the types of shots I can get. 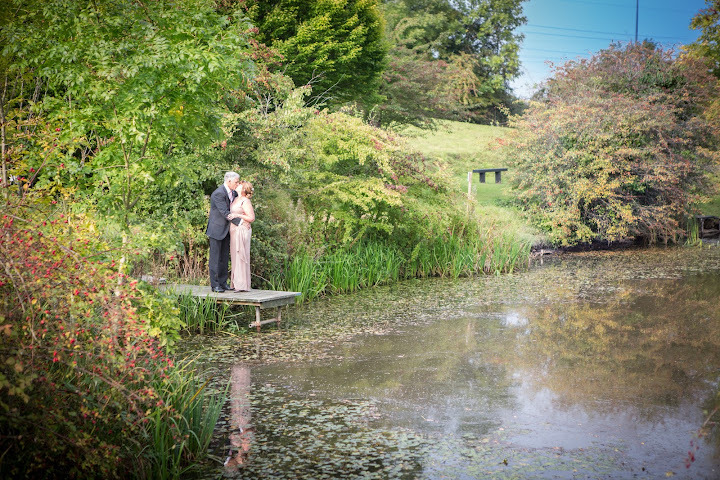 I visit the venues for the wedding to scout out some memorable locations and interesting backgrounds for the pictures. I’ve also got to bear in mind any travel times between those venues. 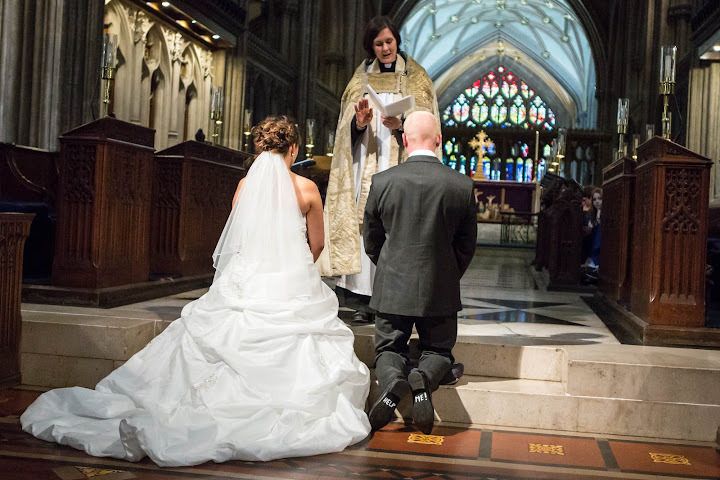 It’s rare that people have just the church and Reception venues anymore. There will often be trips to specific areas just for photographs. This can have an impact on the timescales we have to get the shots, but it all adds to the excitement of the day. The more interesting the venues, the better the pictures will be. 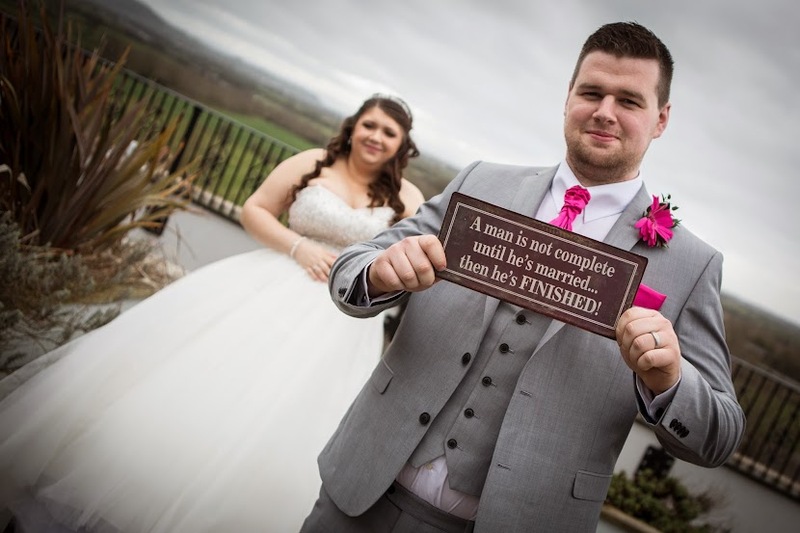 I’ve also got to be on the look out for a sign that no photographer wants to see for the first time at a wedding photoshoot; the one that states ‘No Photographs Allowed’! Another reason, why preparation for me is vital. 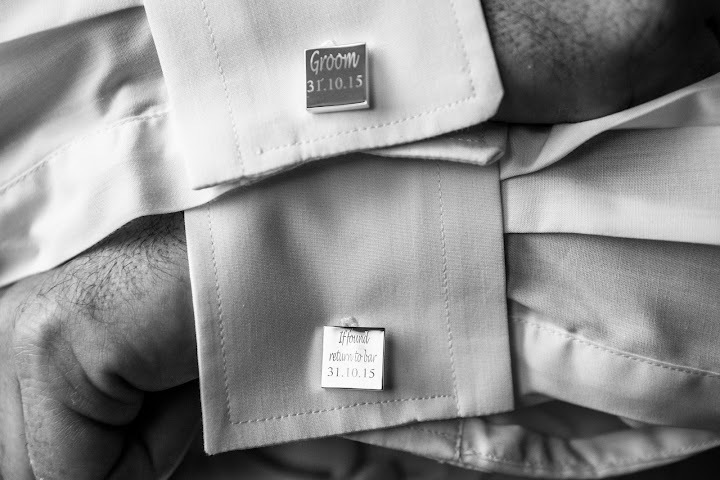 When the big day finally arrives, it’s not just the bride and groom who have butterflies, I do too. 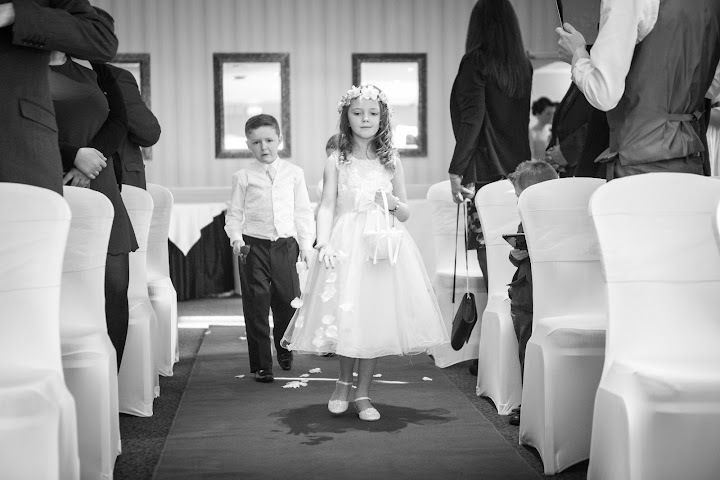 As a photographer, I’m determined to make the day a success and to ensure the photos I take encompass the mood, the spirit and the emotion of the day. This means a whole checklist of tasks I go through, not just once, but multiple times. I’ve got to make sure the primary and secondary batteries for the cameras are charged and working. In this modern age of digital photography I’ve also got to make sure I have the right lenses and enough space on the memory cards to store all the incredible images I take. Once all the checks are done, then I’m ready to go! 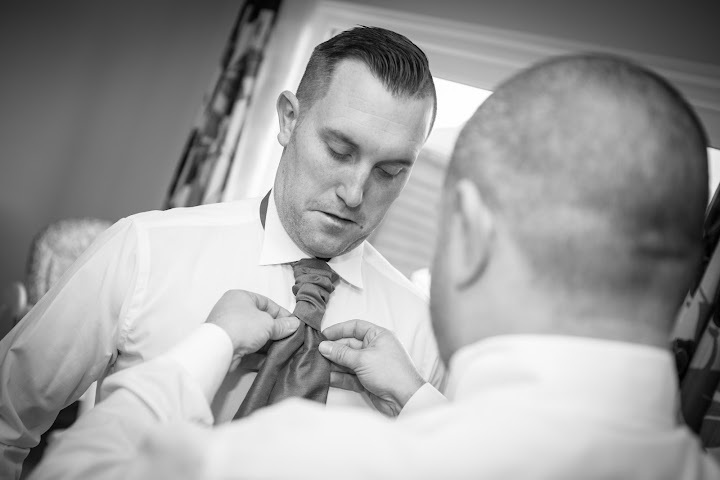 When everything has been planned to perfection, the wedding is the climax of all those hours of preparation. 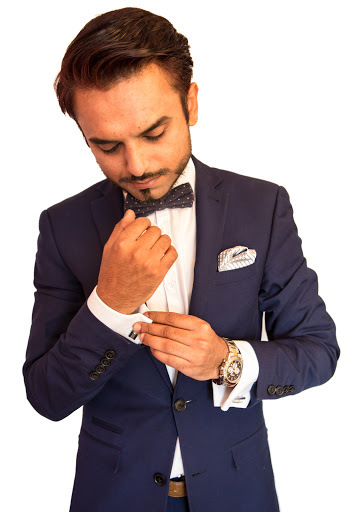 Even though I’m not a guest at the wedding as such, I make sure I look smart so I reflect well on those that have been invited. 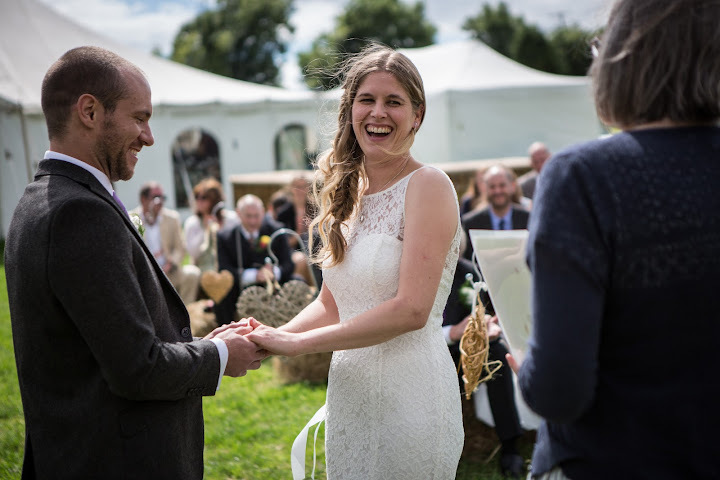 I make sure I don’t interfere with the wedding itself, but act as a kind of photographic butterfly, flitting between guests capturing their special moments in the most natural way possible. 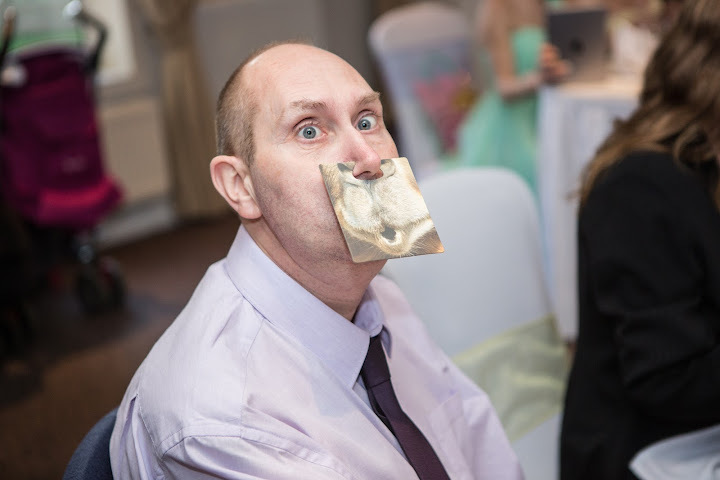 If I’ve done my job correctly, most guests won’t even know I’m there, which is the secret to a great wedding photograph. I always remember that I’m there to capture the moments that make the day special, not to create them. 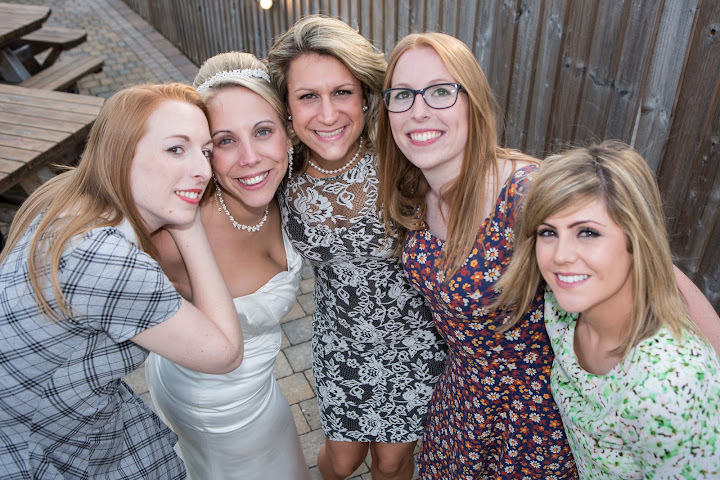 I hope that’s gives you a little insight into my role as a wedding photographer. 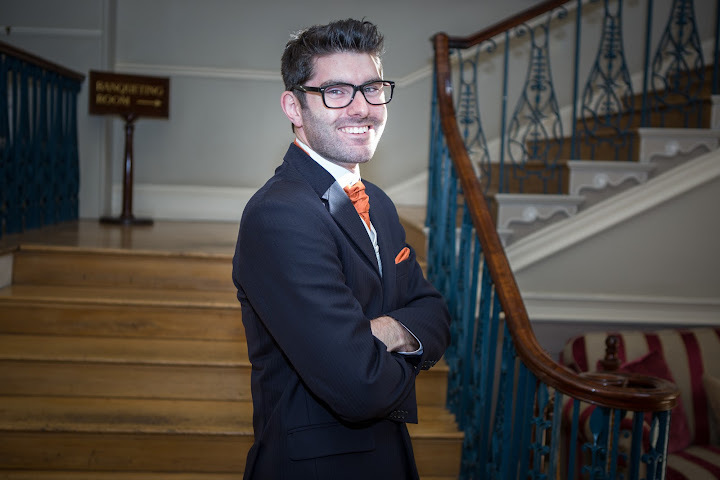 If you have a wedding coming up and would like me to be involved in your day, please just let me know and I’ll love the opportunity to talk to you about it. Until next time. 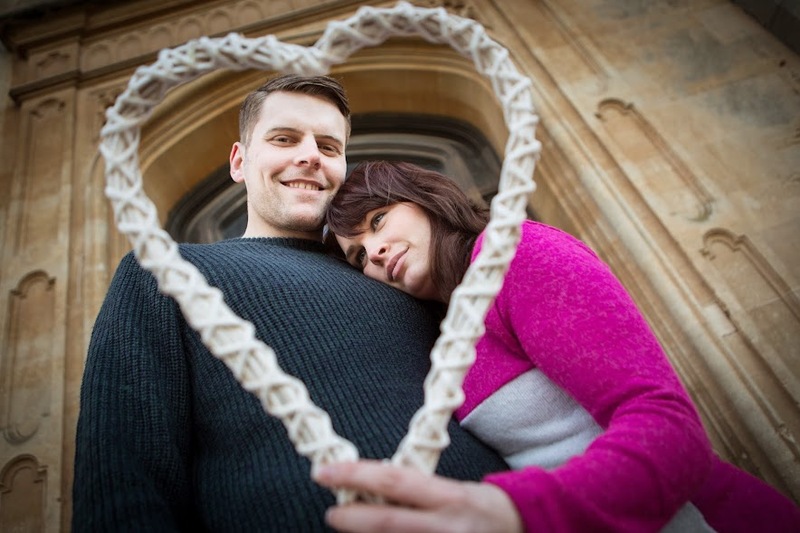 It was a wedding I was waiting for from the beginning of the year when I first met Stacey and Pet on their engagement session in Ashton Court Bristol. 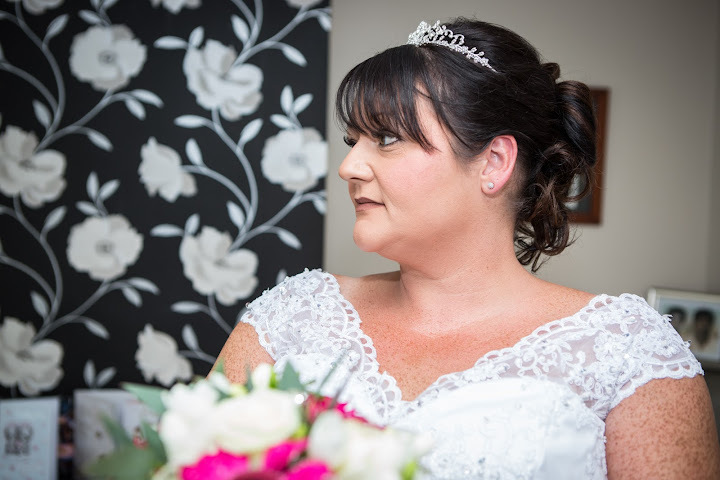 On 23rd of May 2015 we met again on their big day, I started my photography adventure at Stacey and Pete’s home at 10am.I was surprised that bride is not present and been told that she was having nails done somewhere else. But I did not feel lonely, surrounded by beautiful bridesmaids I had a great time. When Stacey arrived that was when clock really started clicking, we had around 1h for makeup, hair and of course putting wedding dress, it was the quickest 60 minutes in my carrier as a wedding photographer. 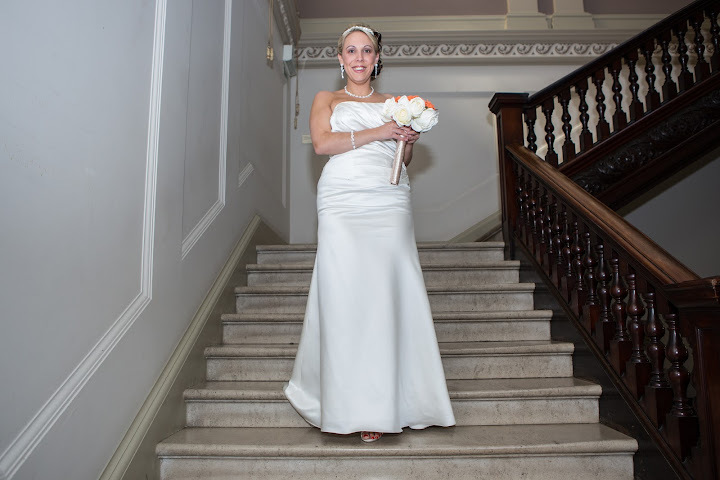 She looked amazing and we were ready to go to the ceremony at Blaise Castle House Museum. 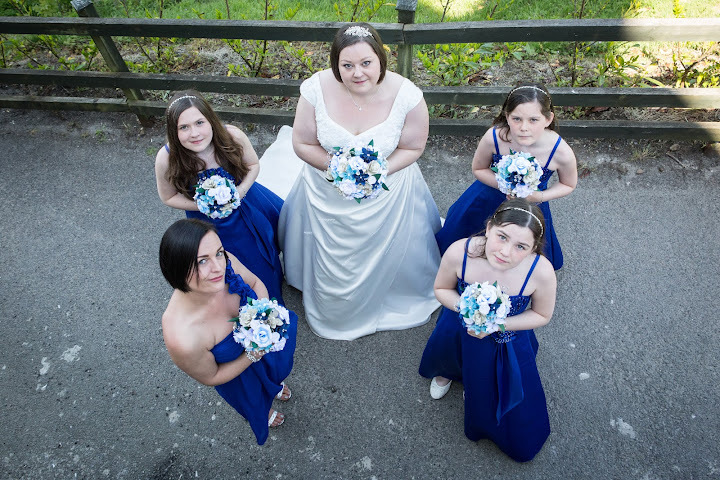 Despite that I had a problems with parking I have managed to get ready just before Stacey arrived, sun was up and it was very hot, just before ceremony started I managed to take few photos of bridesmaids. When all started I could feel emotions and true love in the air. Stacey has tears in her eyes few times and I was considering do not taking photos in that moment as those a very private, but photography for me is a pure emotions and I managed to take few shots discreetly. After ceremony we went outside, I was a little considered about the light as sun was very bright and there was not a lot of shadow, first wall I used a flashgun to overpower sun and fill up the shadow on faces, then we managed to find a little shadow and day was safe. We were ready for the evening!!! 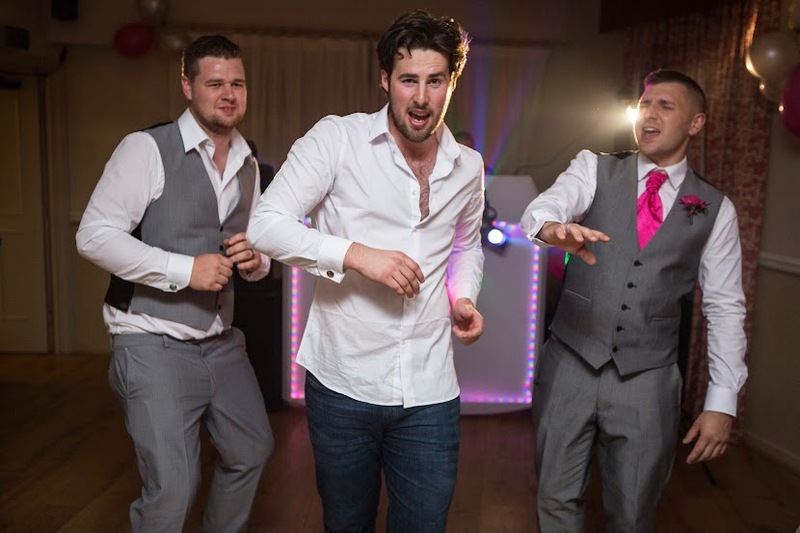 This time everyone just relaxed, had few pints of beer and first dance performed by young couple was amazing…. 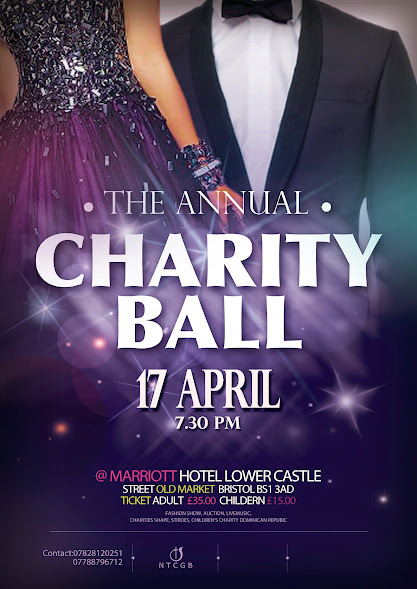 Annual Charity Ball for Kids in need from Dominican Republic. "Shape" Charity for Kinds from Dominican Republic!!! Memos Studio Photography supported this event!!! 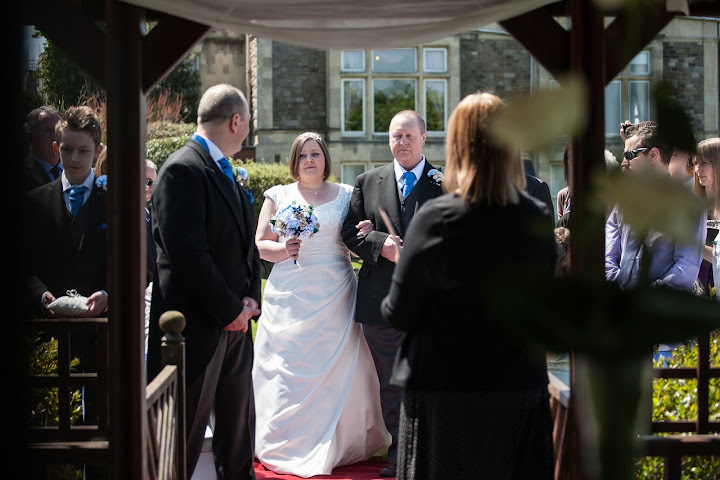 Please find a highlights from my last wedding at Best Western Webbington Hotel & Spa in Somerset. 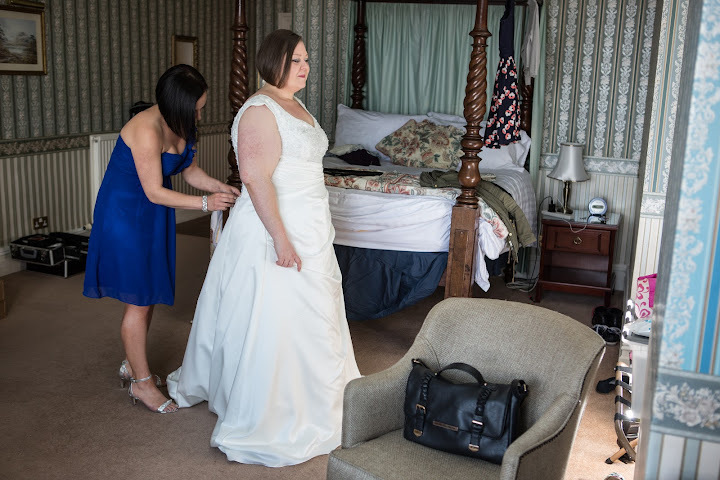 We started early morning on 28th March 2015 with Sarina's preparations in room number 10. 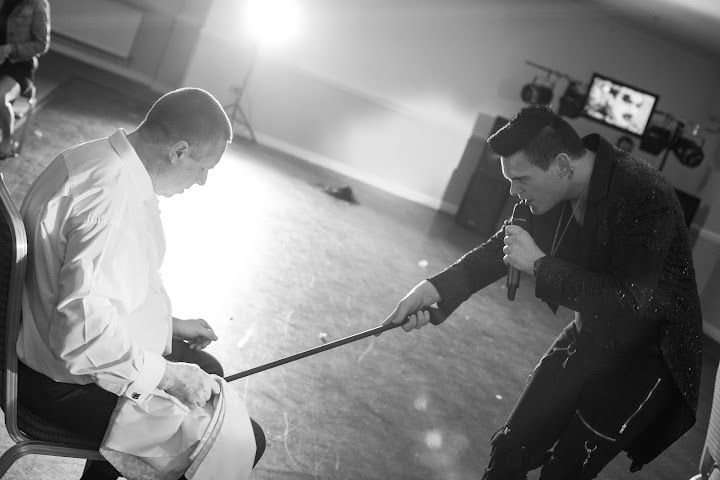 Then I met Matt in another room with his best men...there were a bunch of funny lads,they could not stop laughing including myself. The ceremony started at 2 pm in one of the receptions room, Then we went outside to terrace to do some nice wedding portraits. 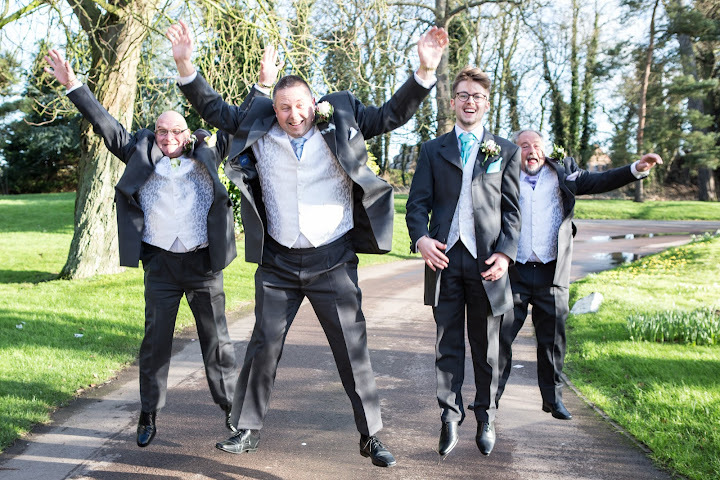 We started with classic poses then we jumped high in the air. Then lads decided to show me their socks and we finished off playing rugby!!! 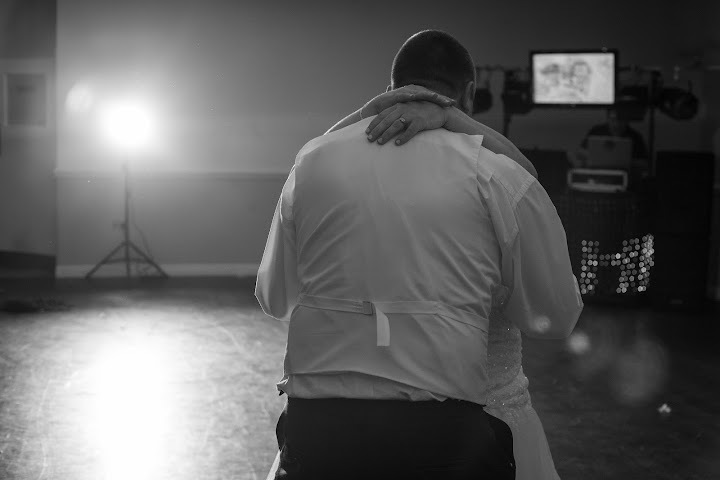 First dance was very emotional and everyone get involved including myself. I managed to do a lot of funny pictures with people dancing after a few pints of beer. 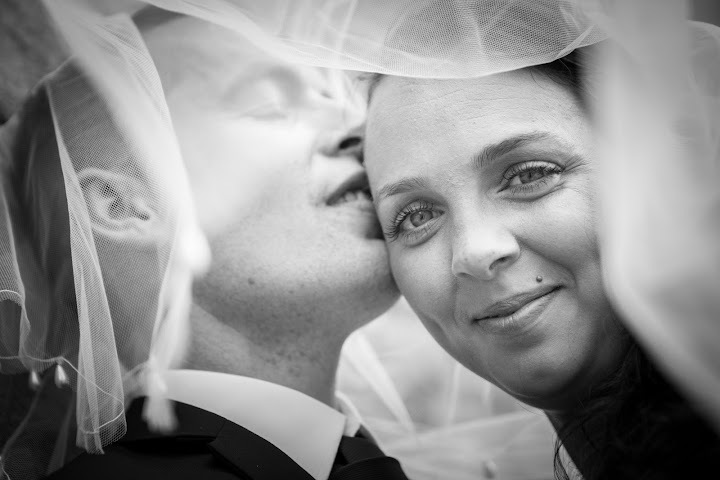 Here we are again, another couple chose MemosStudio for their wedding photography service. As part of full package I’m offering a free 2hours pre-wedding photo session, this can be used for photos with your family or friends…does not matter…I’m yours for 2 hours when you book a Full Day Wedding with MemosStudio. 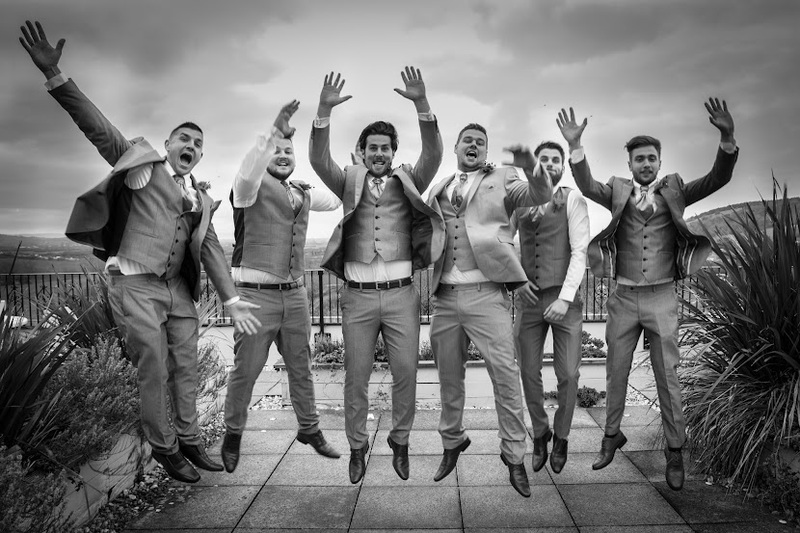 Stacey and Pete having their wedding Day in May 2015.They decided to bring their friends on our engagement pre wedding session that definitely was a good idea, we all had so much fun, especially when we jumped from steps and tried doing a funny faces impressions. 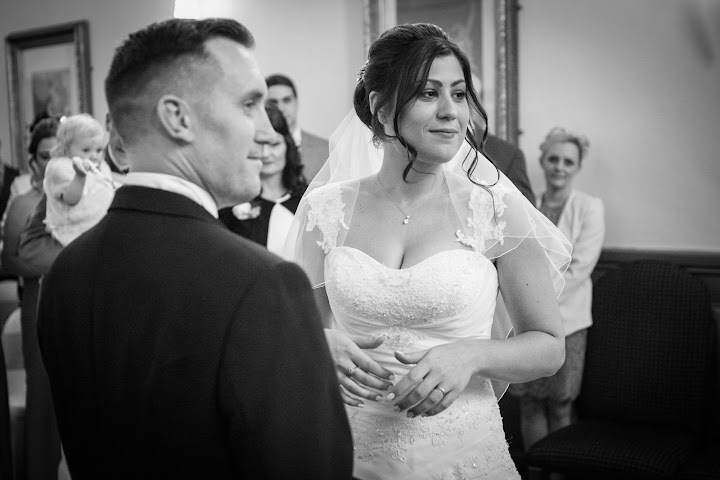 At this stage I knew that Stacey and Pete’s wedding will be something special…I can’t wait to get behind camera on their big day!!! 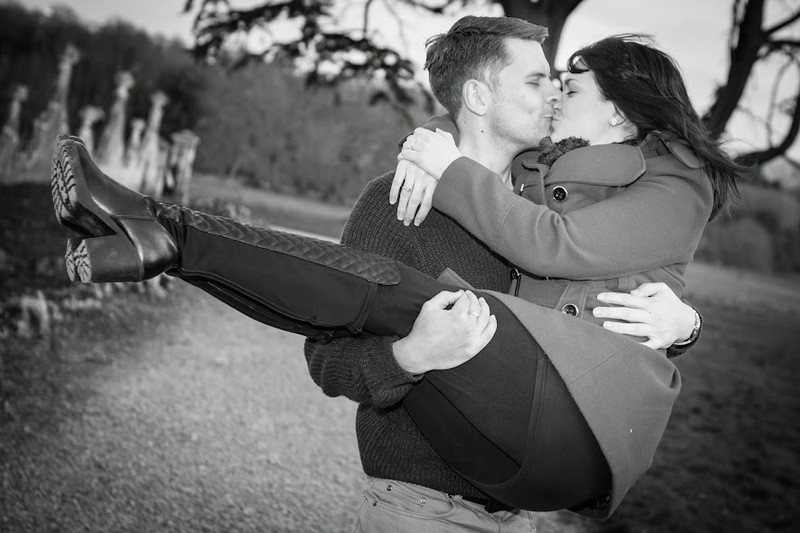 Please see highlights from Ashton Court Engagement Photo Session. Not long time ago I have met a very special boy called George. 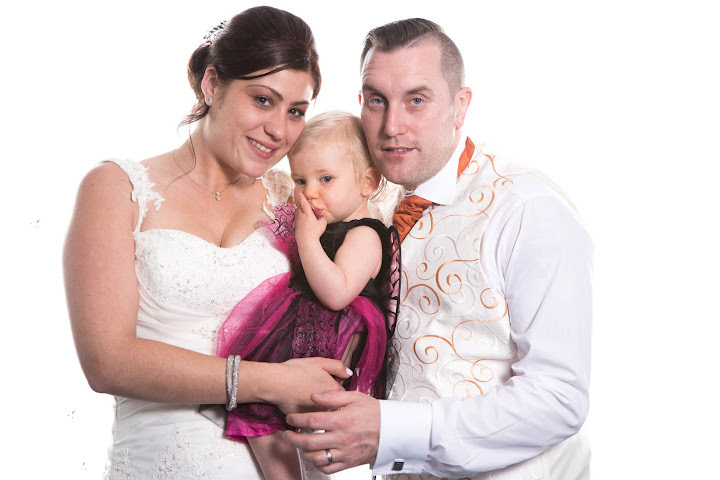 MemosStudio offers a family and kids photography in your home,contact Marcin today to book a session!!! 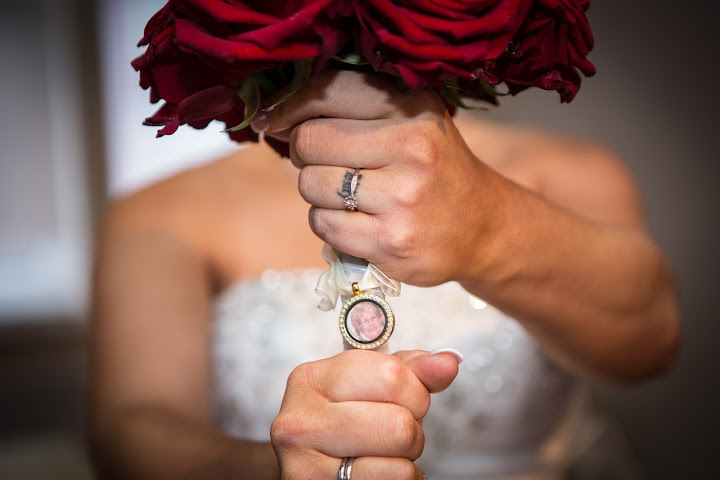 As part of Full day package wedding photography MemosStudio offers an engagement/family photo session. This is a great opportunity to know each other before the big day. 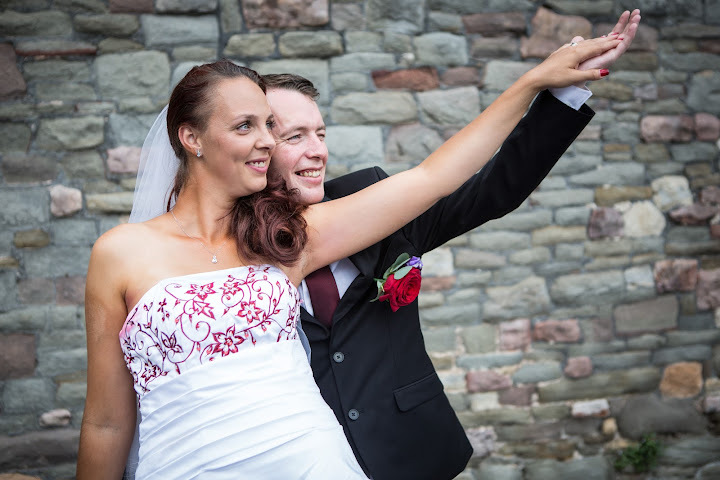 Hannah and Arron have chosen Ashton Court, great location with lots of different poses options. 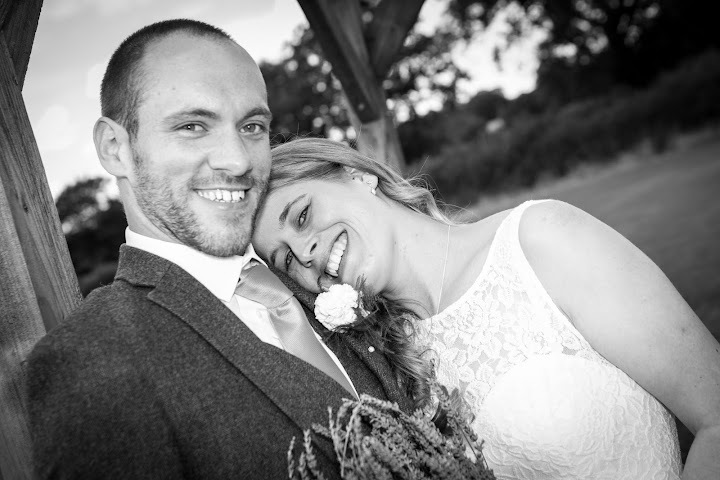 After over 400 images on my shutter clock we managed to get very natural, relaxed and unique pictures!!! 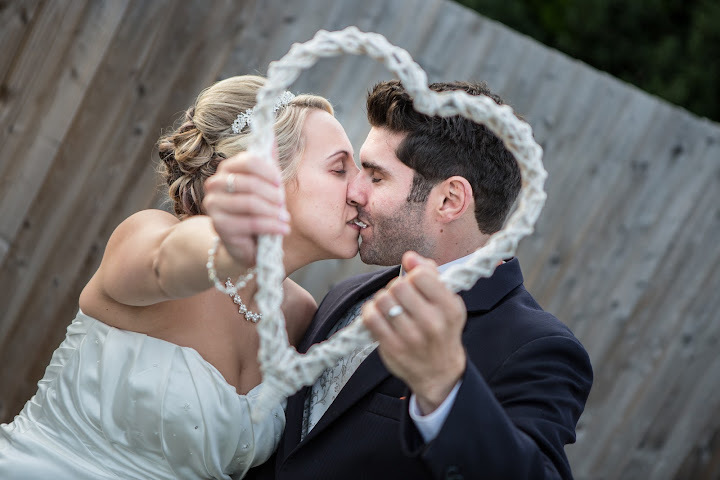 If you ask me what I was doing on Valentine’s day 2015, I will have only one answer; Wedding Photography!!! 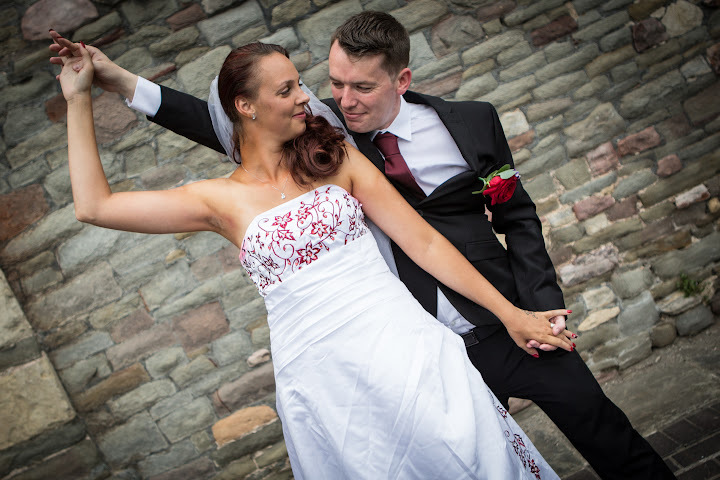 Livia & Mark contacted me few days before their big day desperately looking for someone who provide them with quality photography service for good price. They looked on Gumtree and compered all photographers, I was delighted that they have chosen me. 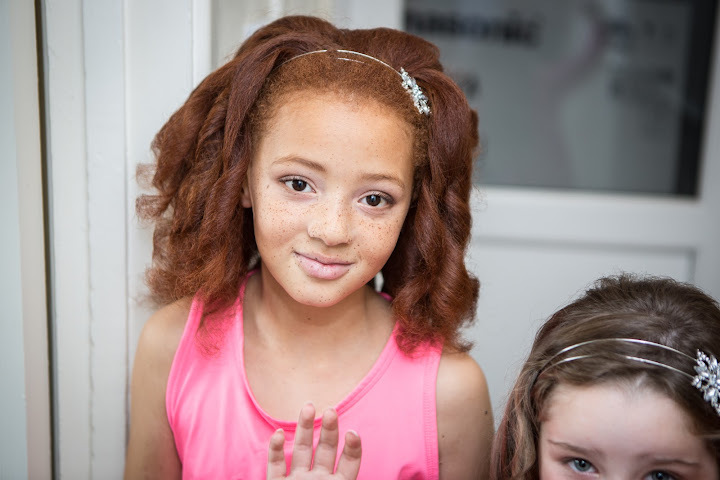 We started in Livia’s house where her mum and sister was helping her with preparations. Livia is very on-going person with great sense of humour and she was smiling all the time which really helped me to capture her personality on each image. Then we moved to Hotel where Mark was preparing himself with all his family. Our next stop was at Bristol Register Office where ceremony take place and then we walked to Bristologist Restaurant on Corn street. After speeches we have managed to go outside to capture some photographs. Corn Street was packed full of people ,with crowd around us we created some unique images, Mark and Livia had a great fun, people was wishing them happy ever after and we were main Bristol City Canter attraction on Saturday evening. 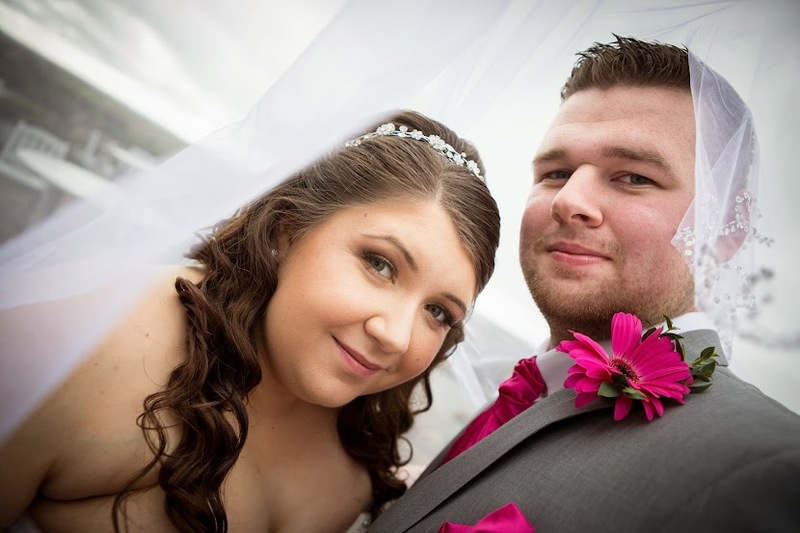 All the best for Mr & Mrs Dunstan all best in future from MemosStudio Photography. 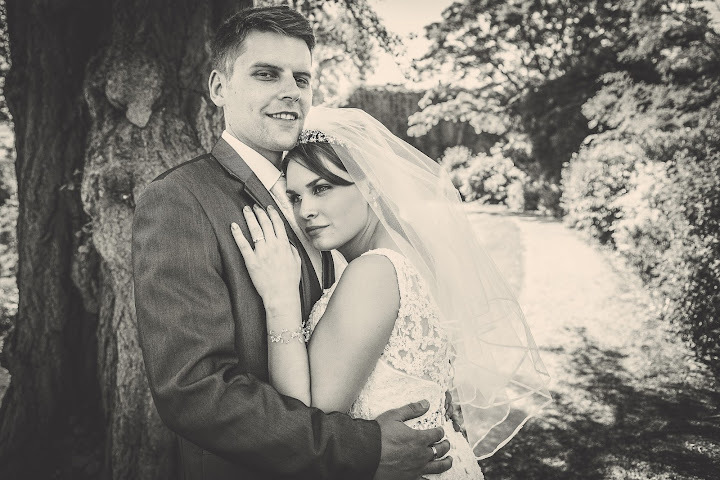 Daren and Hayley were one of the first couple who contacted me regarding wedding photography. 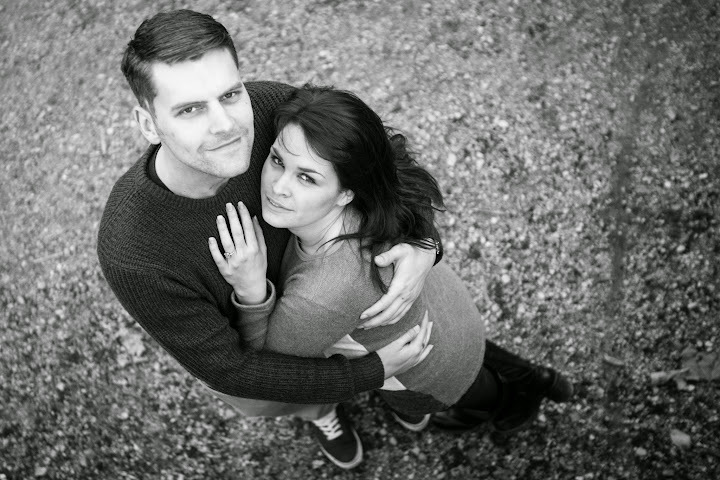 I met them one summer in Bristol City Center and we had a very interesting engagement session. 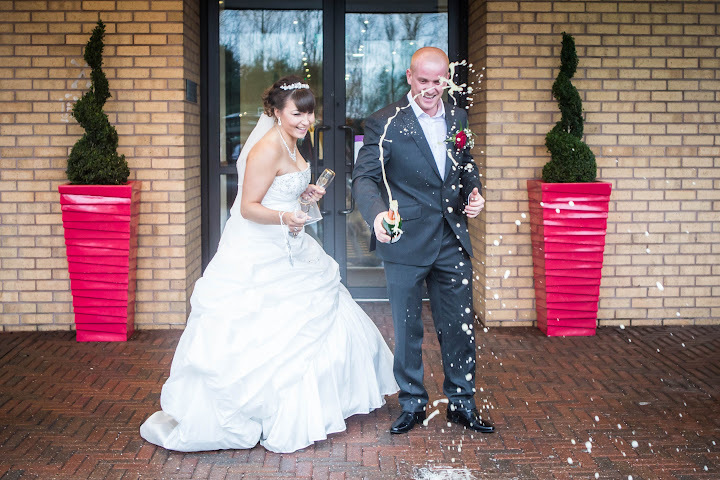 The couple requested their engagement photos be taken in their future Wedding Venue location at Radisson Blue Bristol. We started with the entrance of the hotel as a background and then finished on Park Street, that was great fun and we have produced some outstanding images. 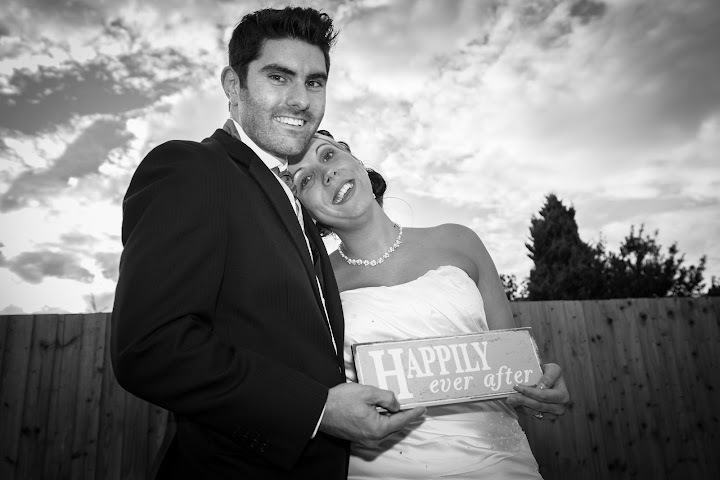 I was very pleased to see those photos printed on their wedding day. 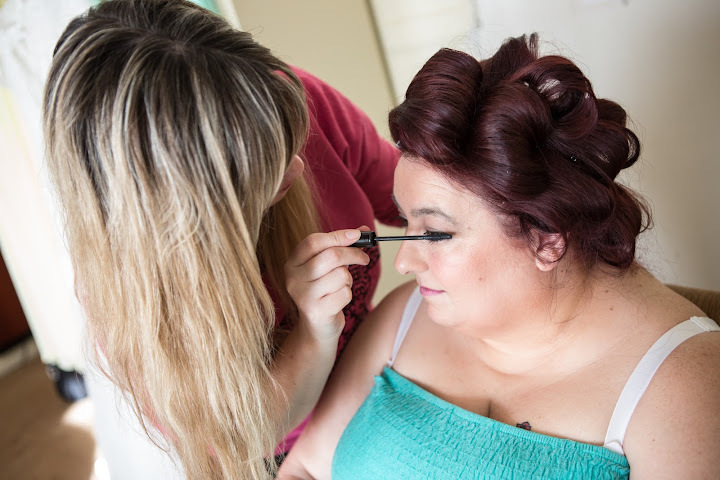 On the “big day” we started very early at the hotel in Hayley’s room, along with her two bridesmaids we had a great laugh and I was introduced some secrets of makeup. After few hours I met the groom and the best man in another room, the atmosphere there was very relaxed and the boys did not rush until they realized that they didn't know how to attach the flowers to their suits, but old good “YouTube” came along and rescued them. At the Ceremony all the guests were impressed with Hayley’s dress, she was looking beautiful, when her father brought her to the register desk Darren was a very emotional man, that is the best moment for wedding photographer. 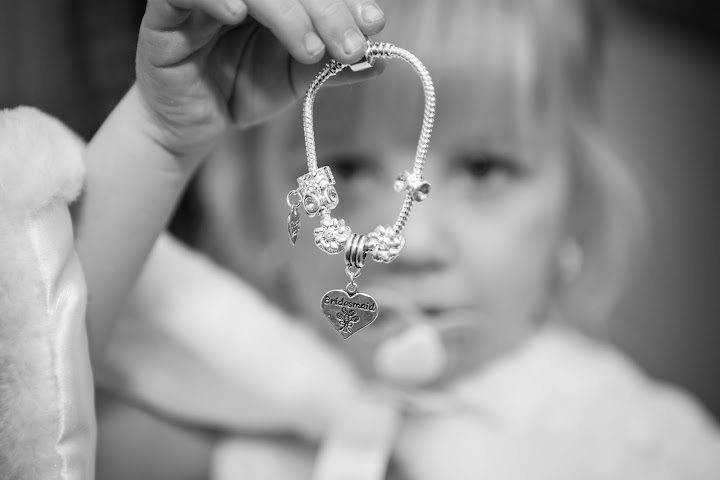 To be able to capture pure emotions is the most enjoyable moments for every photographer. After the ceremony we went to the city center to try reproduce some of the images from our engagement session. Along with applause of other people on the street we have taken a great set of photos and were able to enjoy ourselves. 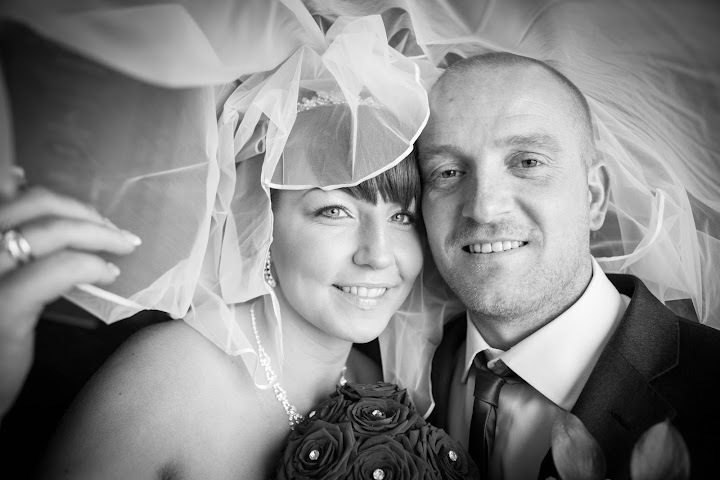 All the best for Mr & Mrs Payne from MemosStudio!!! 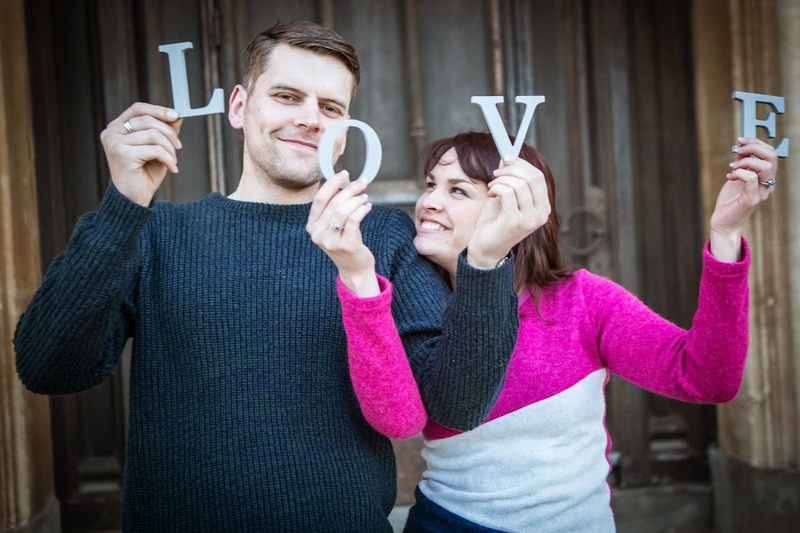 Are you looking for fun and creative family photography? 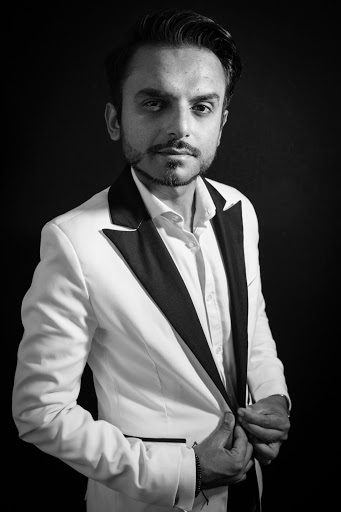 MemosStudio is one of the best Photographers in Bristol!!! I'm always able to produce natural and relaxed shoots with lots of ideas. 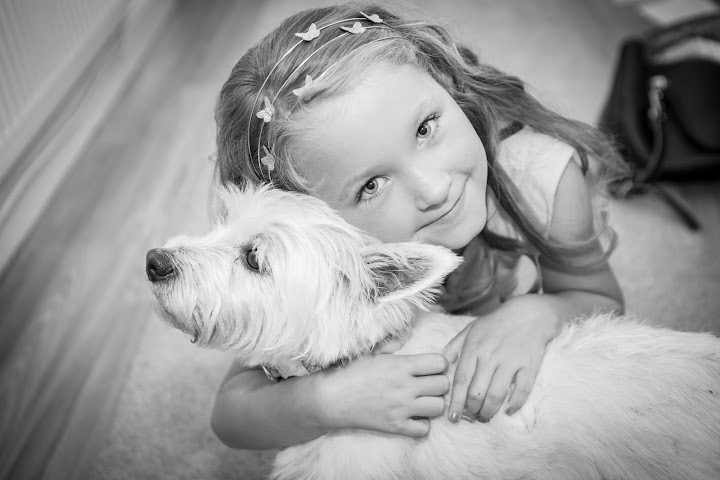 Photos can be taken in your favourite location or I can set up studio in your home. 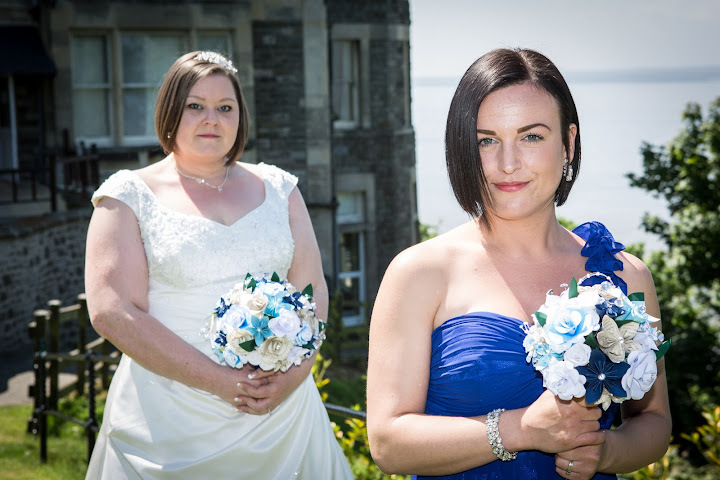 Liz & Ash were looking for only 4 hours wedding photography as they budget was limited. I'm always ready to help any couple who just stepping into married life, I'm married myself and I know how much everything can cost. 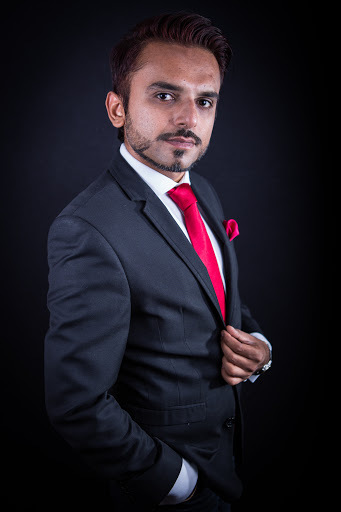 Contact me today if you would like to hire wedding photographer only for few hours. There is no limitation to beautiful moments!!! 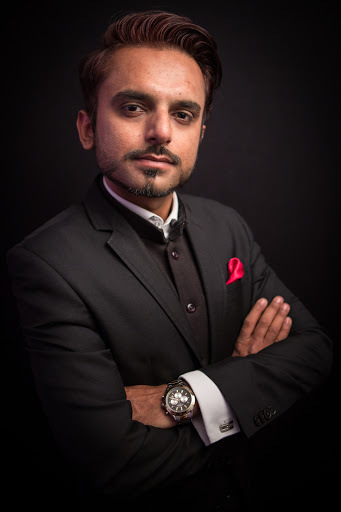 2014 was my fist full year in Photography Industry. Please see my best "MEMOS" from last year!!! I enjoyed every second! 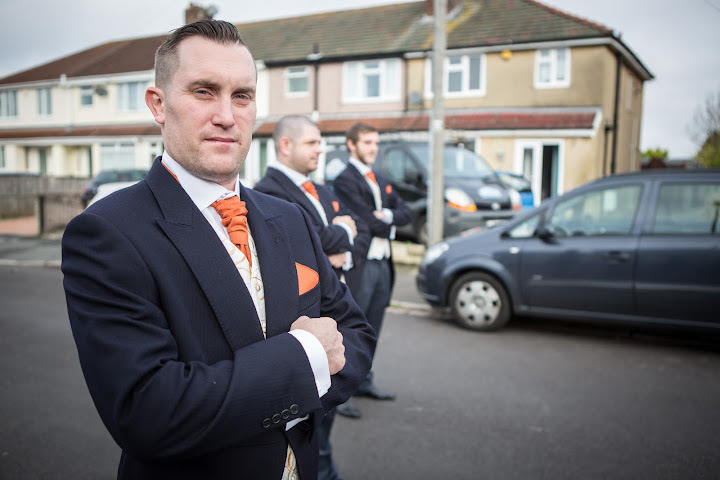 Groom actually rang me few days before wedding as he was not sure if he really wanted a professional photographer on his wedding. After we meet I ensured him that wedding photography is something which you will appreciate for many years. I showed him my work and we made arrangements. 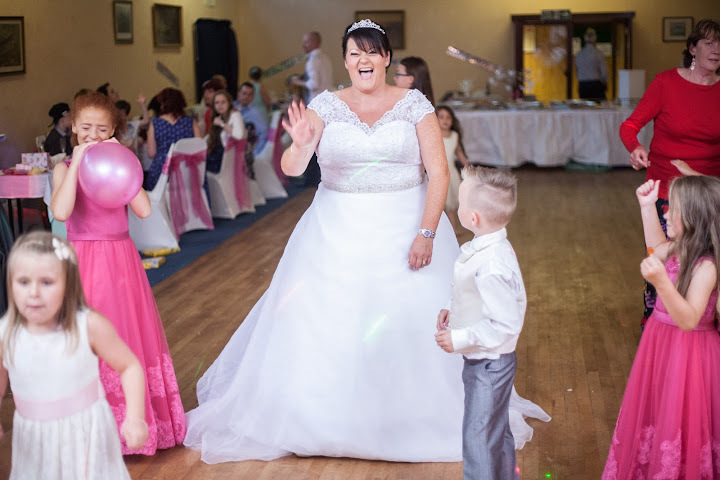 Everything went as should, beautiful Bride with Bridesmaids, dancing and singing people in Church, great fun at venue. All the best in future for Mr & Mrs Kumar from MesmoStudio Photography. 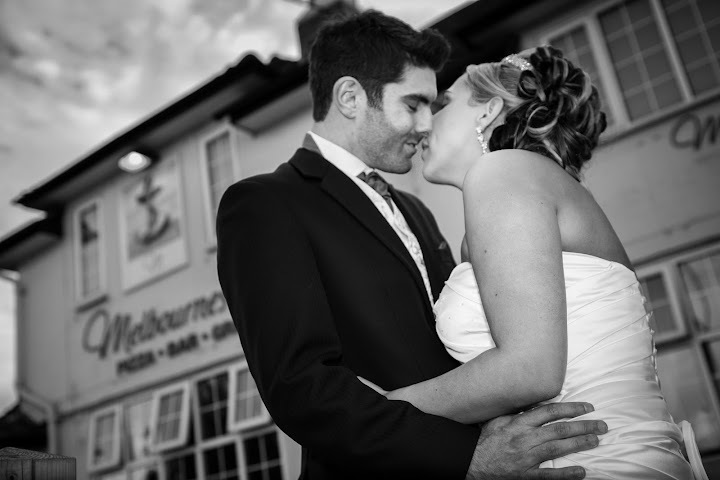 Memos Photography has just launched a new website. 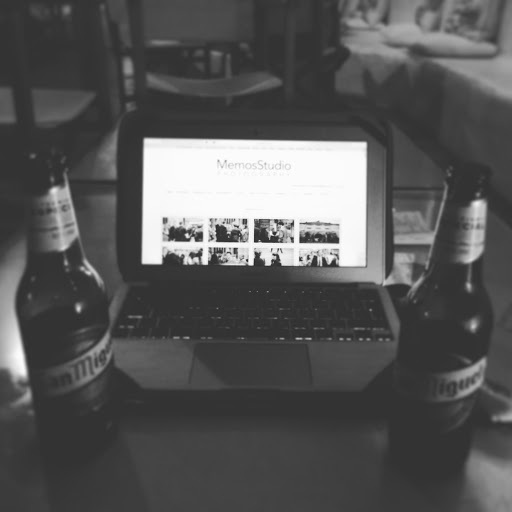 Please take a few minutes to visit www.memosstudio.com and share your opinions.